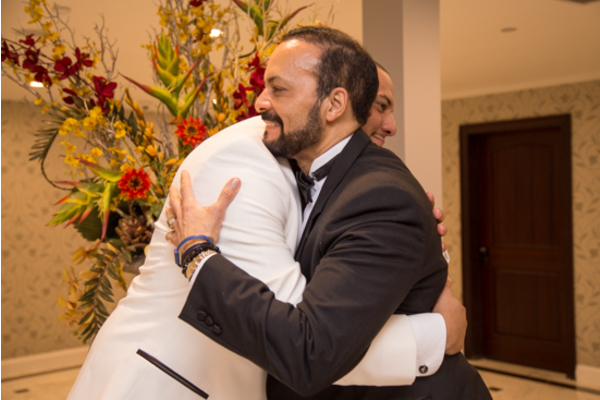 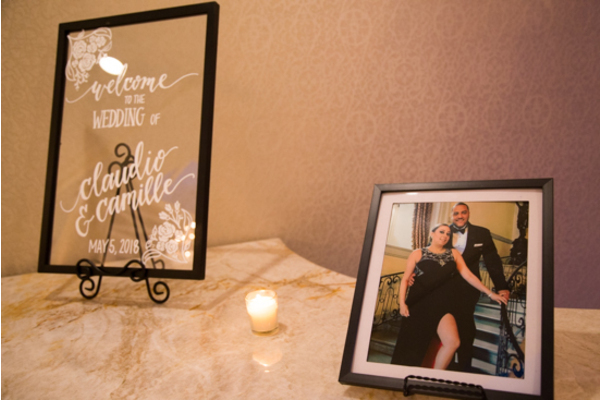 Congratulations to Camille and Claudio on their recent marriage! 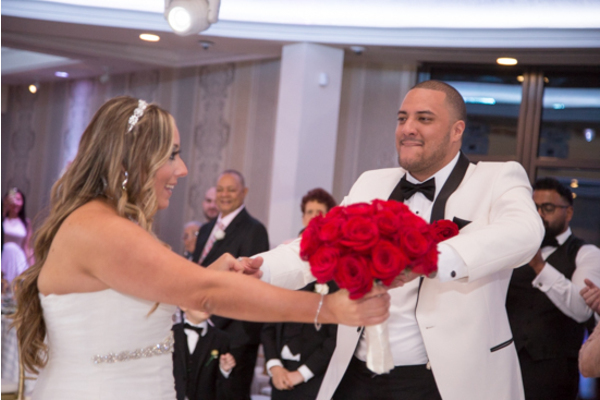 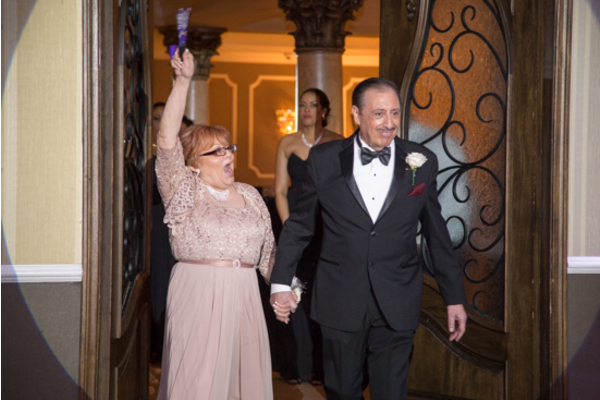 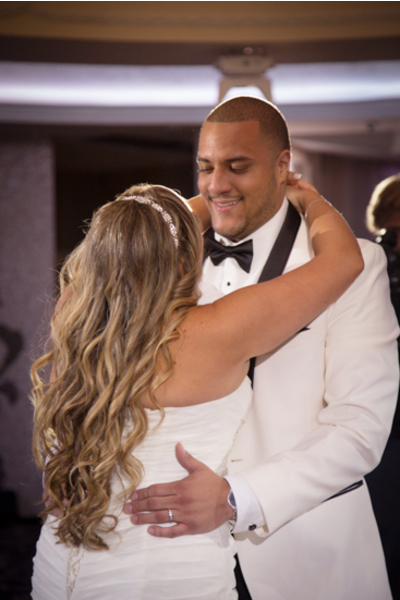 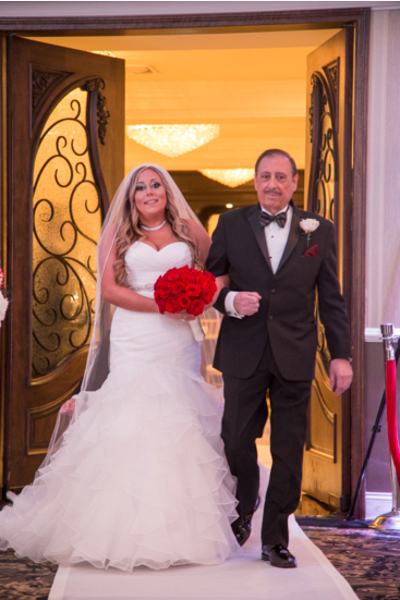 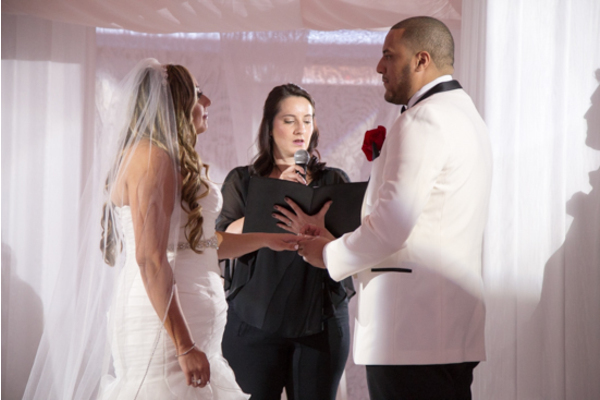 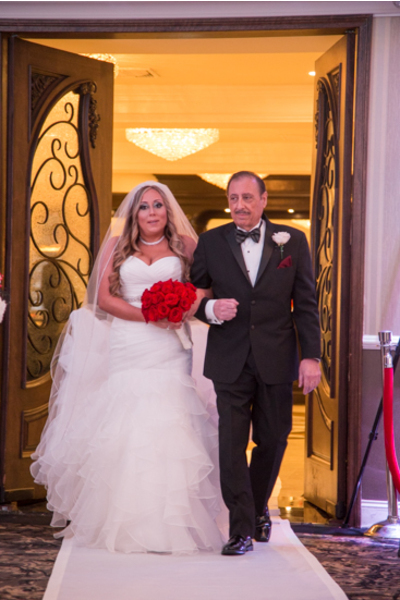 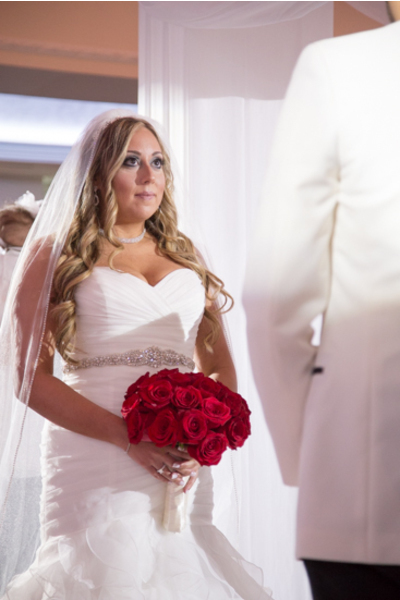 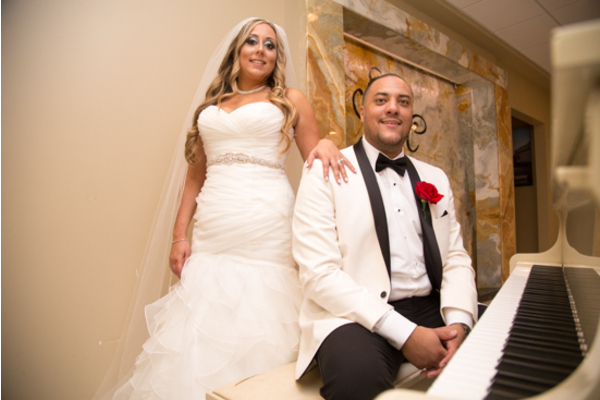 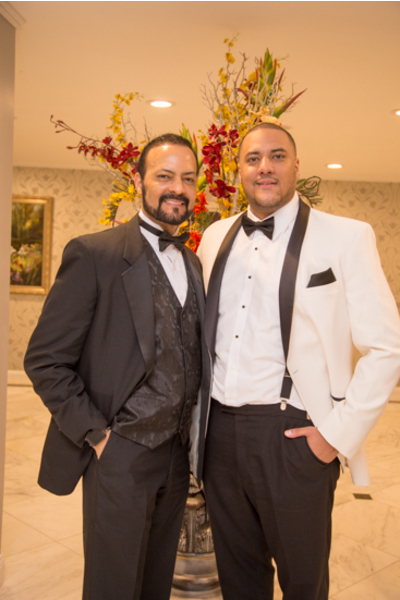 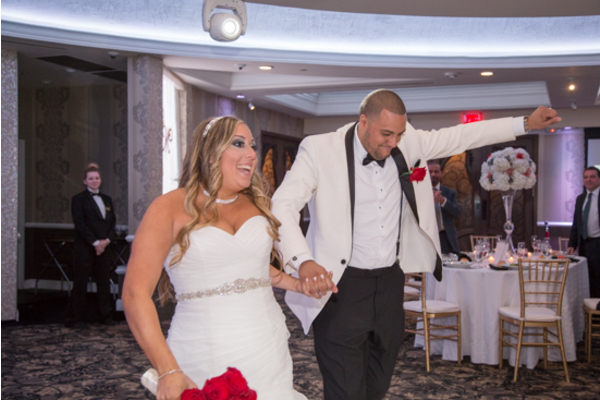 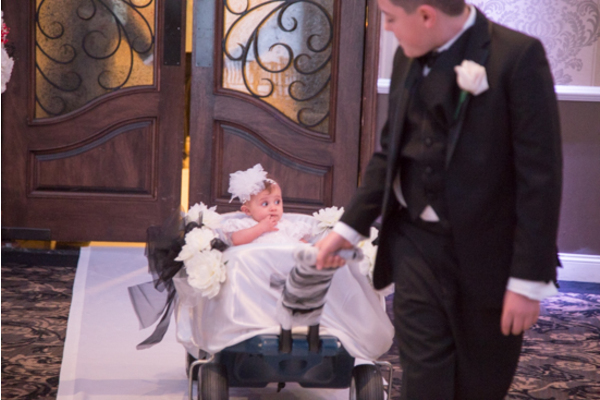 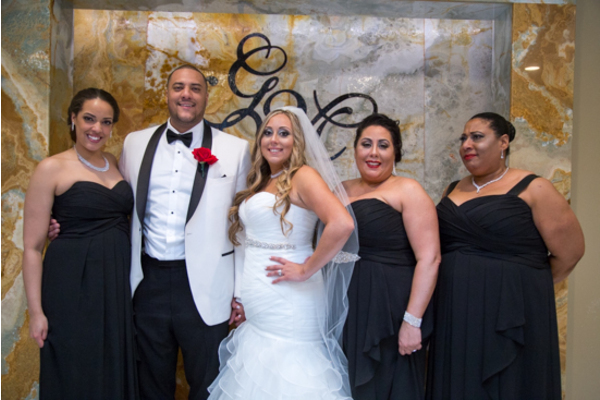 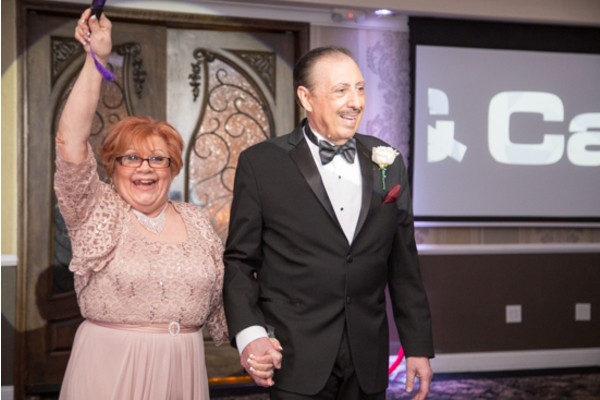 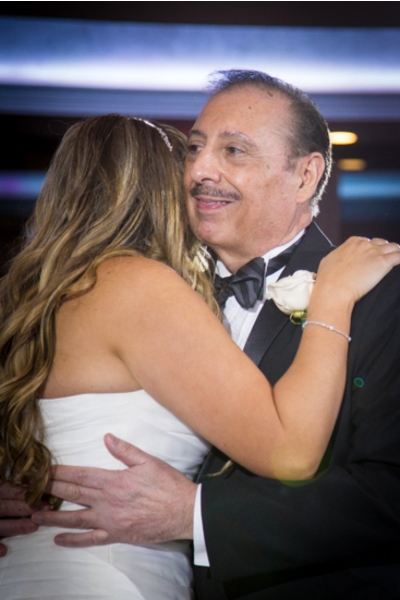 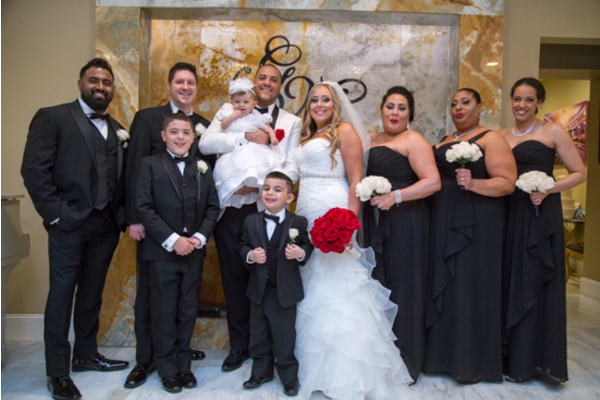 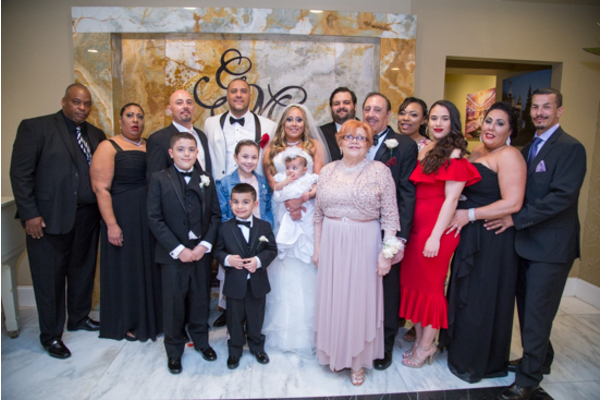 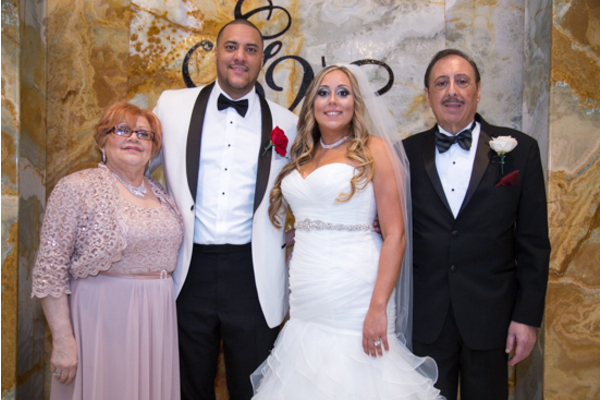 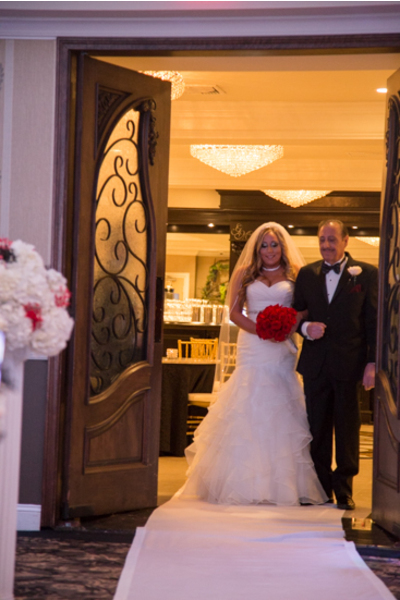 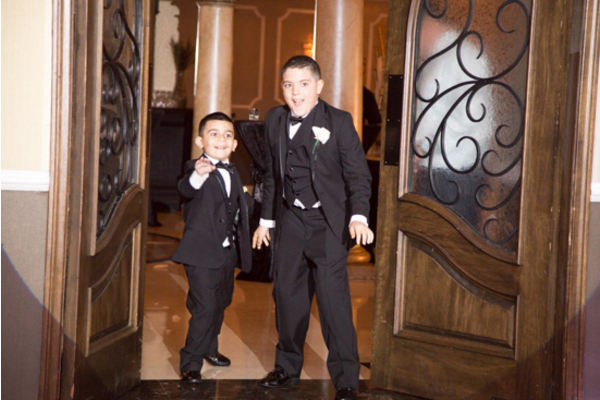 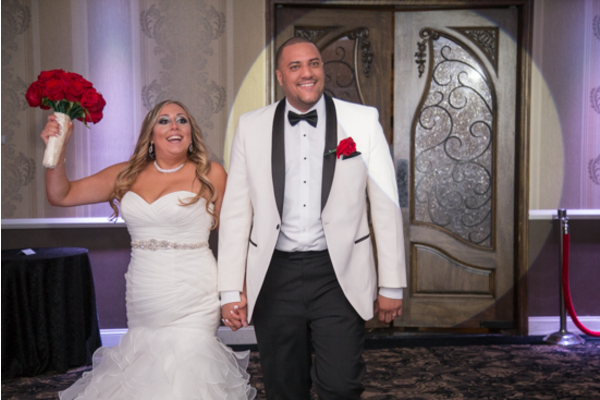 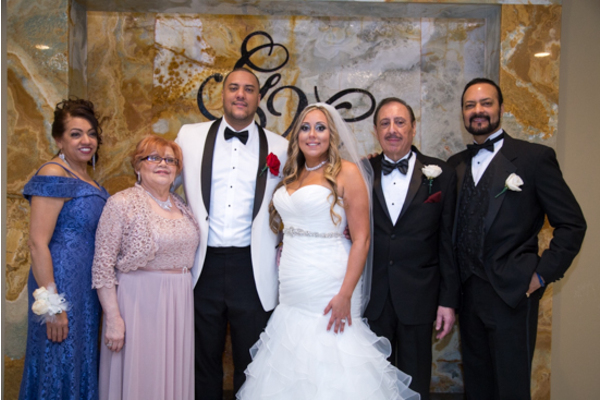 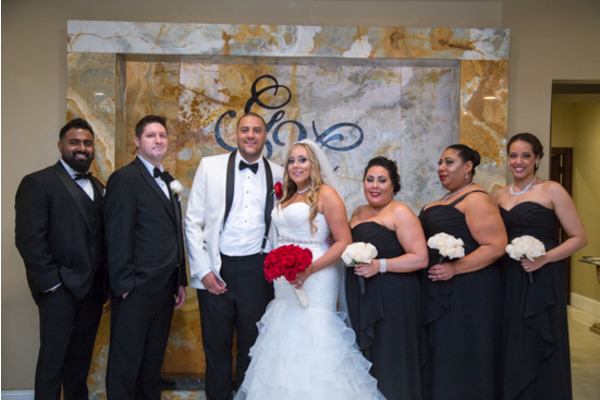 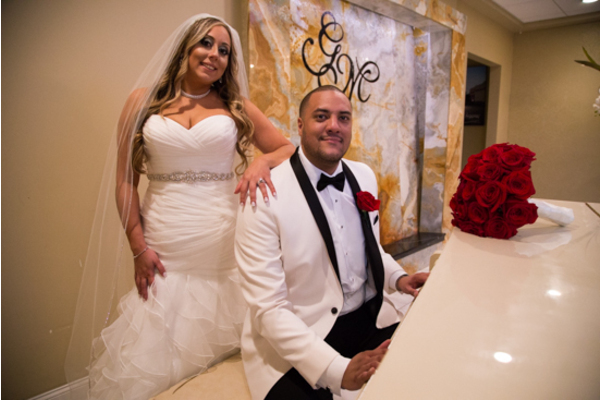 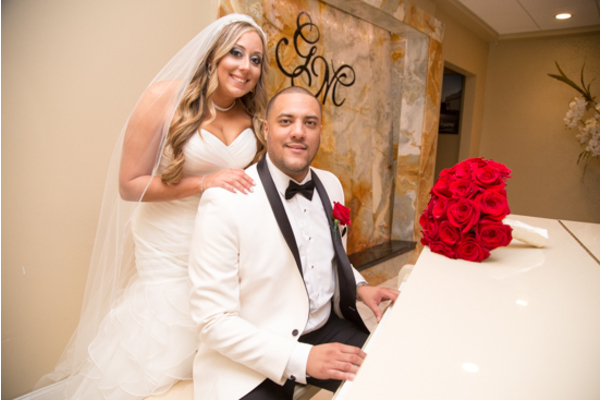 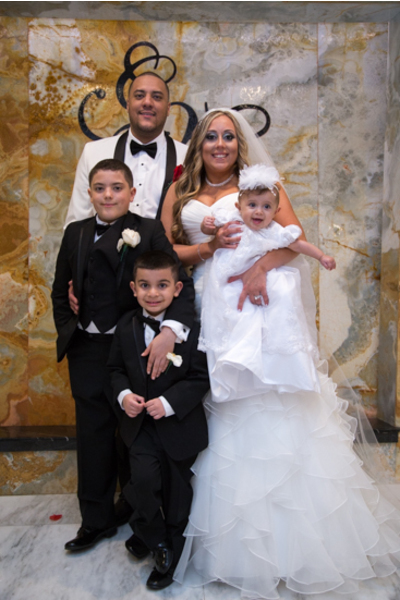 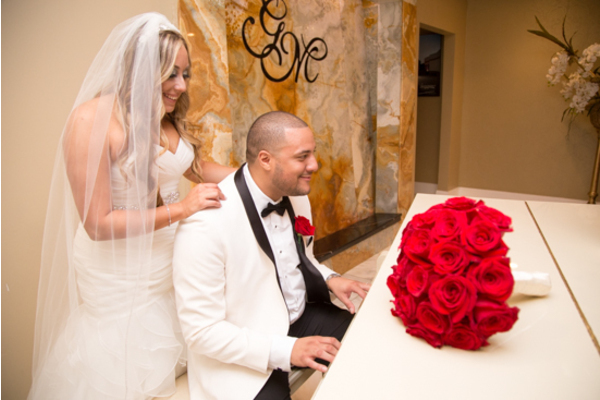 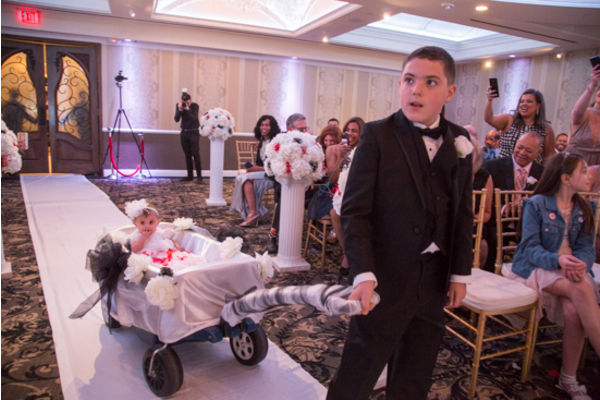 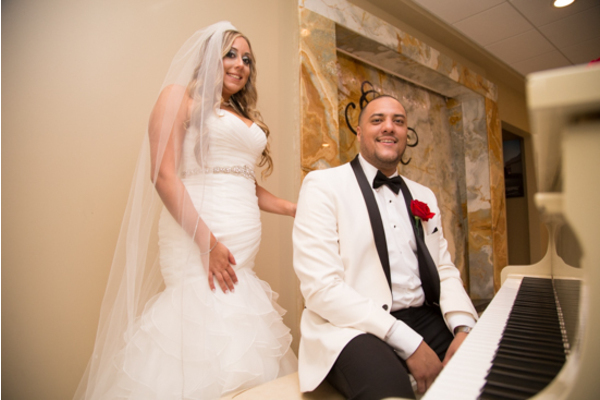 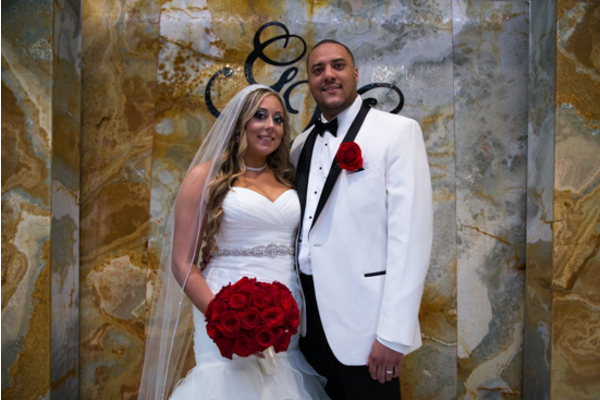 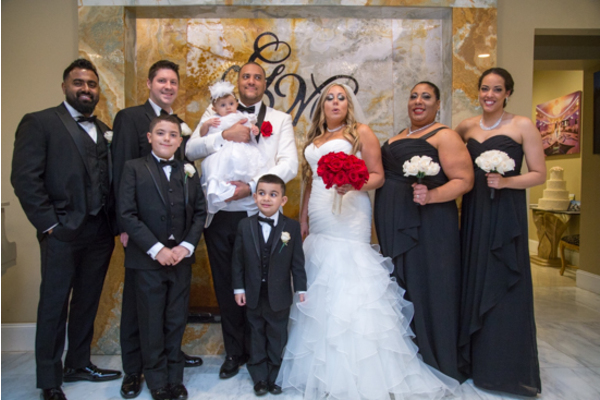 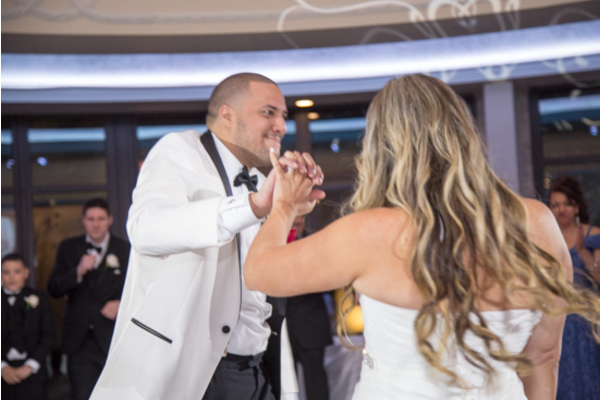 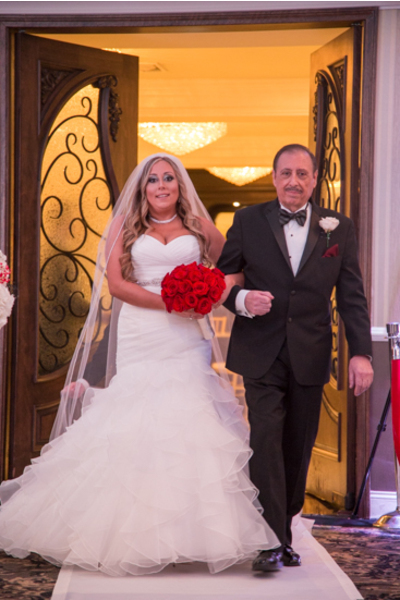 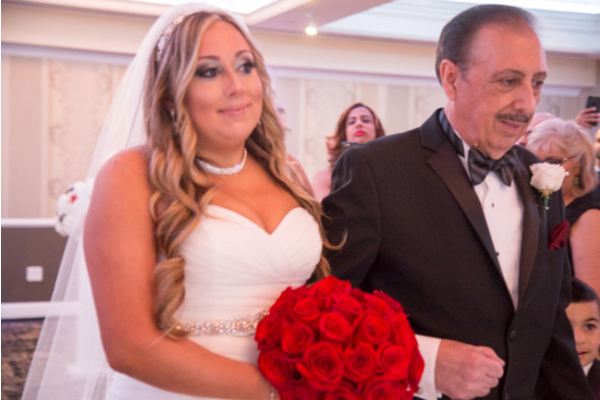 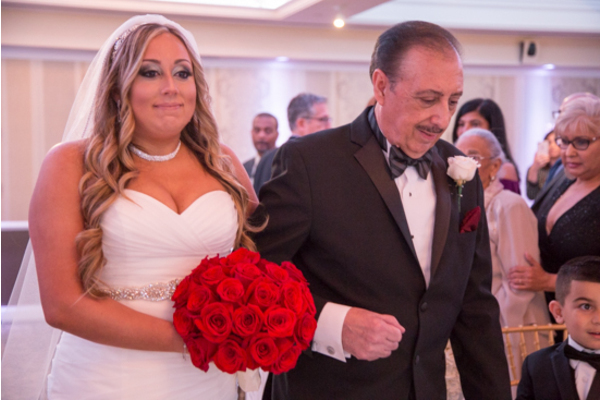 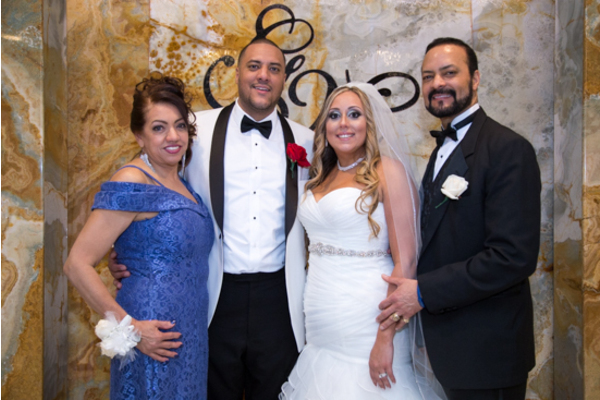 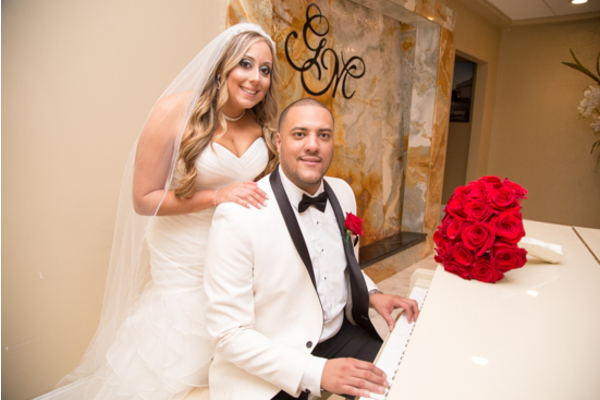 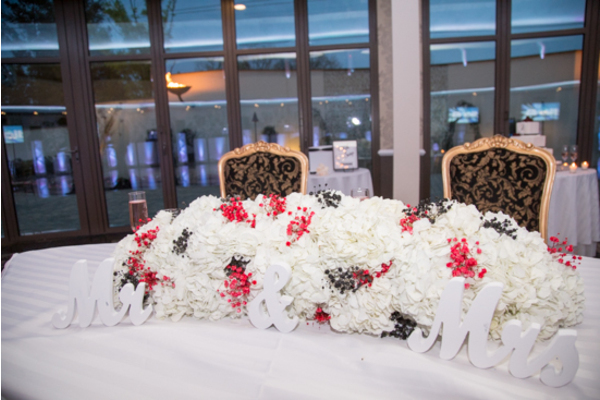 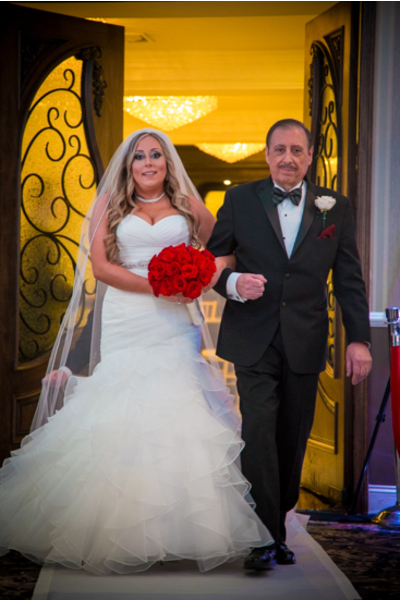 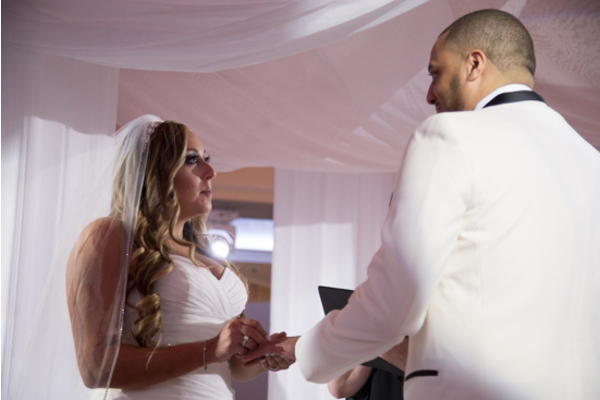 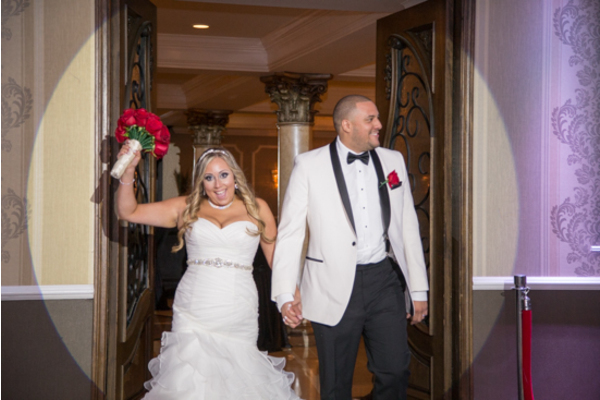 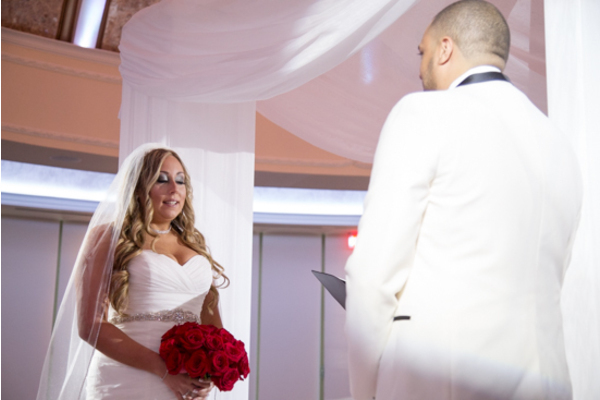 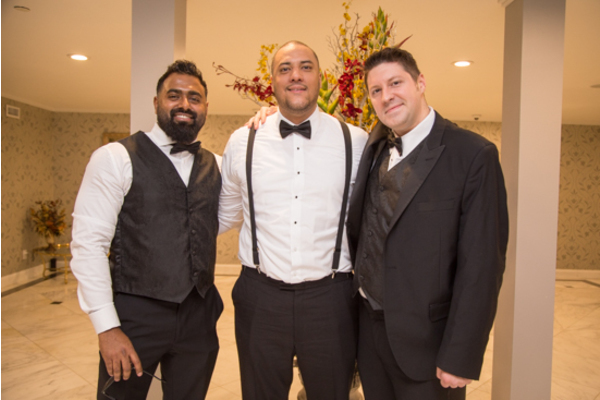 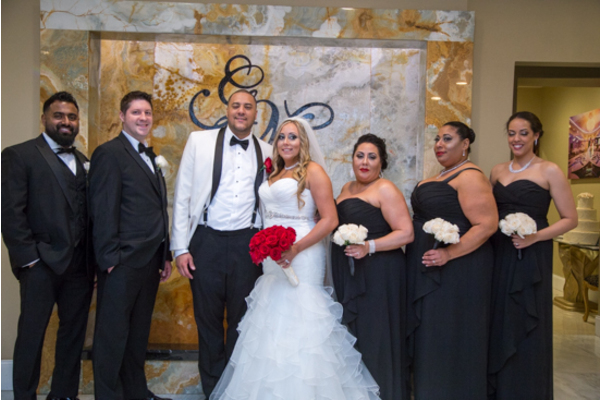 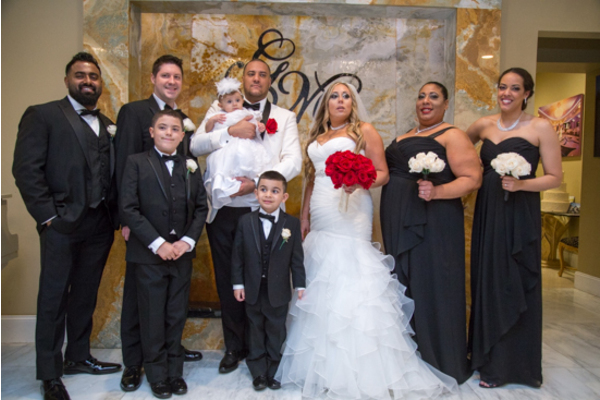 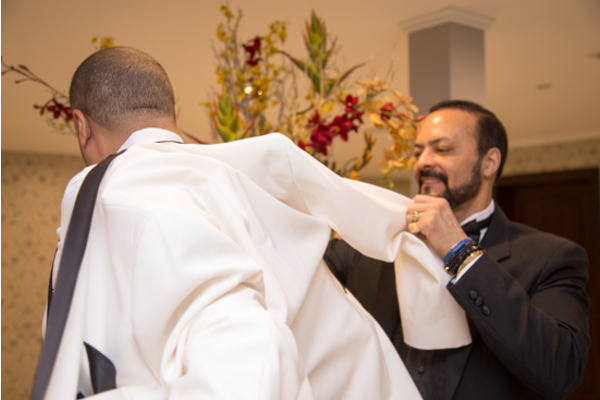 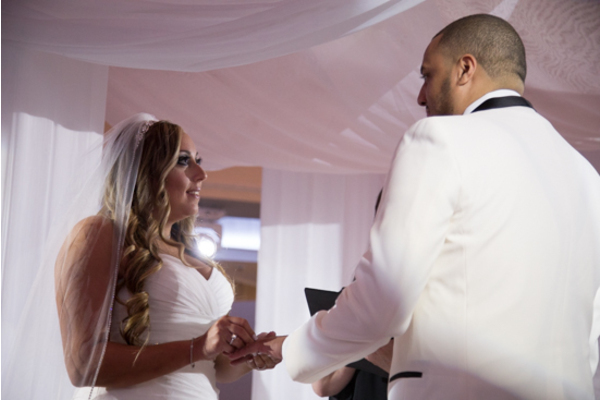 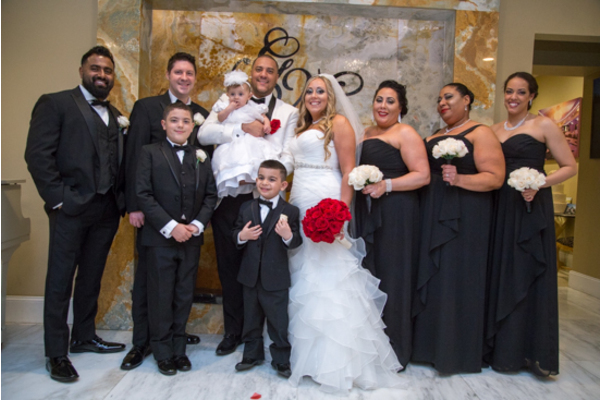 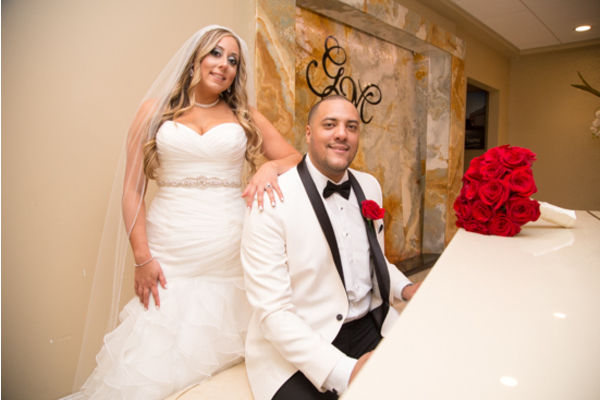 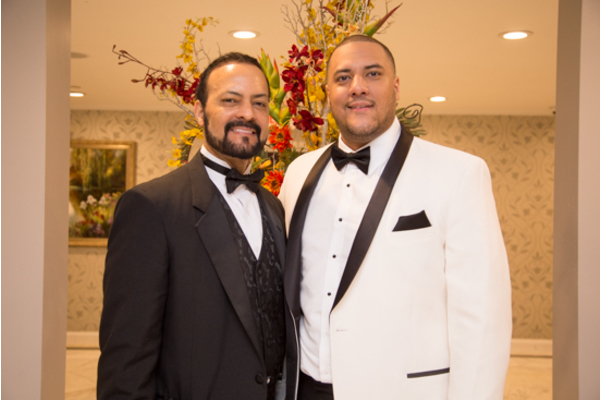 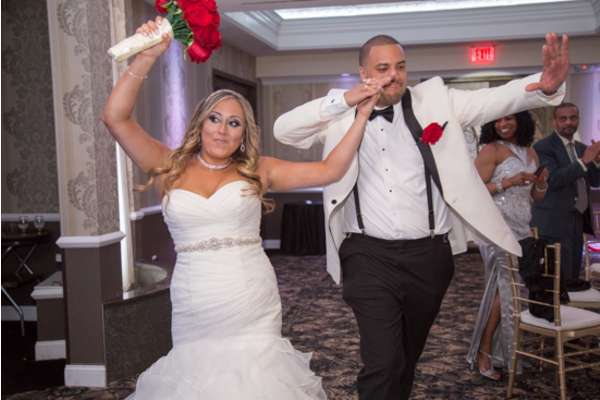 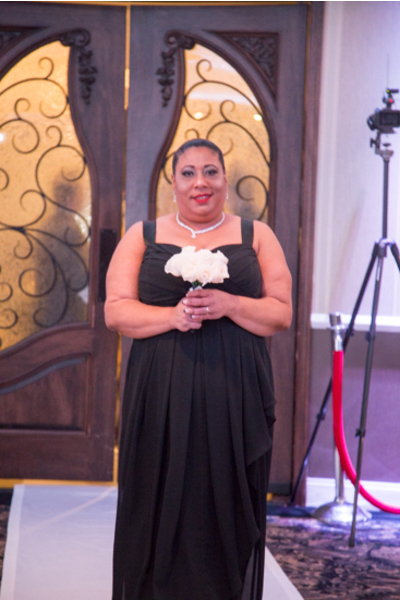 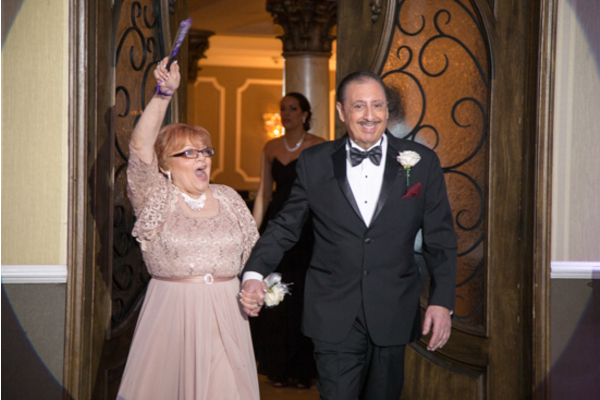 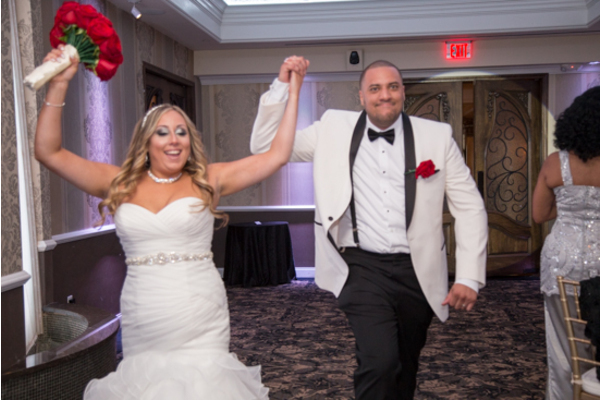 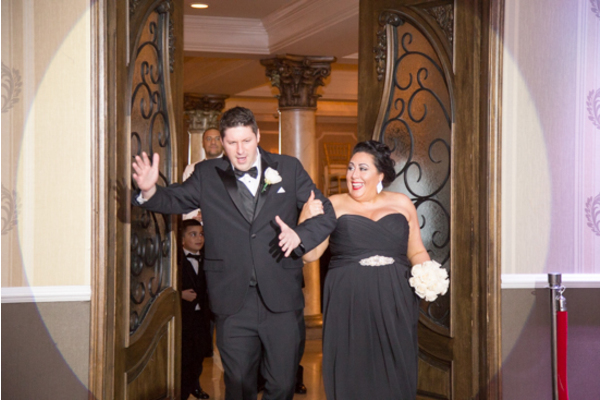 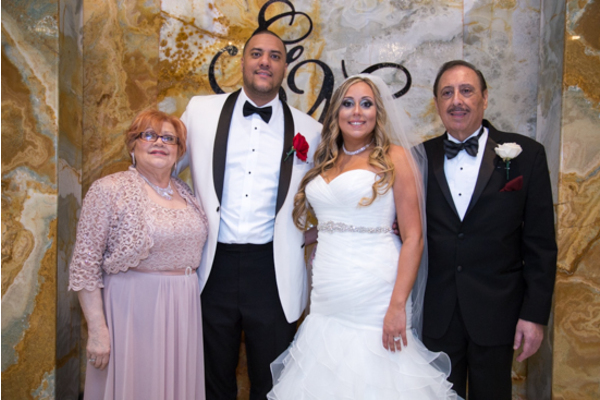 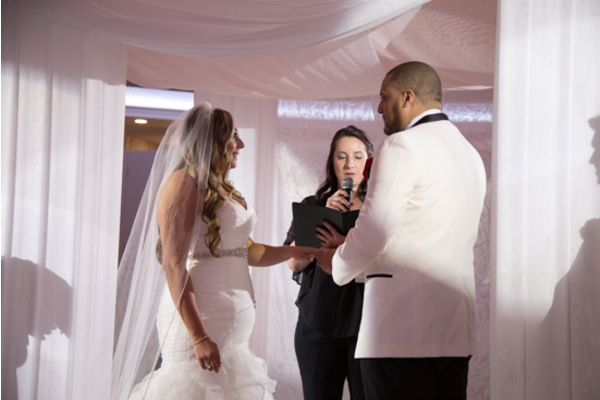 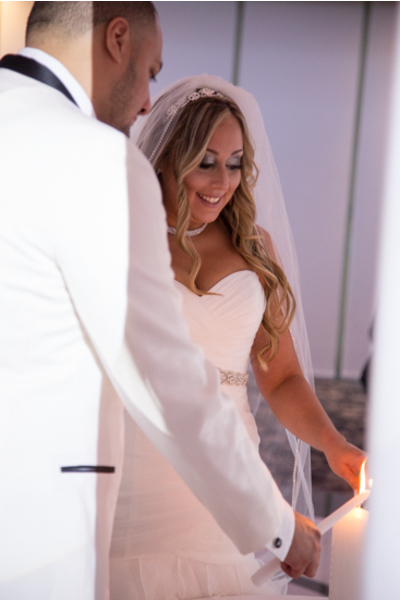 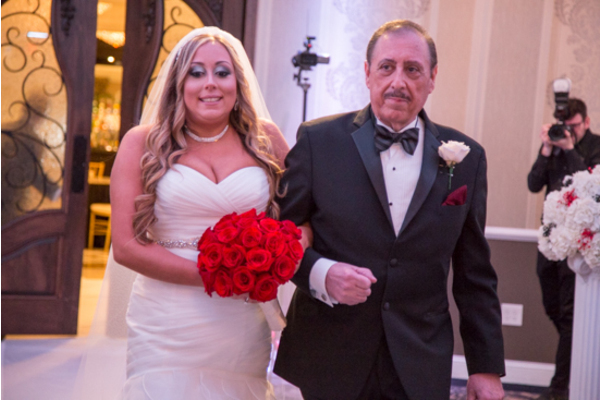 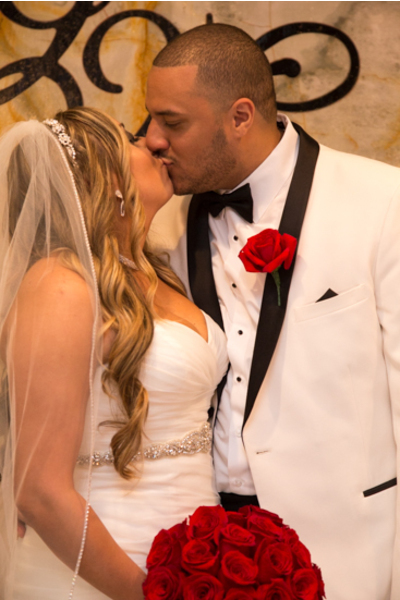 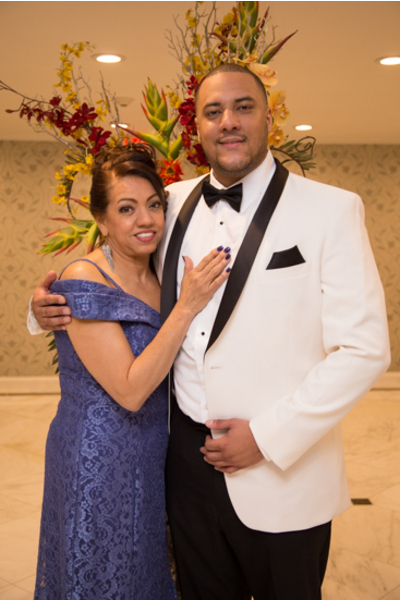 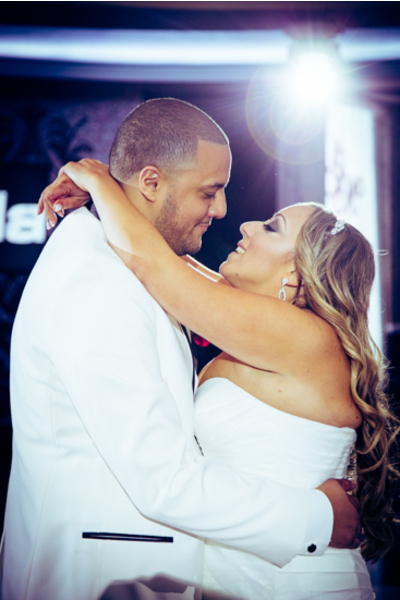 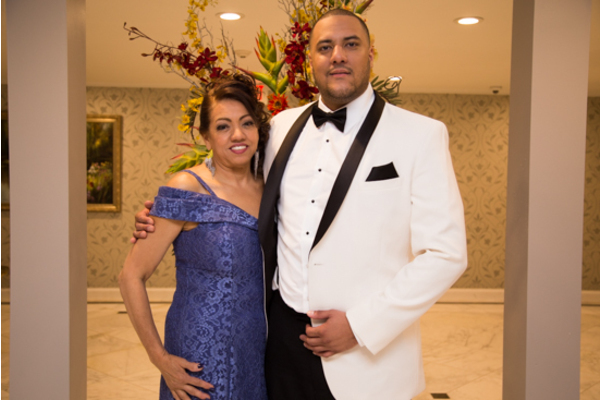 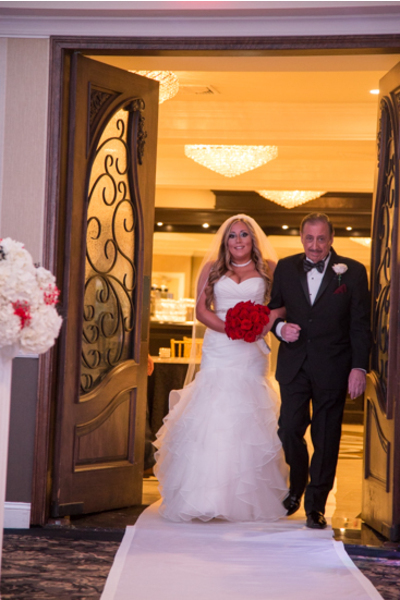 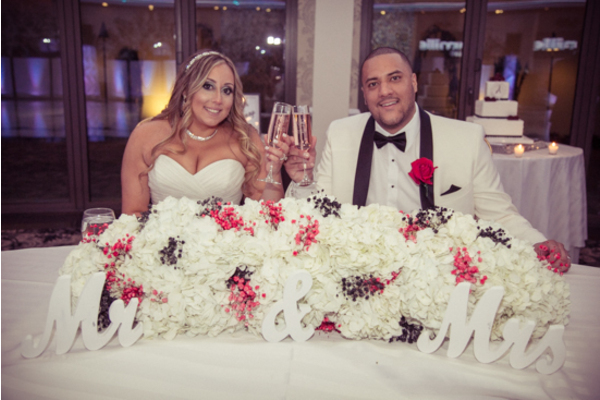 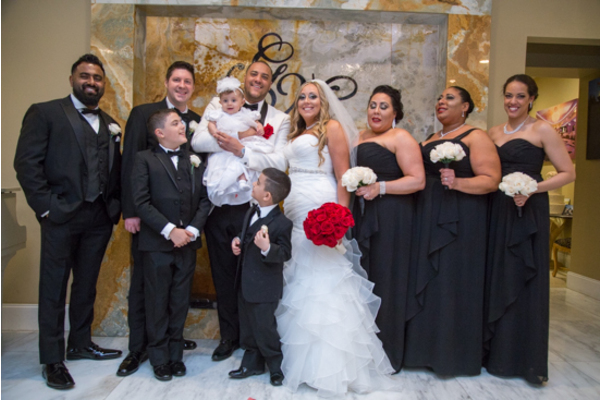 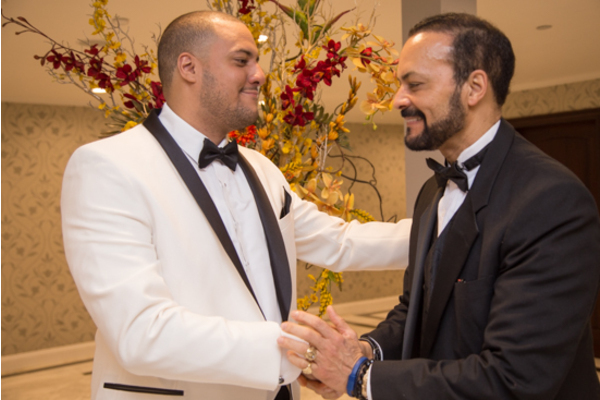 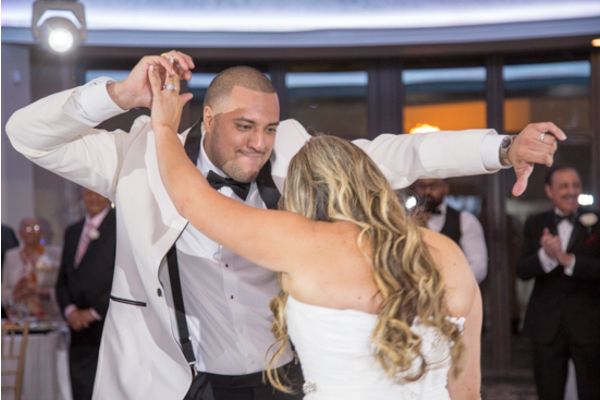 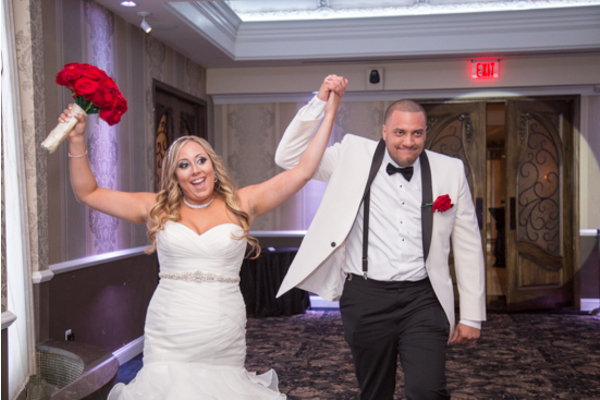 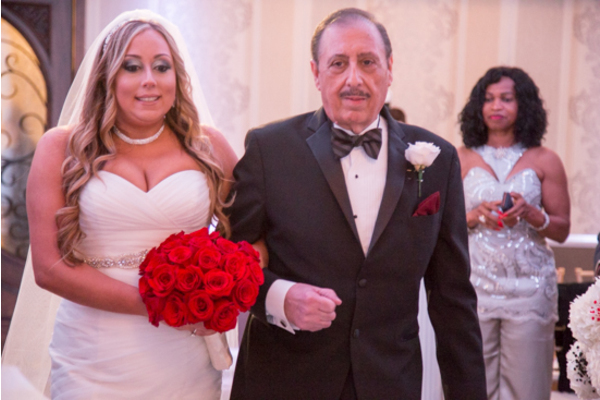 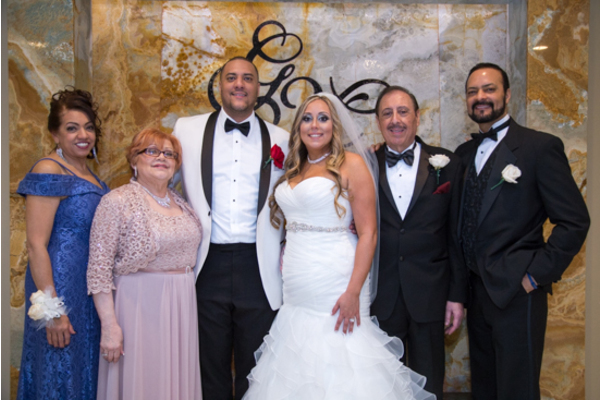 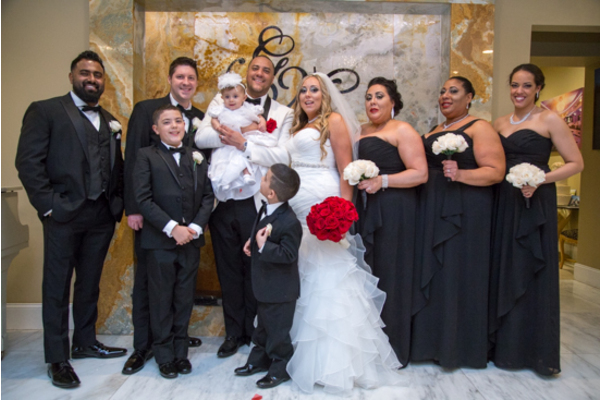 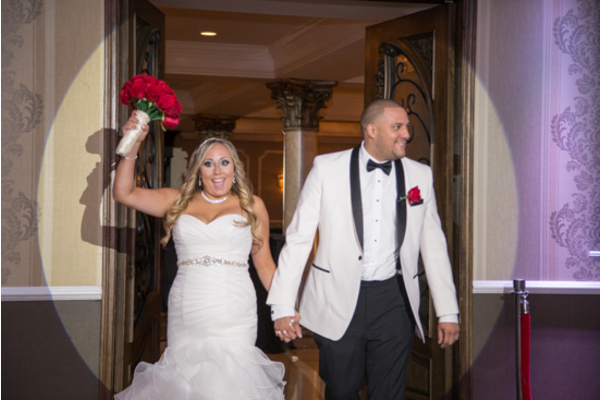 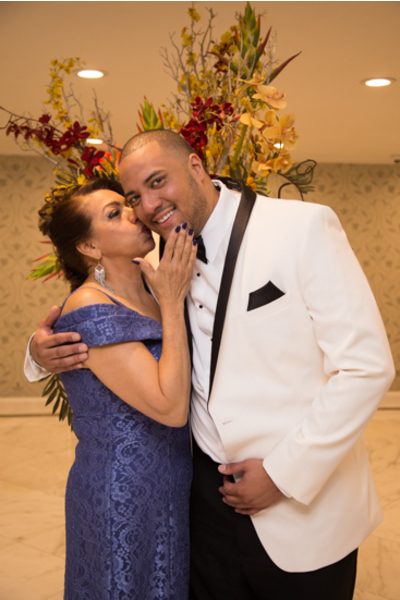 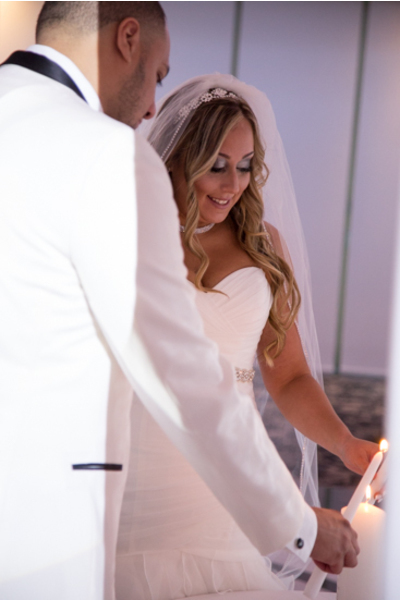 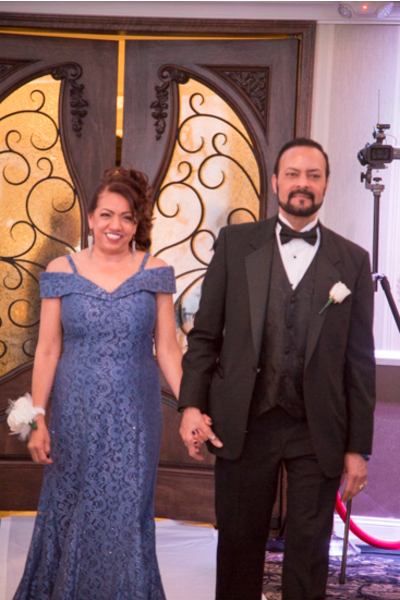 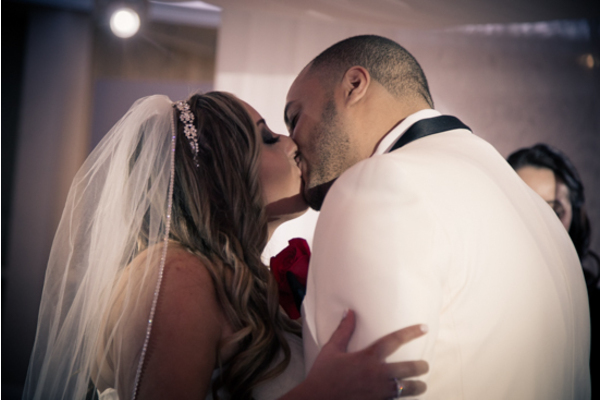 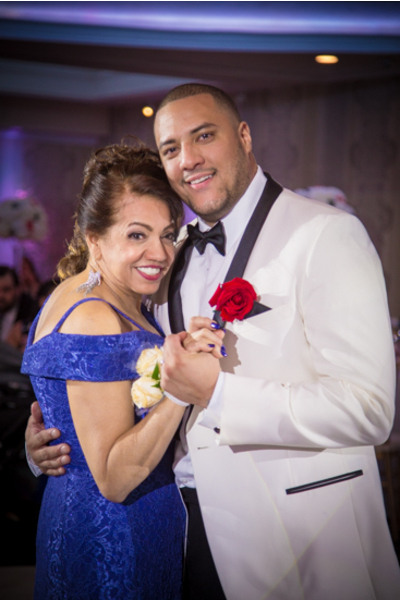 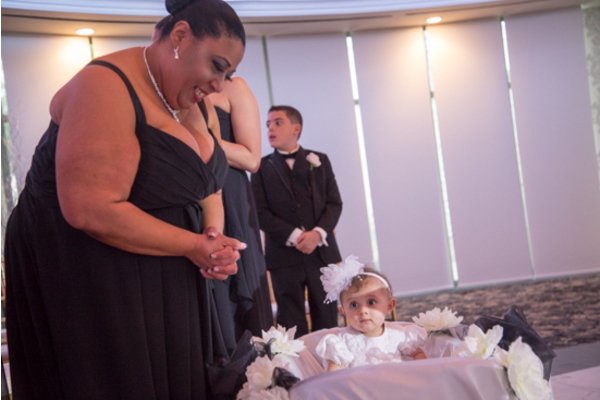 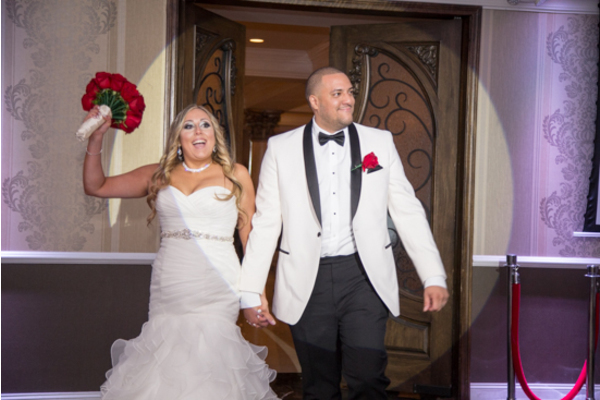 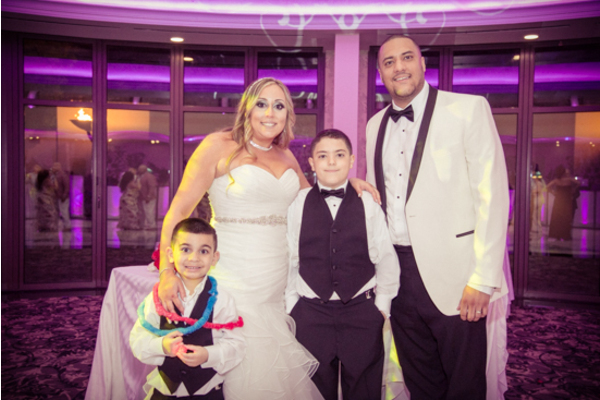 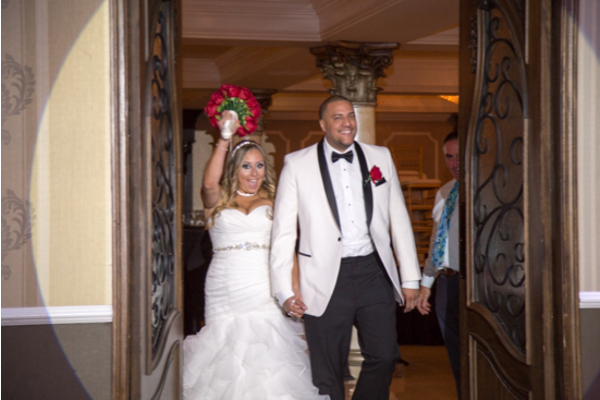 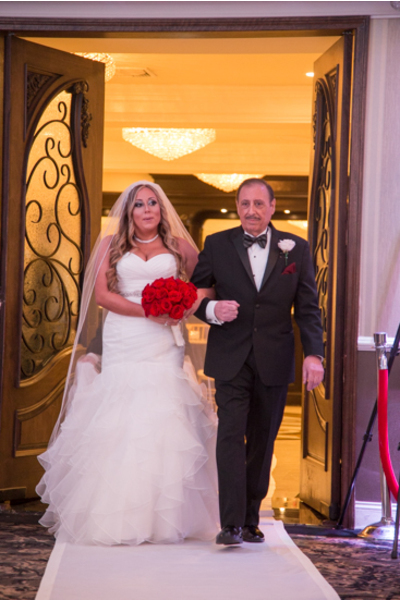 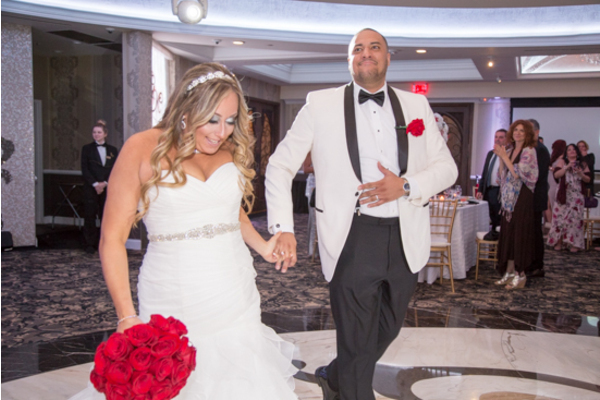 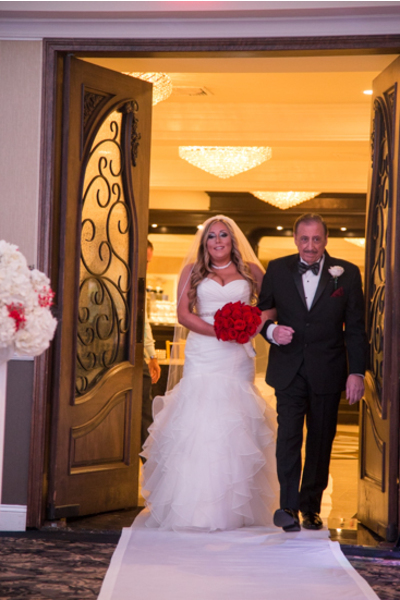 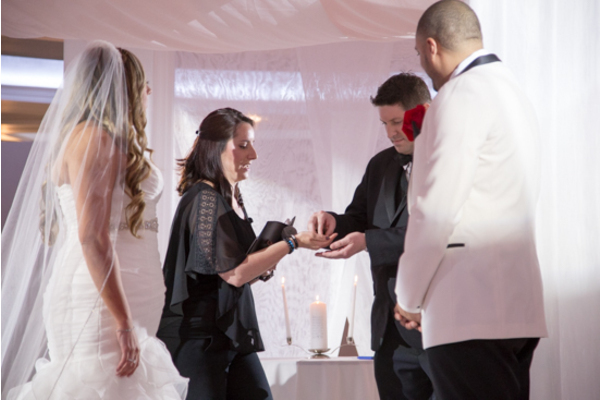 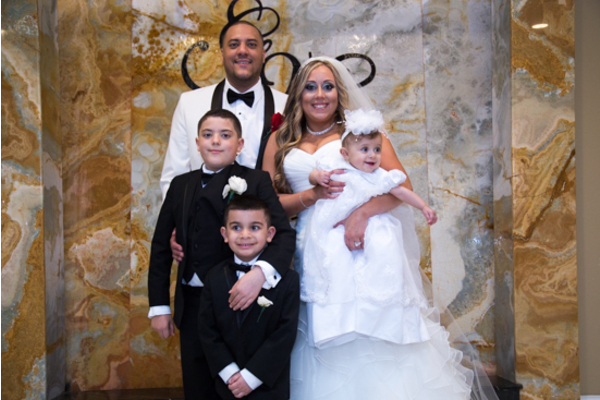 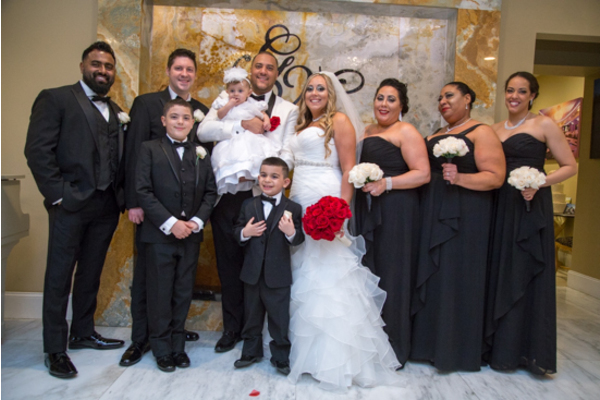 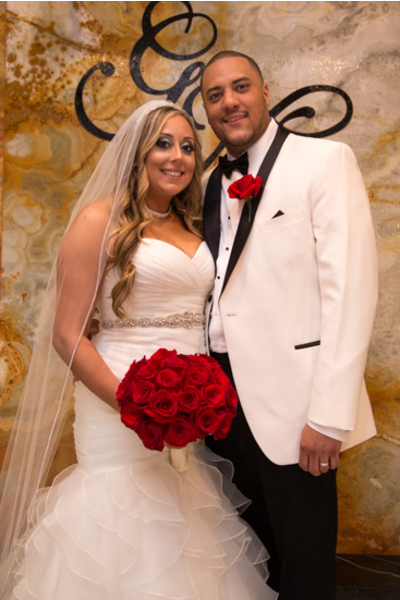 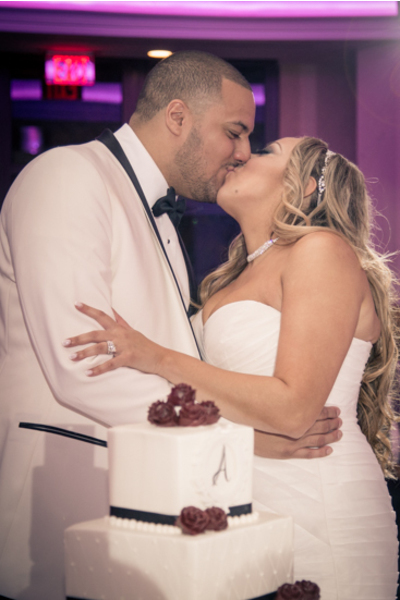 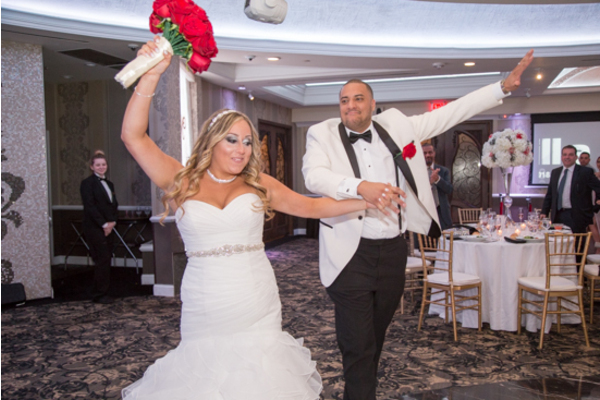 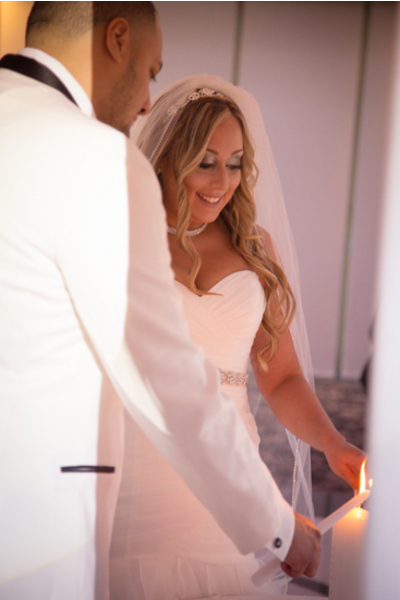 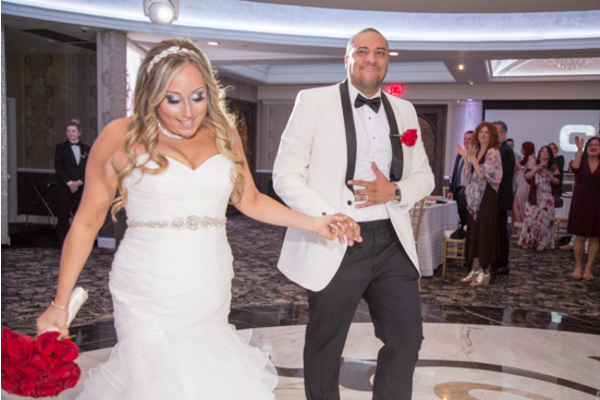 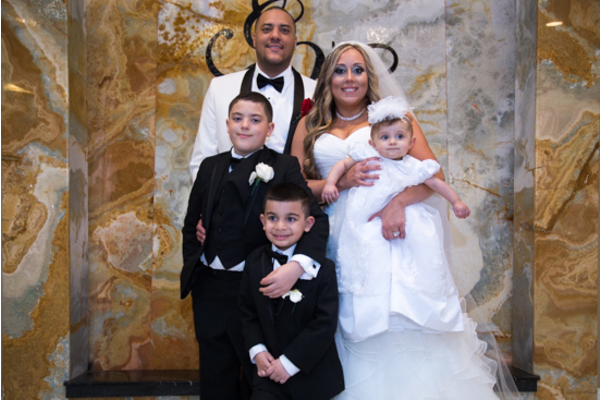 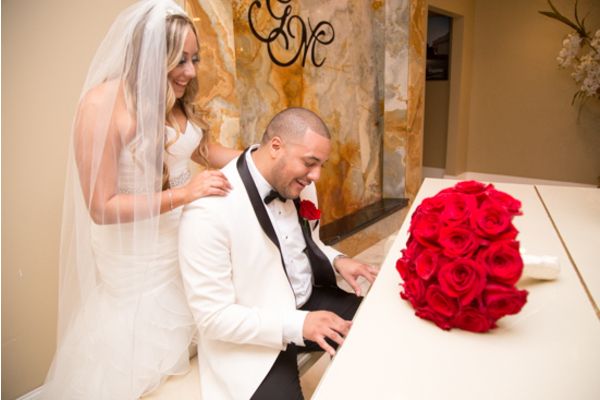 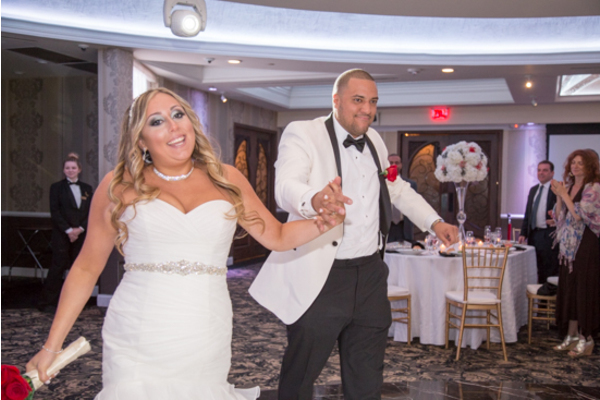 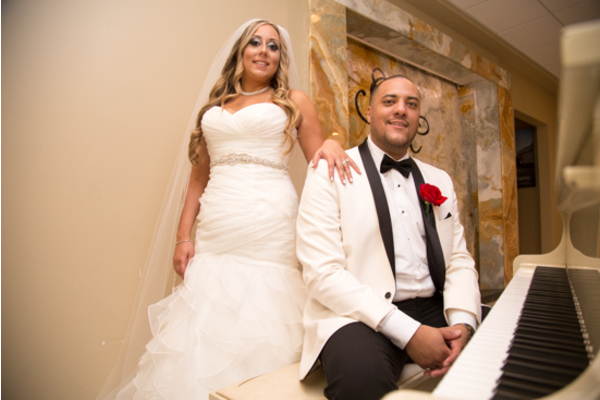 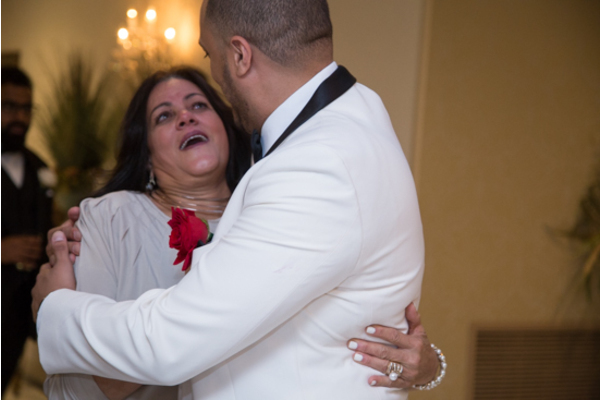 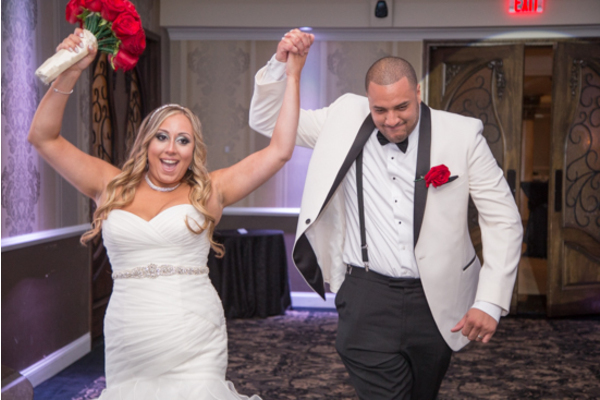 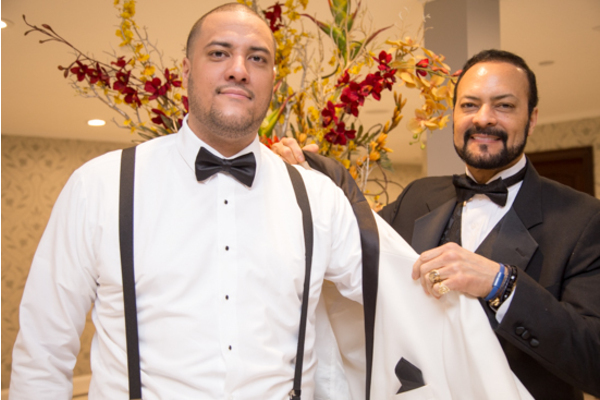 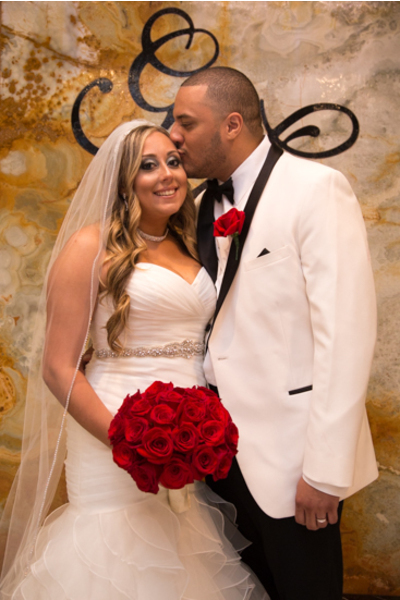 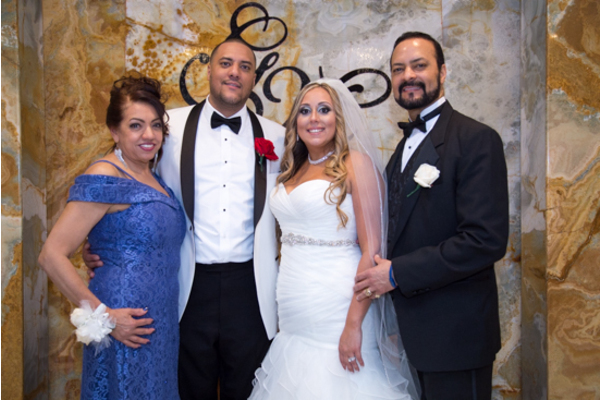 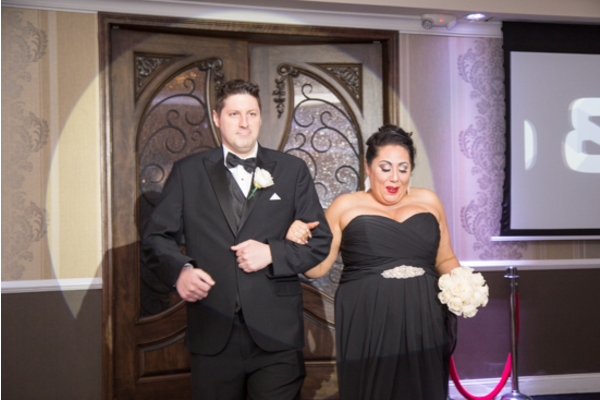 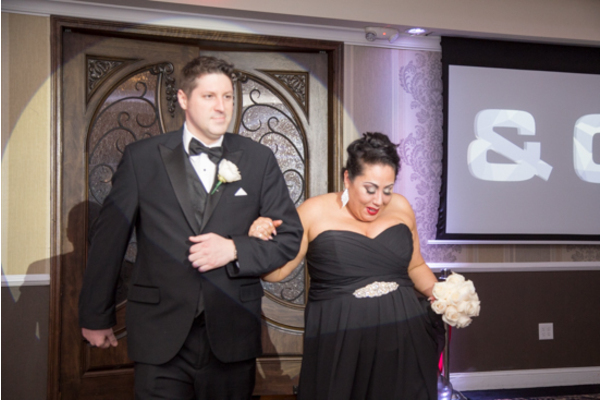 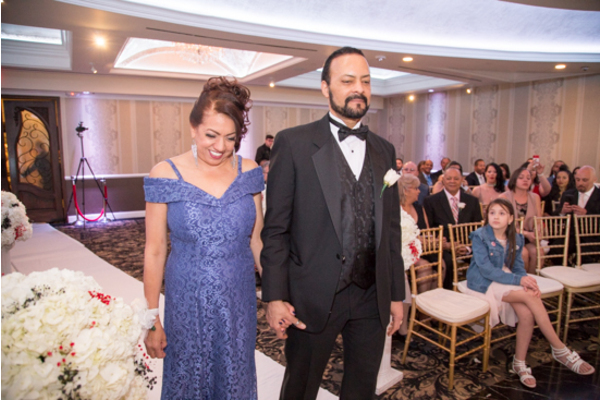 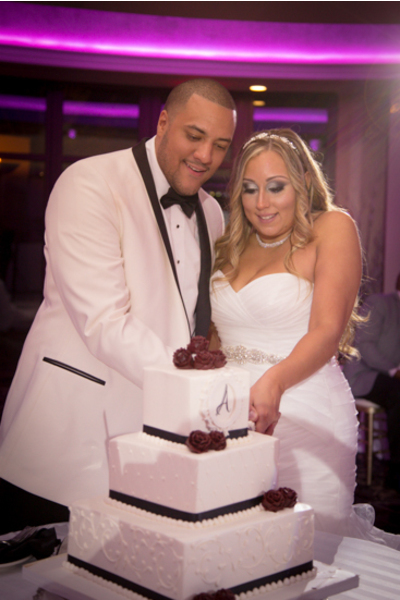 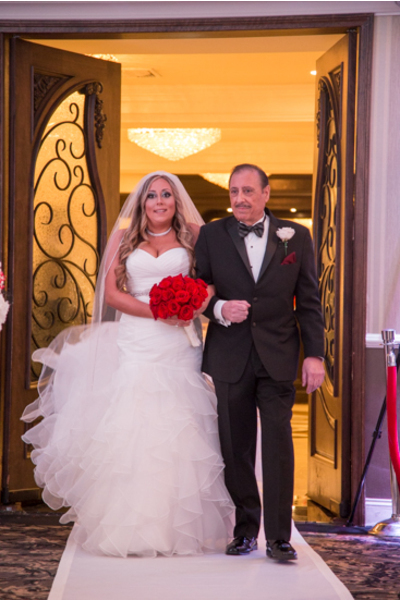 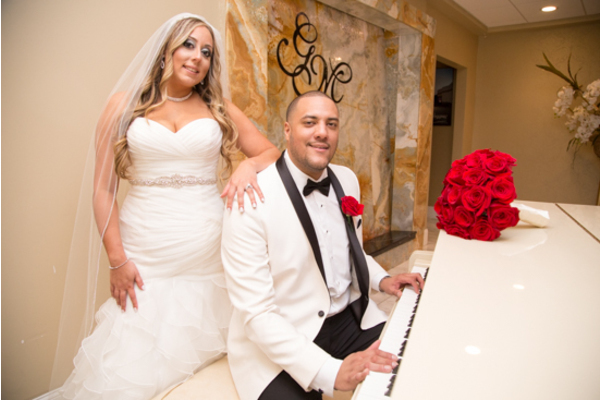 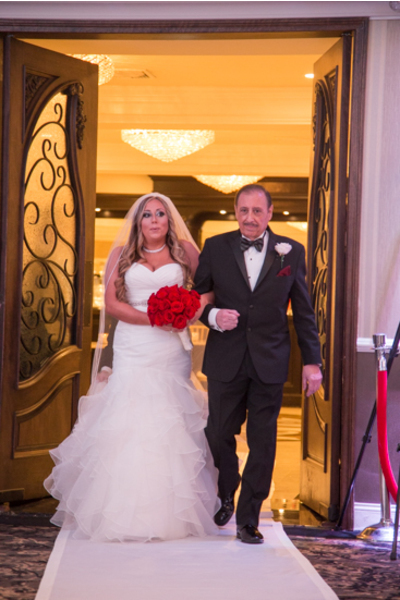 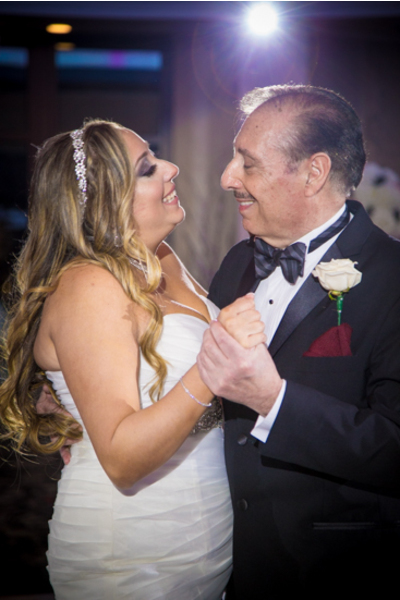 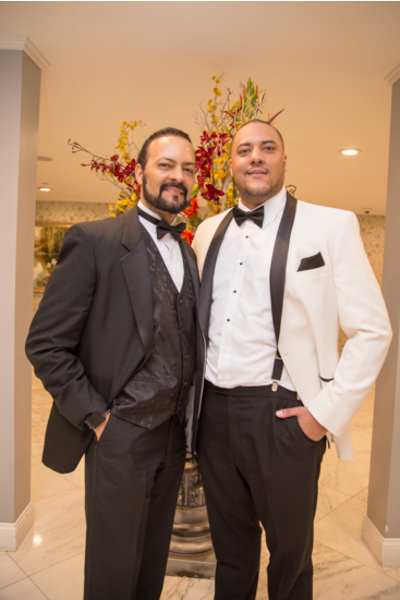 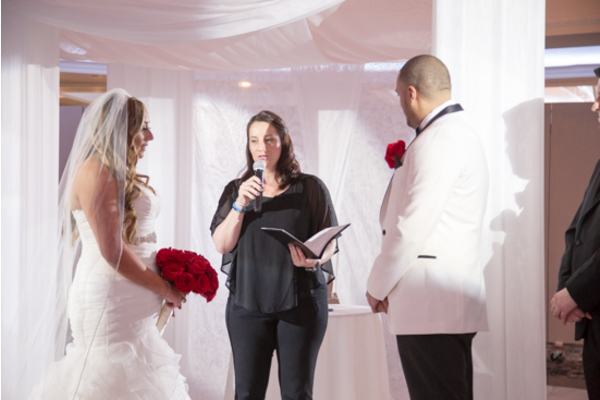 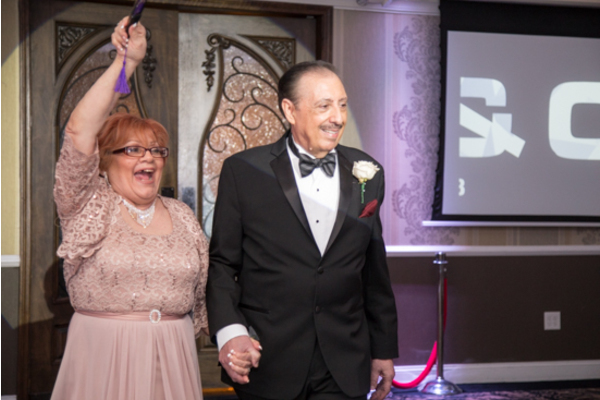 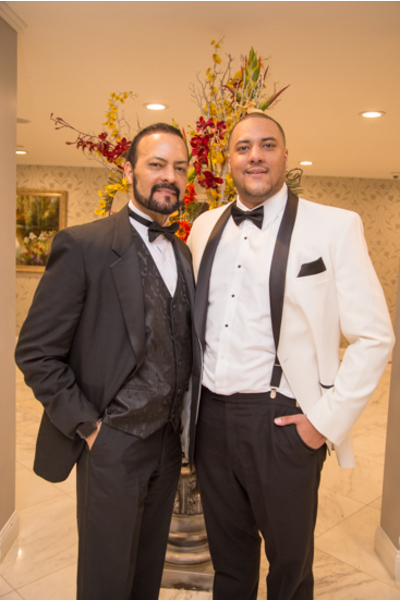 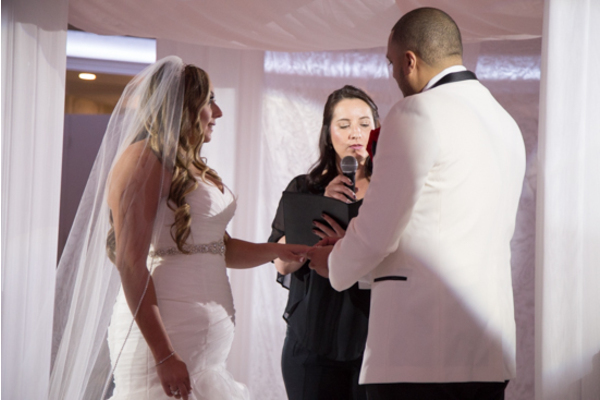 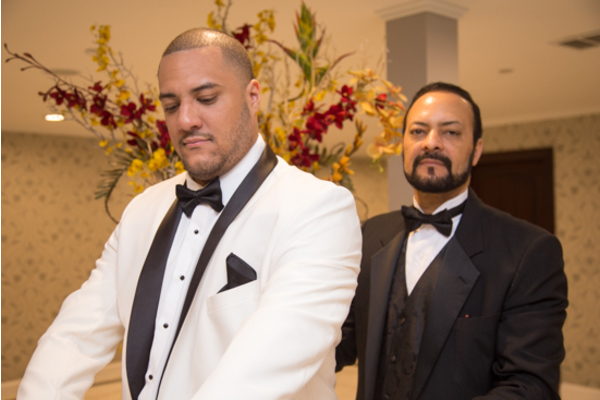 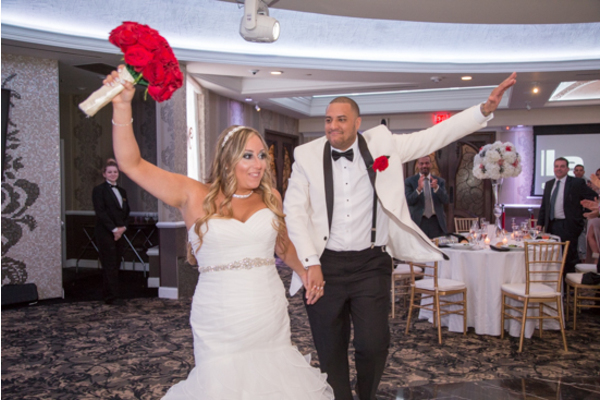 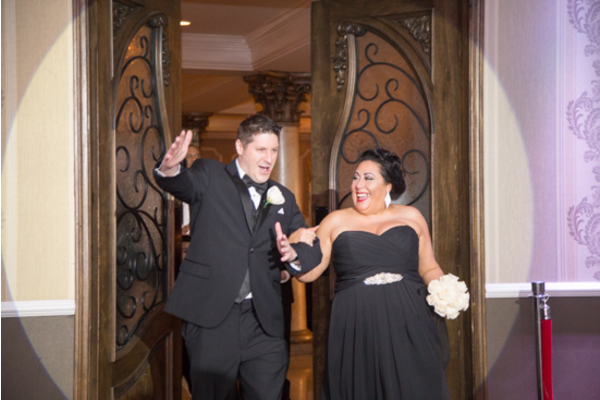 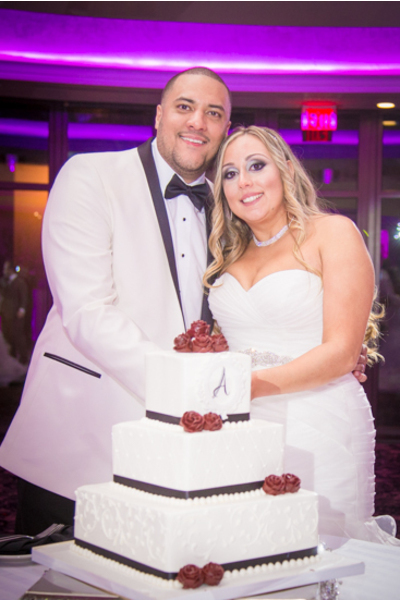 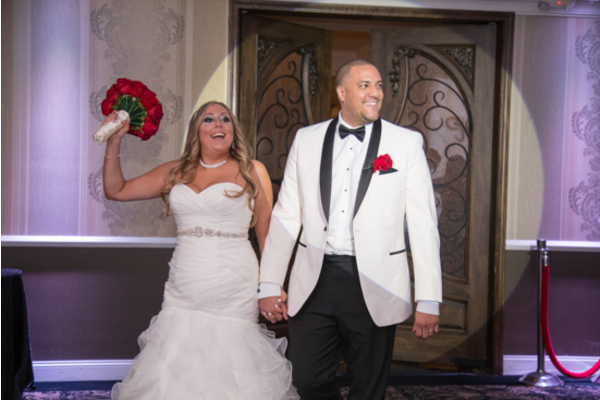 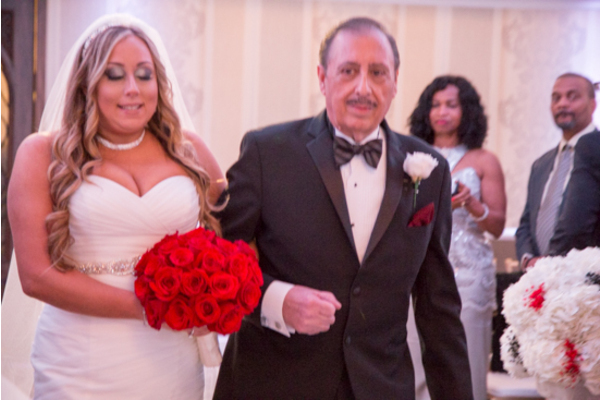 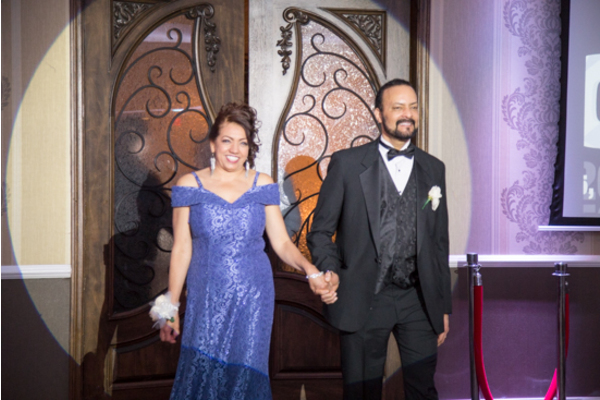 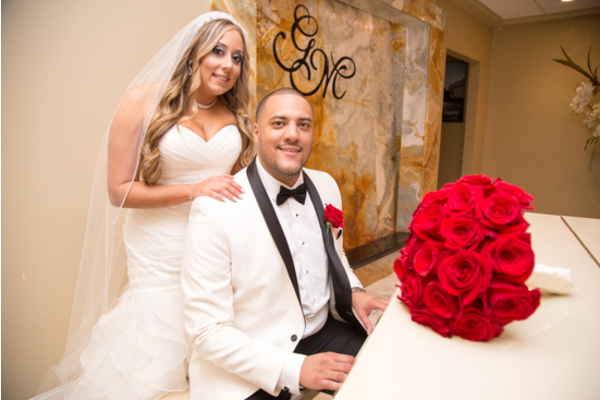 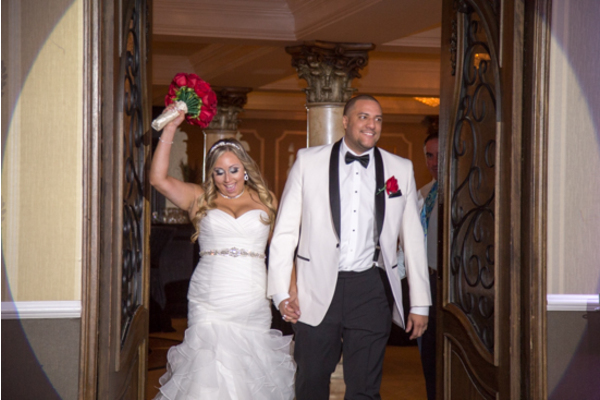 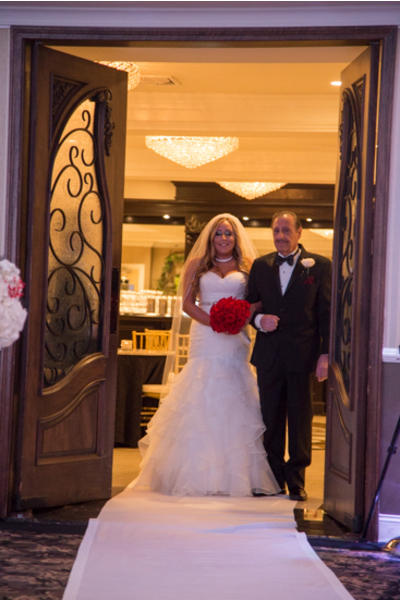 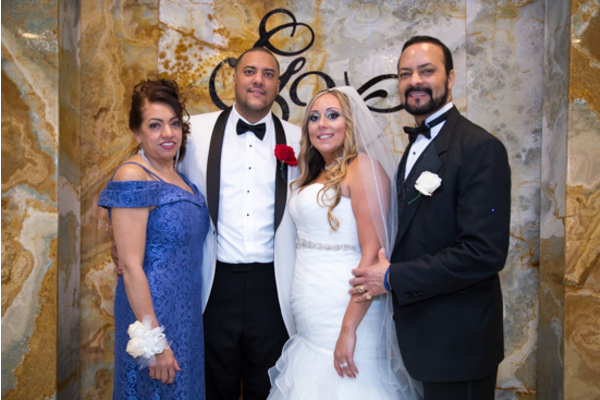 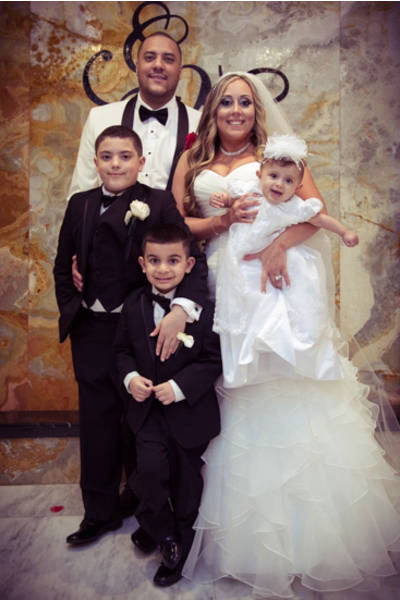 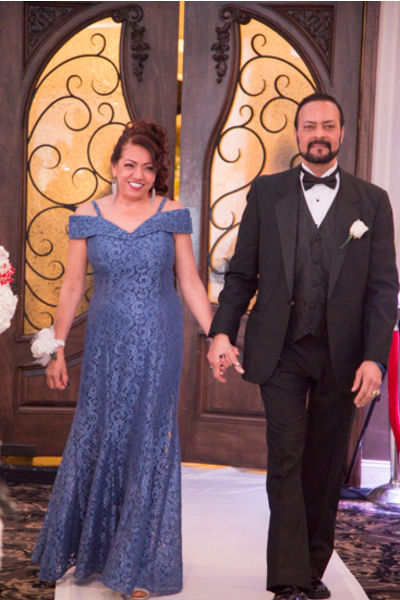 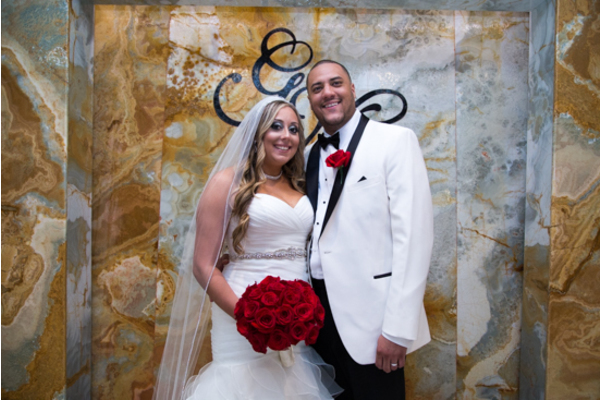 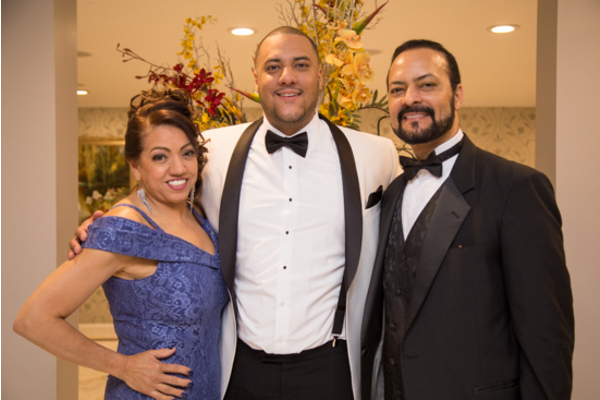 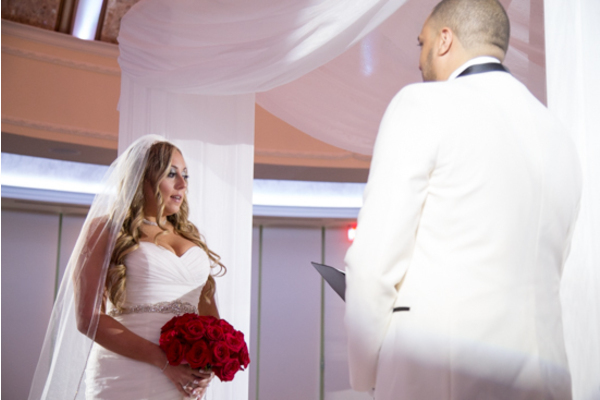 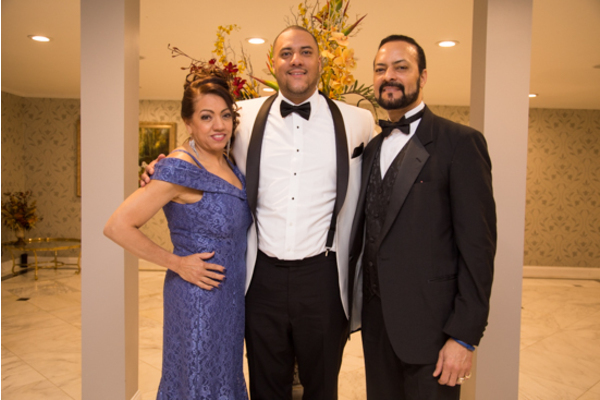 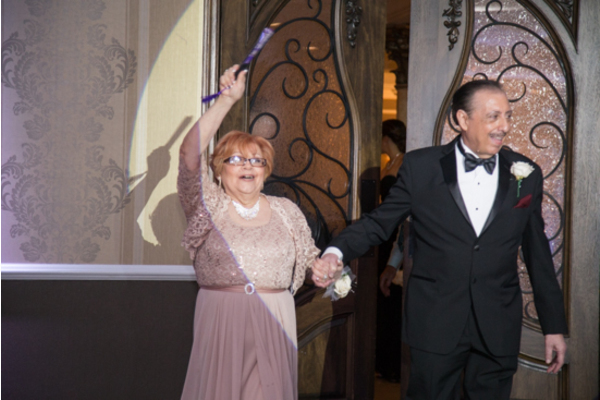 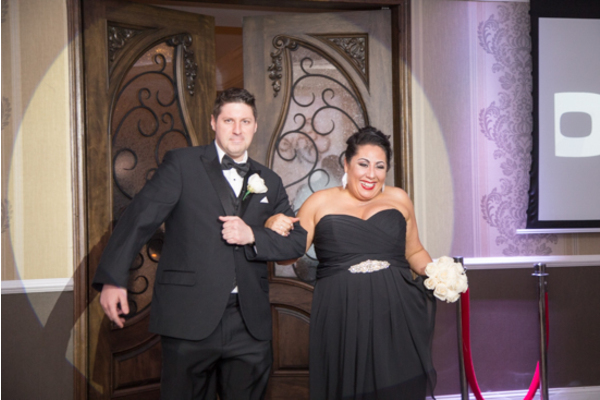 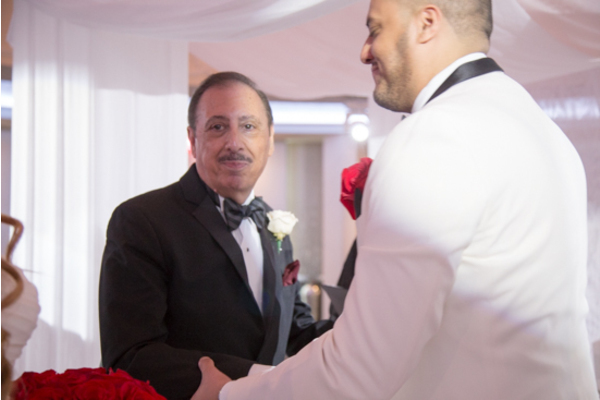 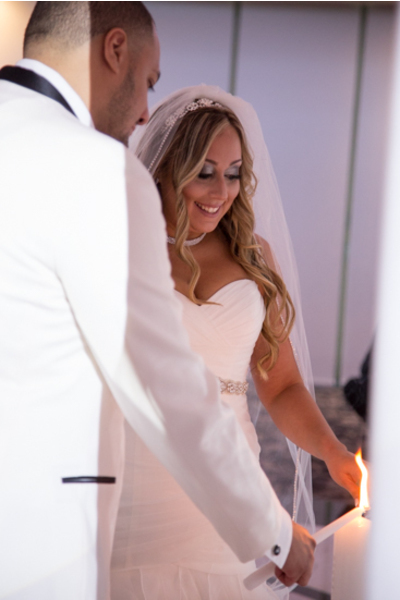 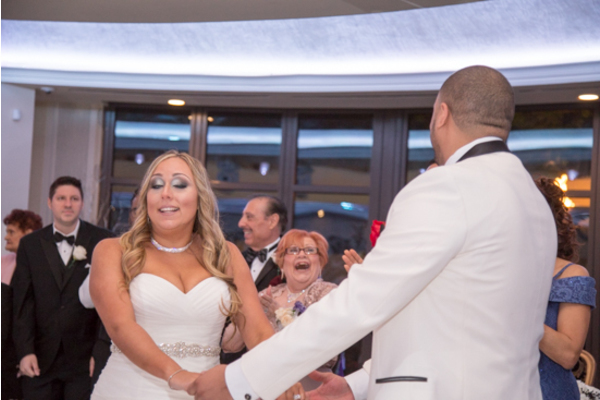 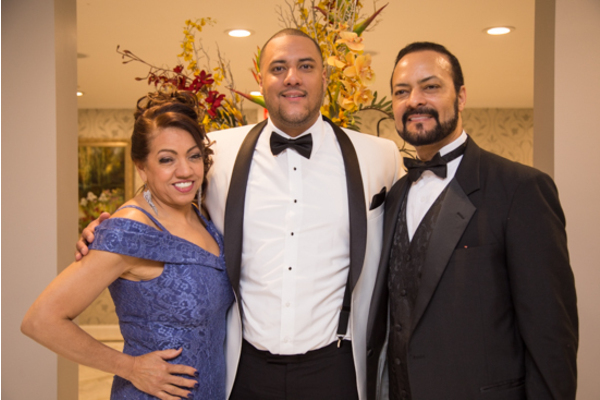 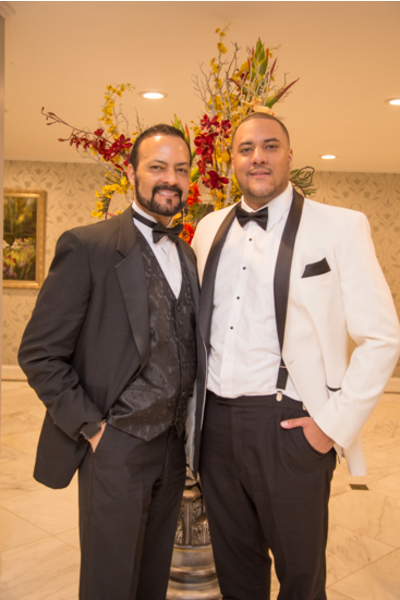 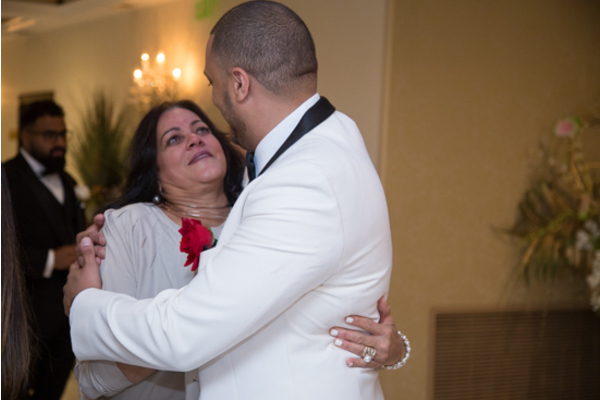 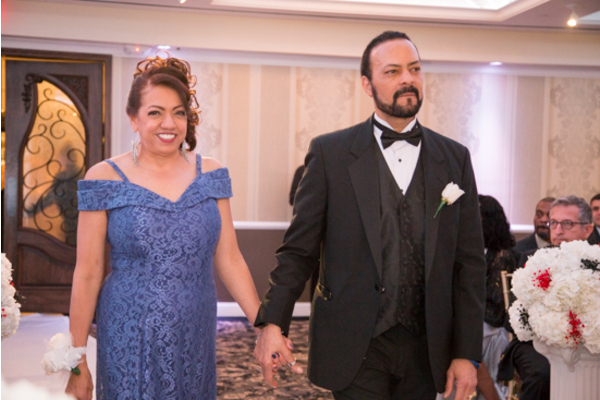 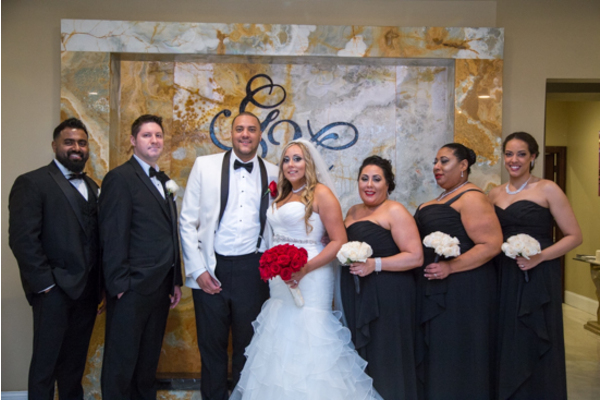 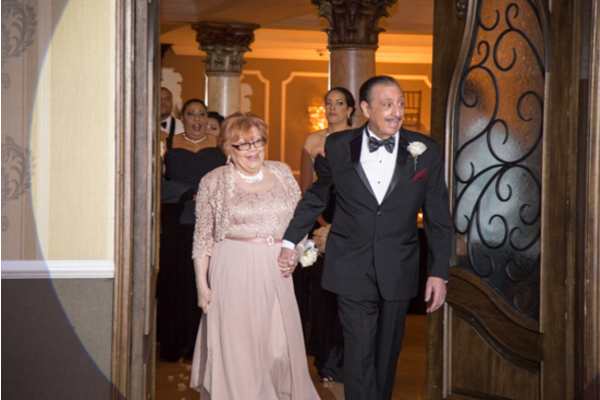 These two exchanged vows at the lovely Grand Marquis in Old Bridge, NJ this May! 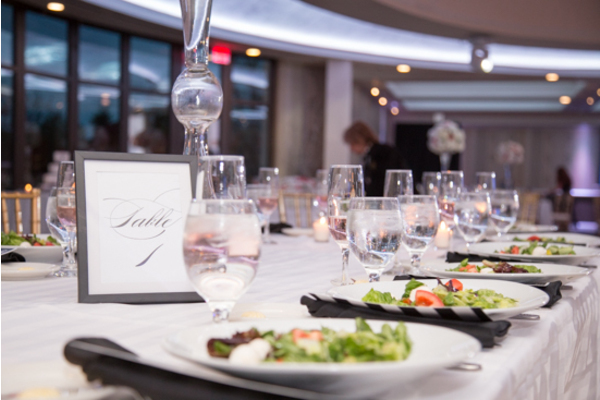 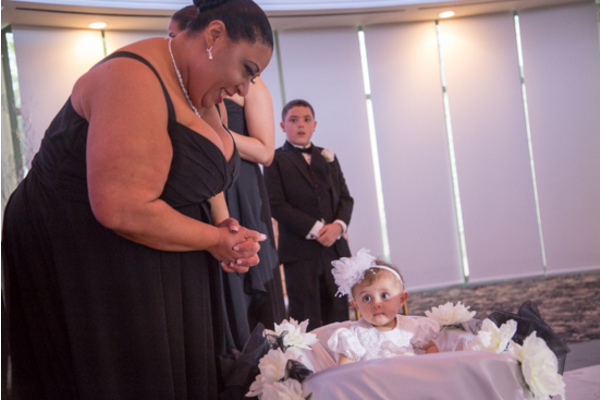 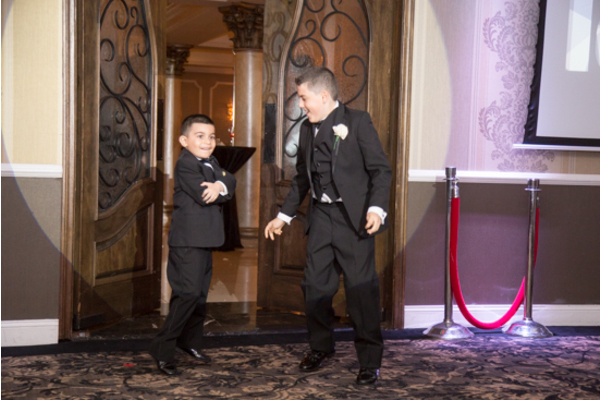 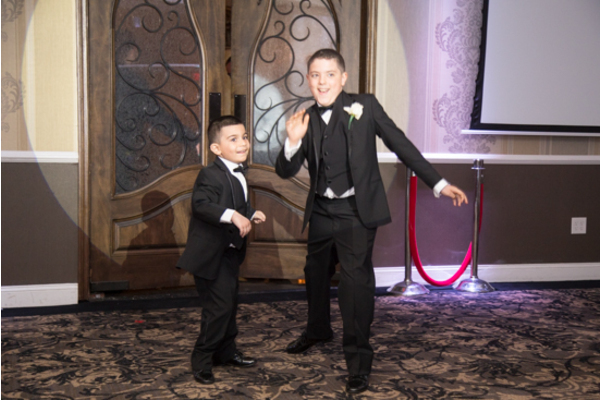 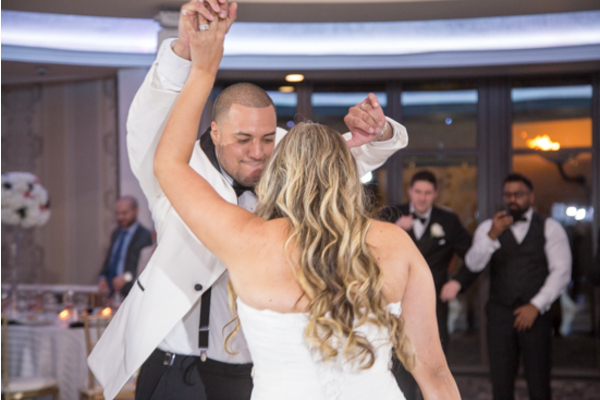 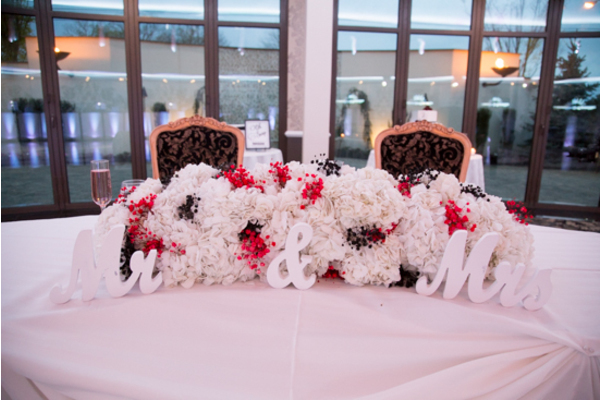 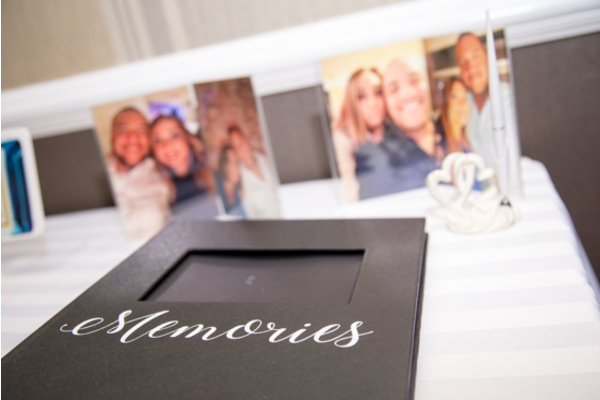 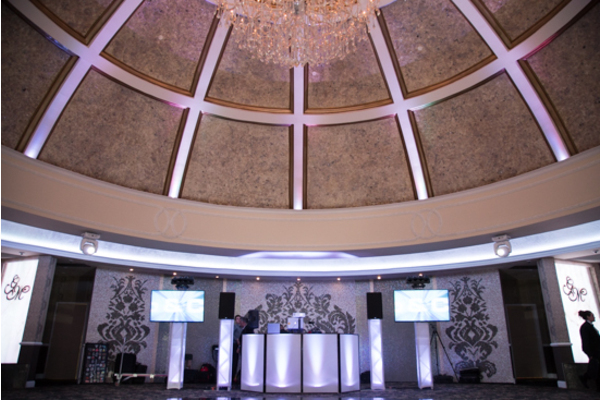 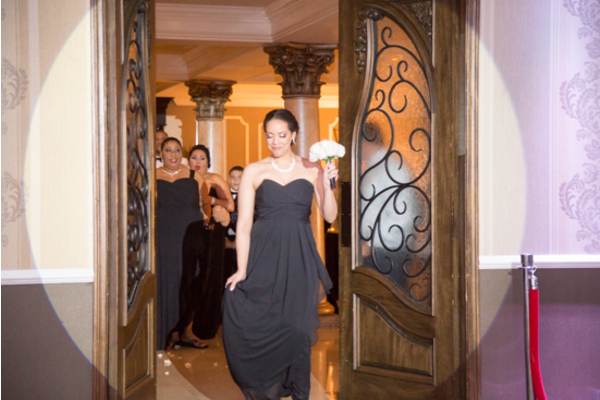 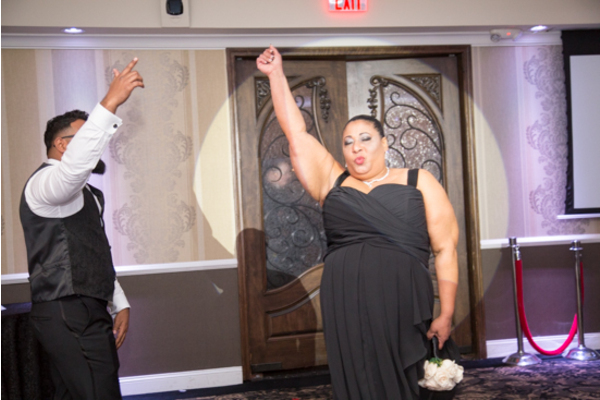 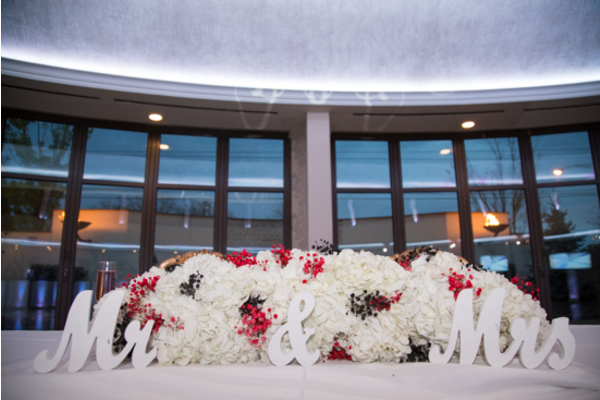 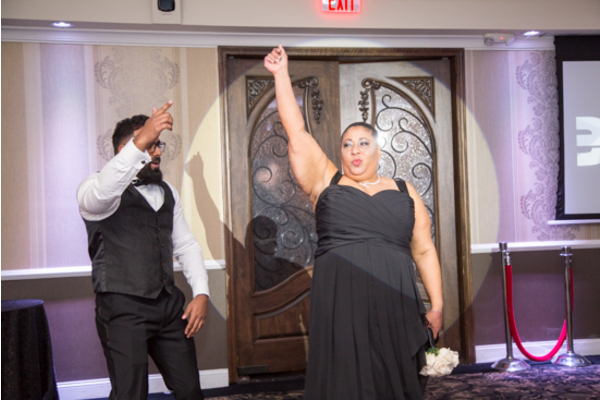 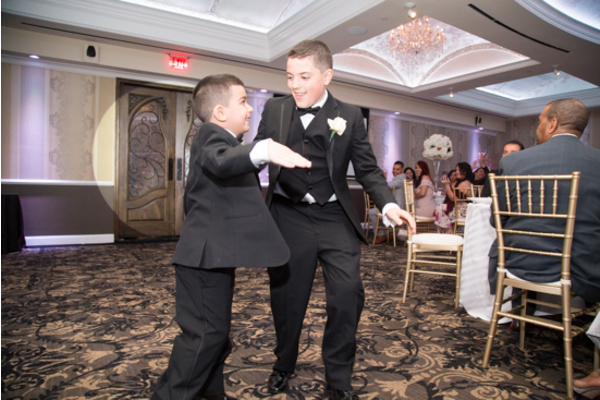 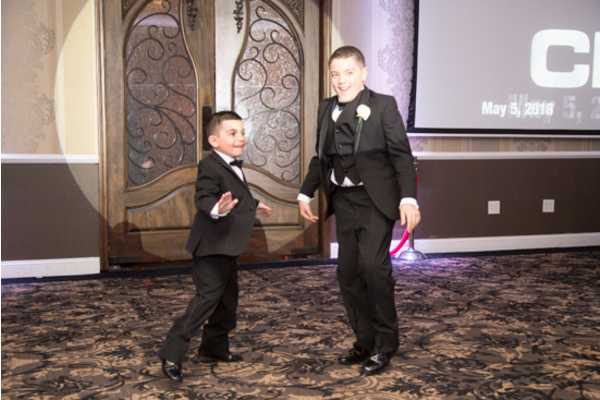 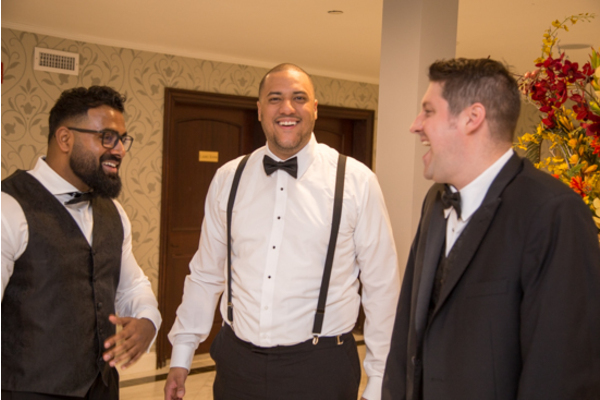 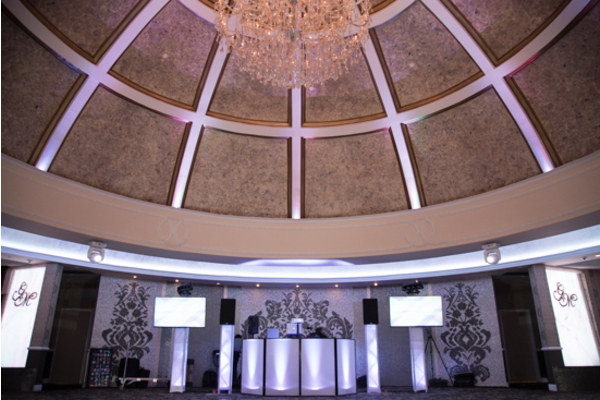 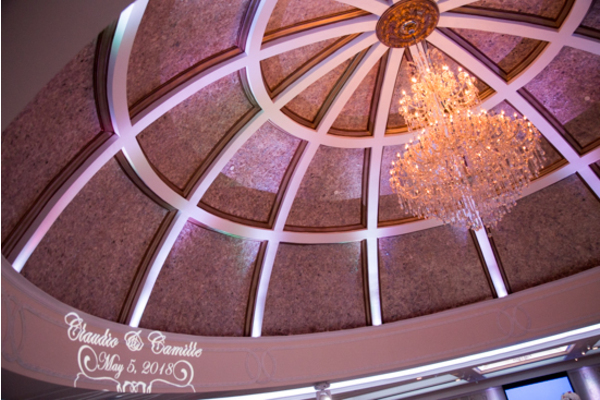 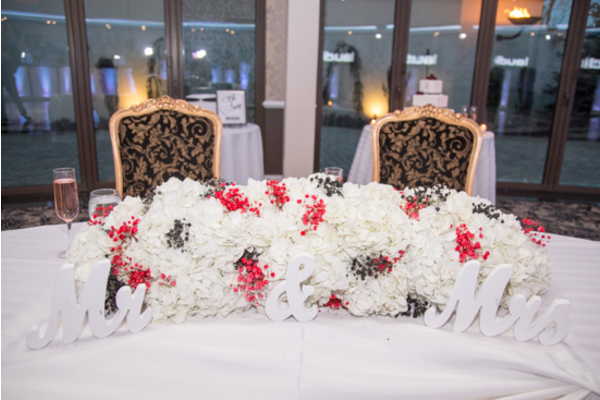 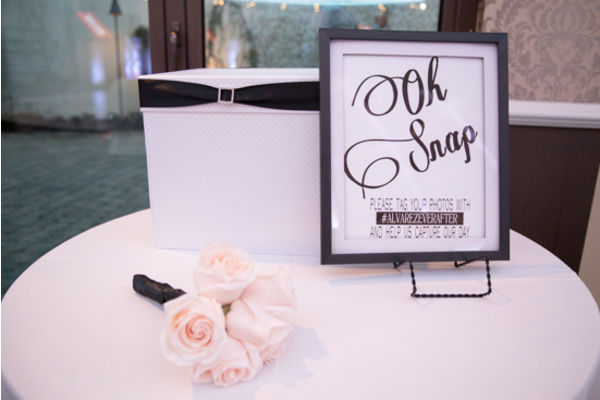 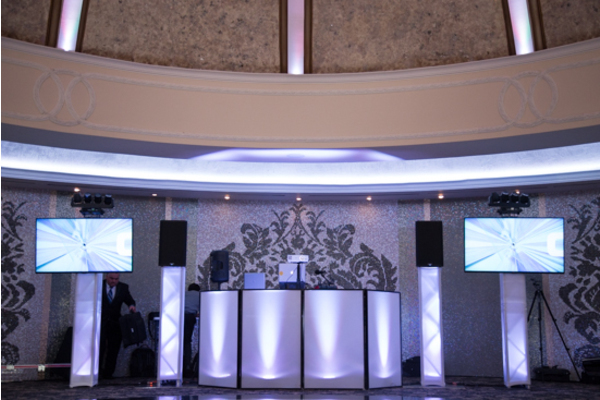 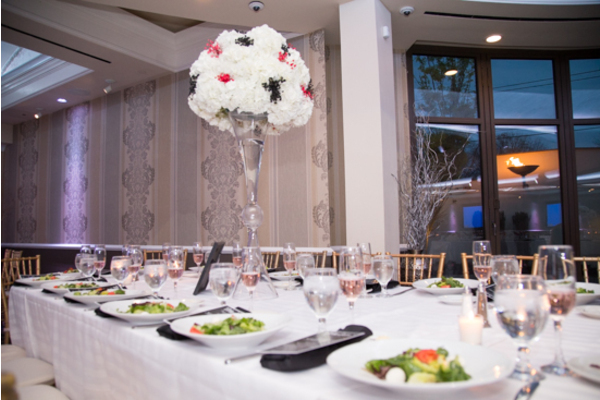 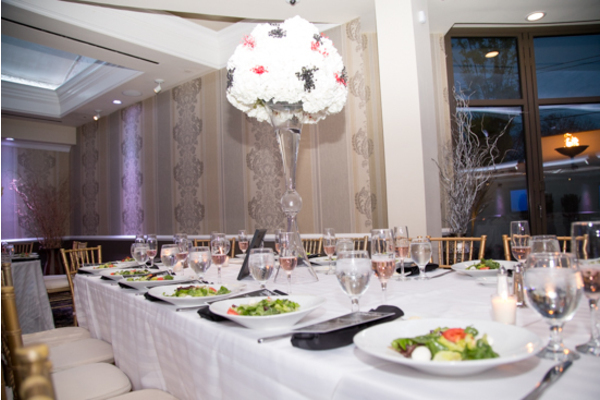 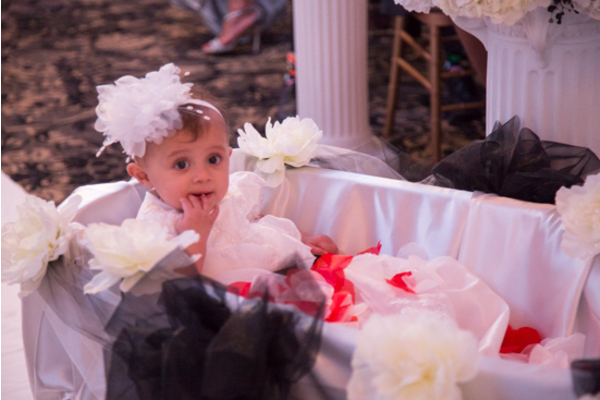 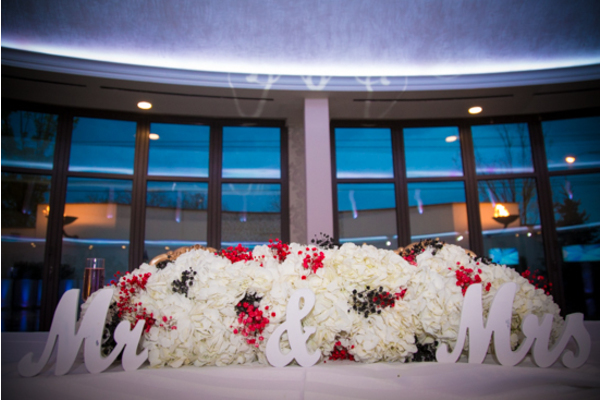 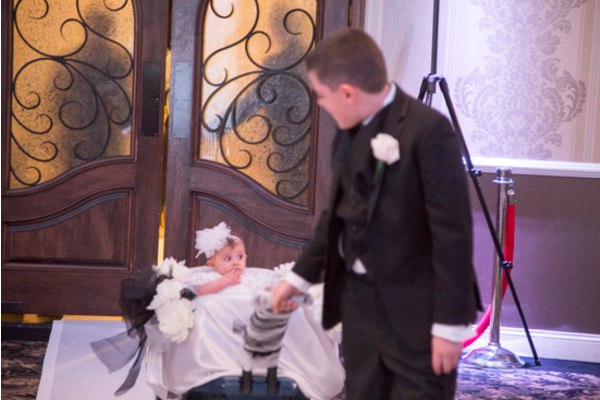 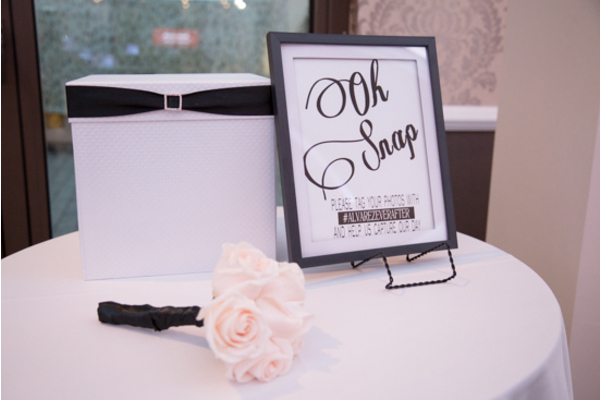 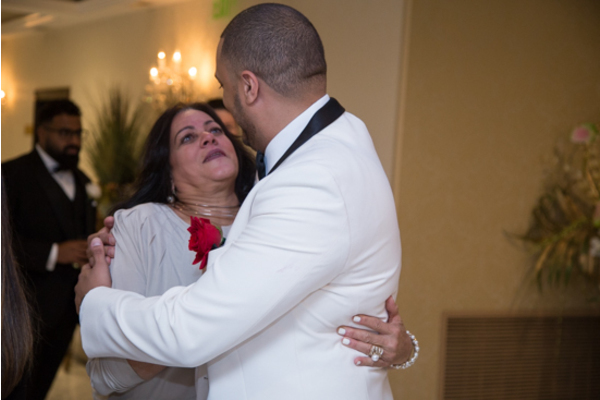 From the decor to the dance moves this wedding was dazzling! 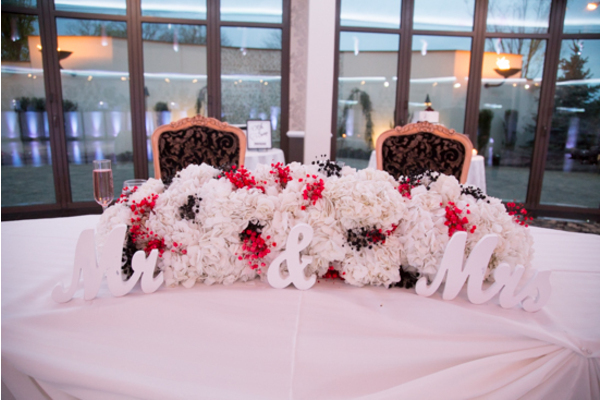 What’s black and white and red all over?! 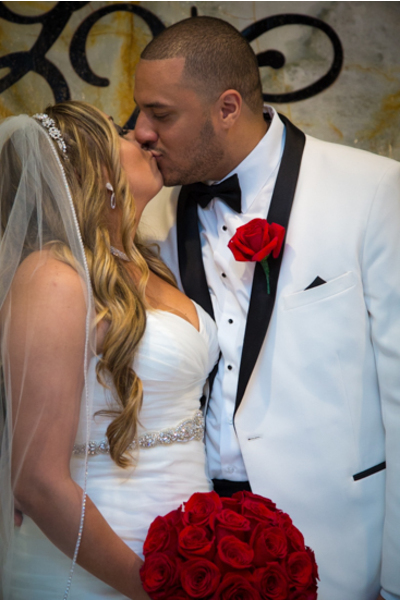 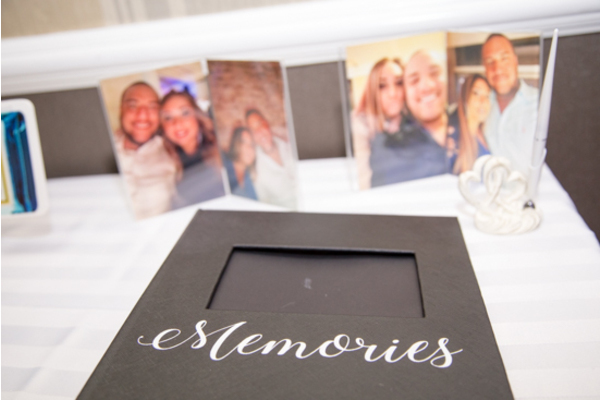 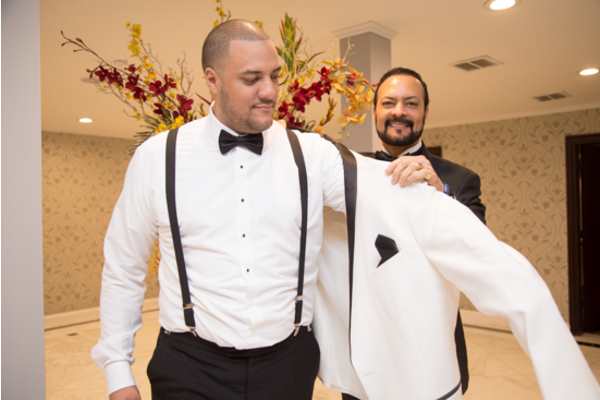 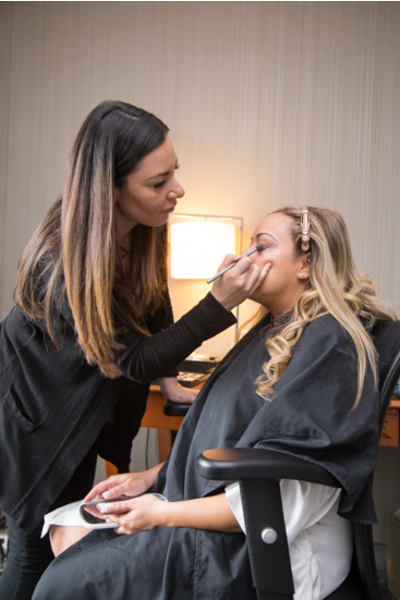 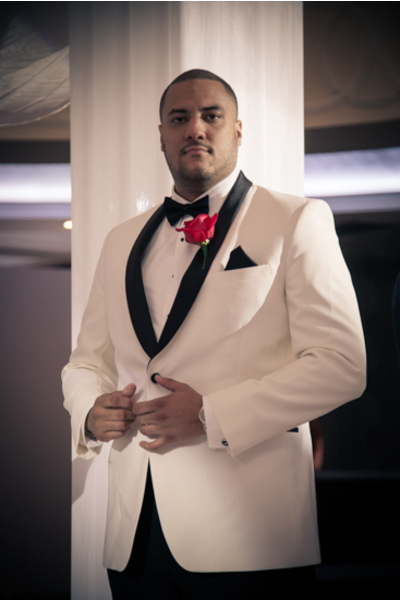 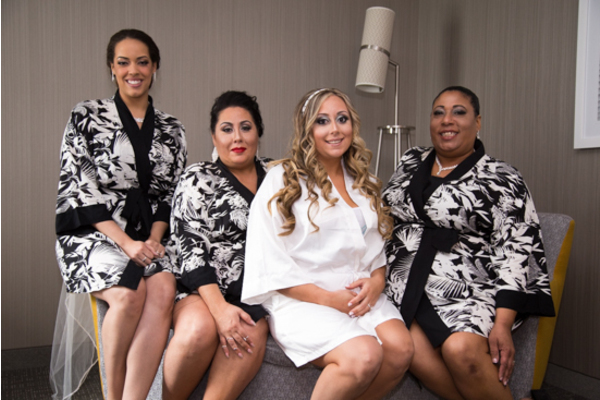 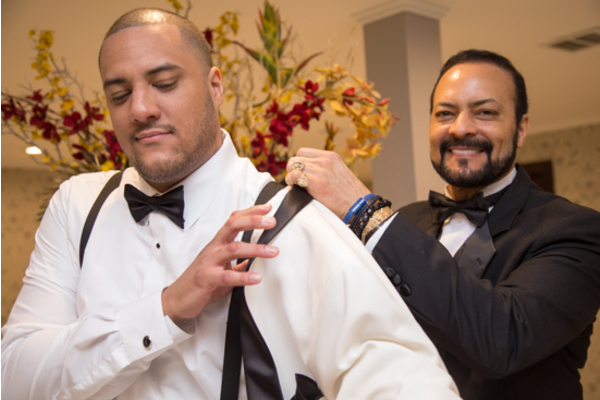 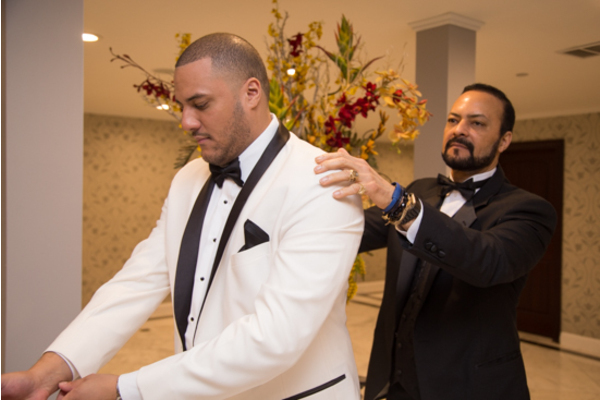 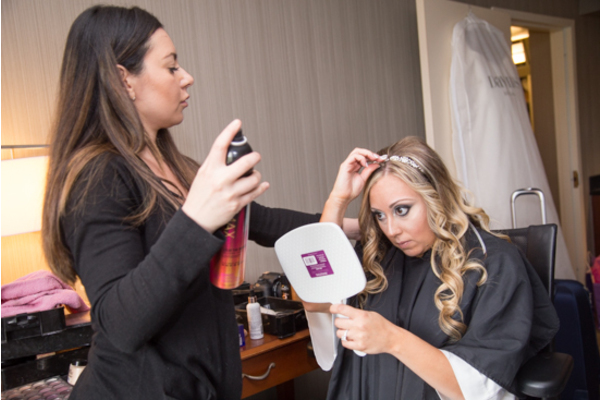 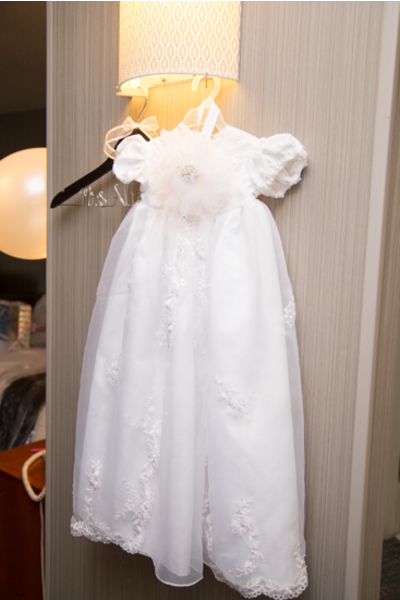 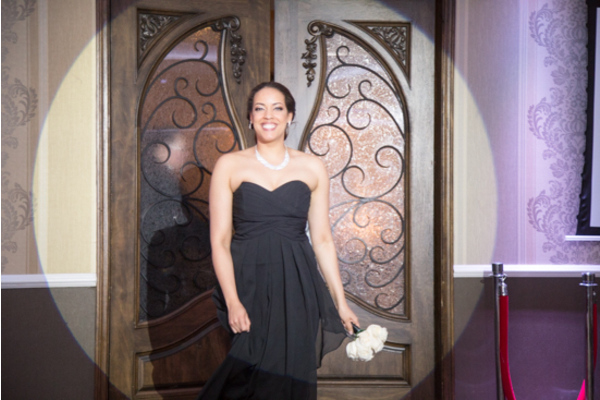 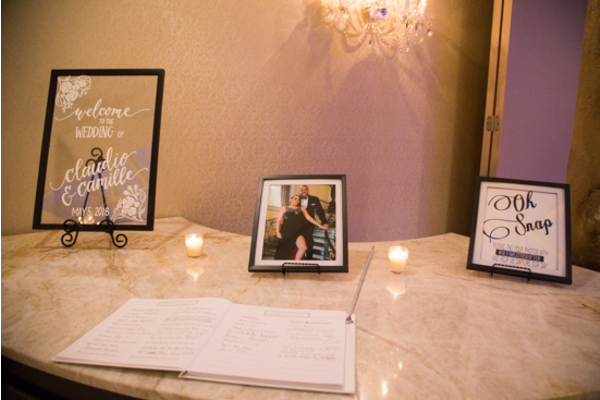 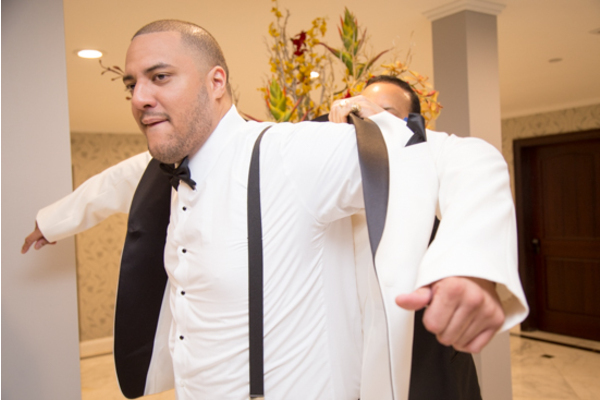 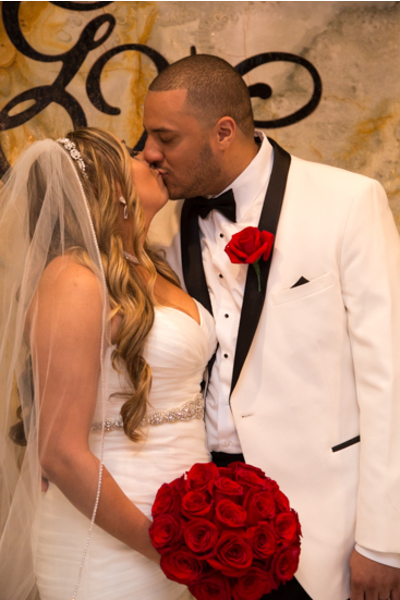 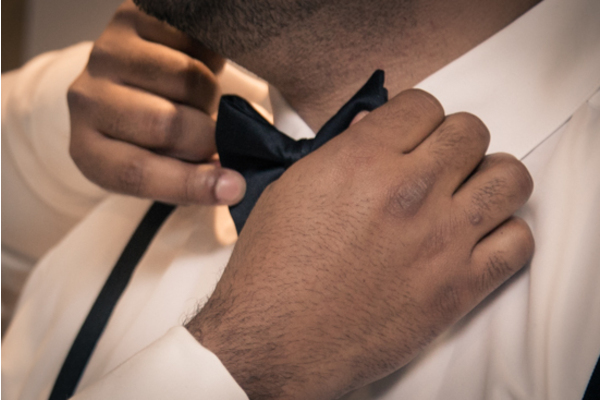 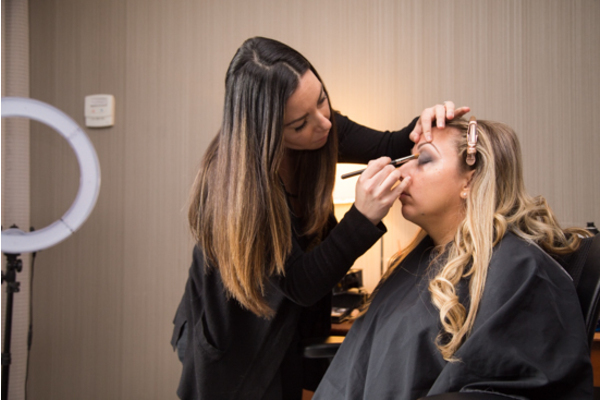 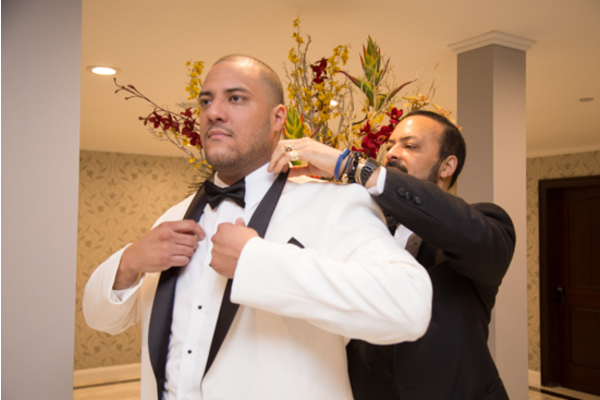 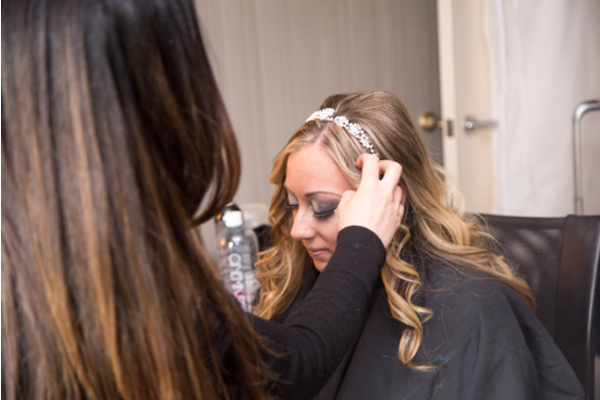 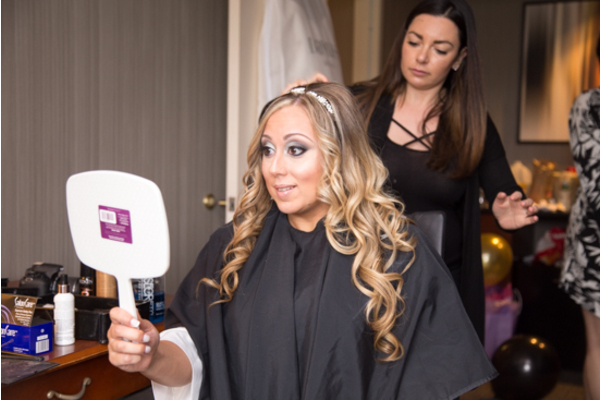 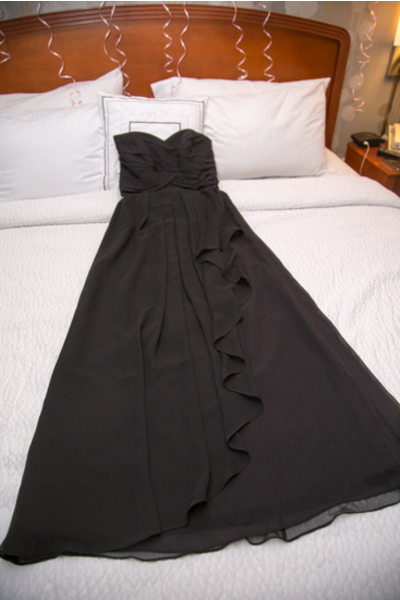 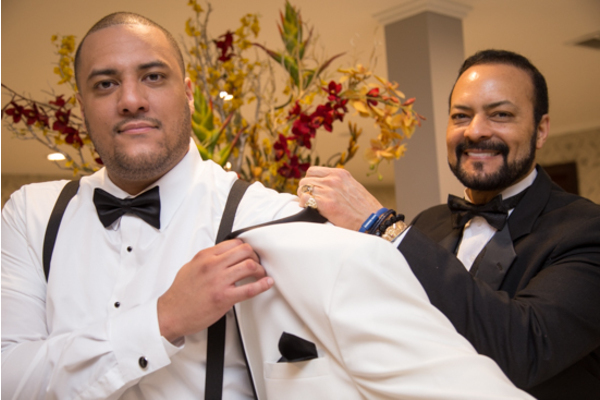 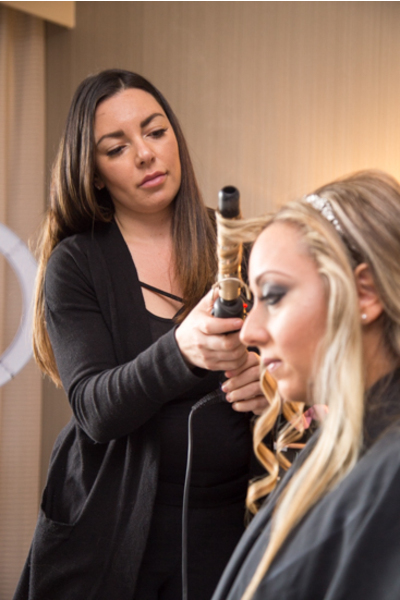 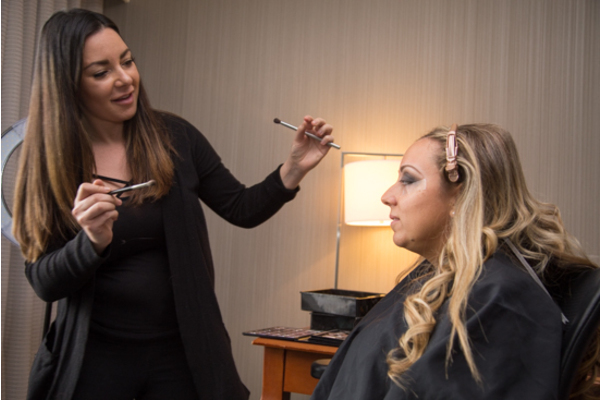 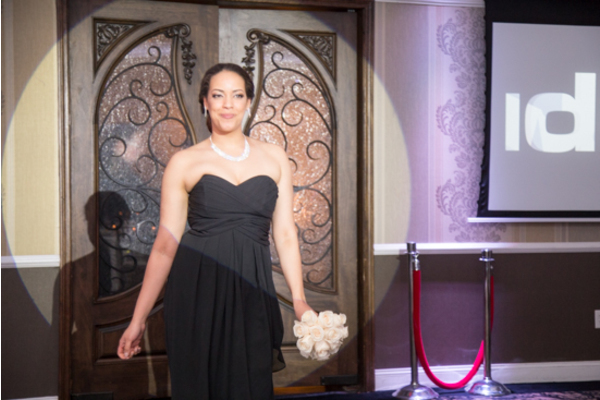 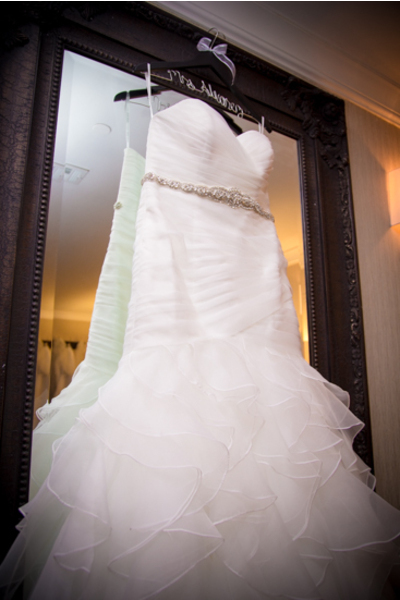 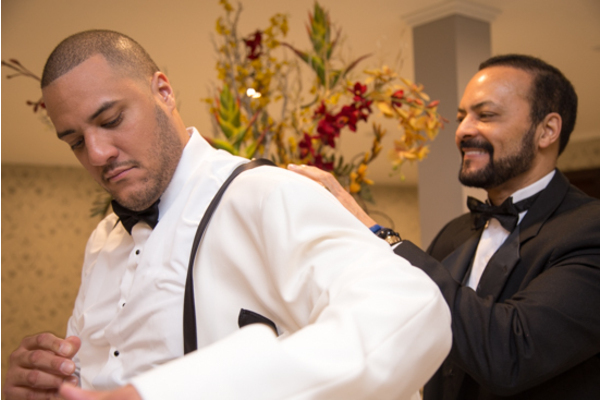 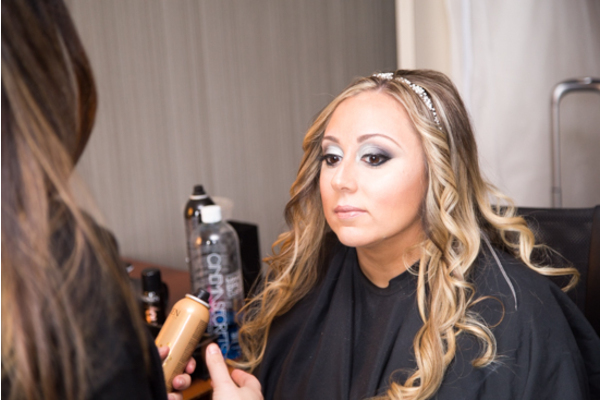 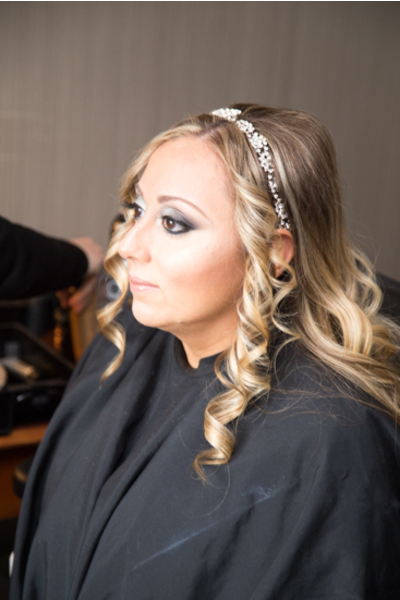 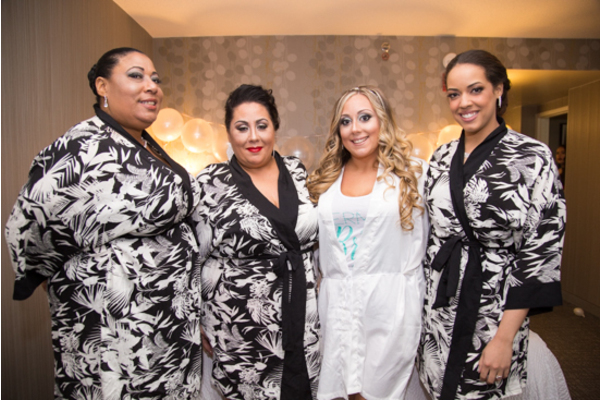 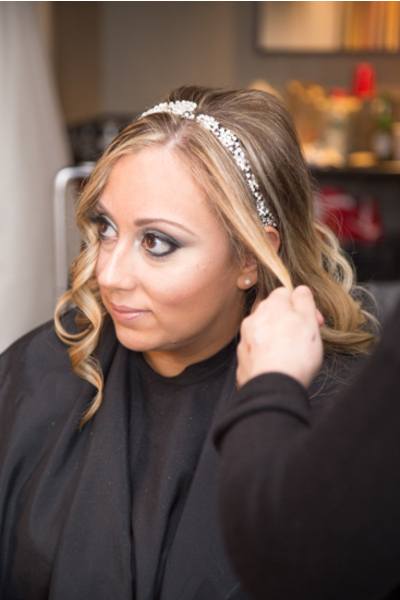 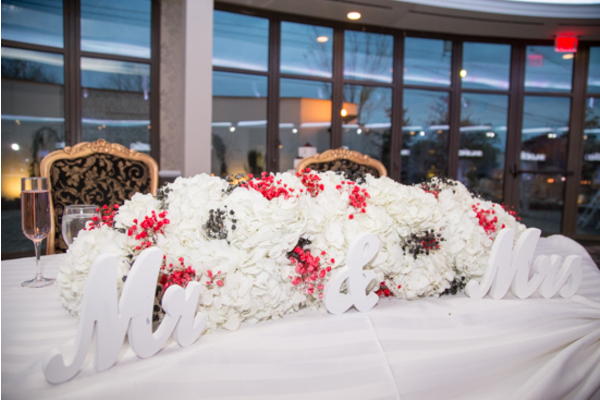 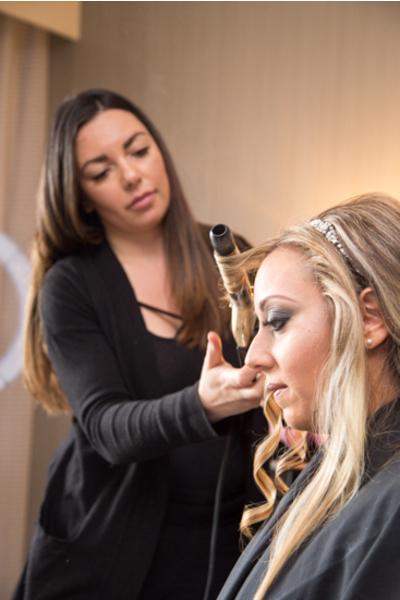 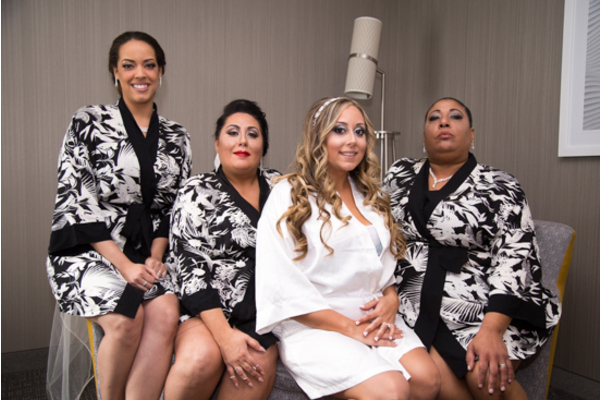 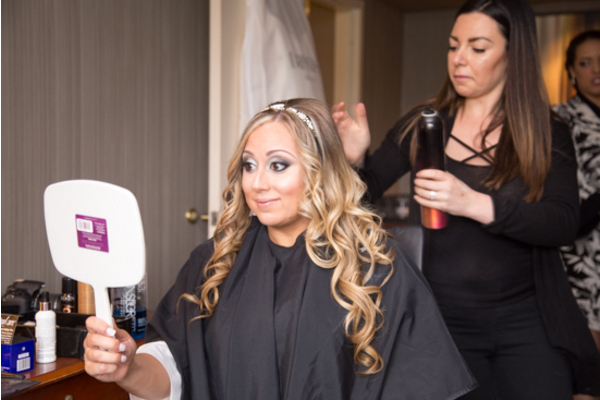 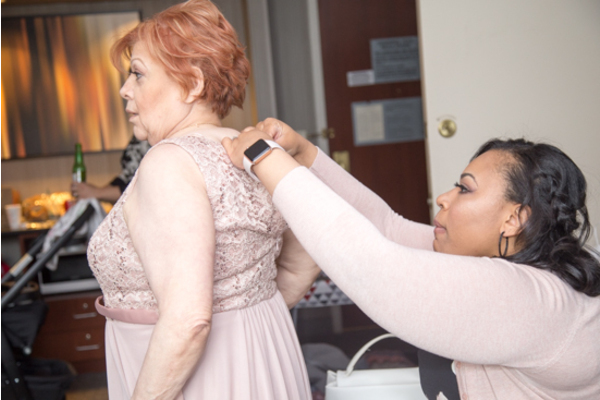 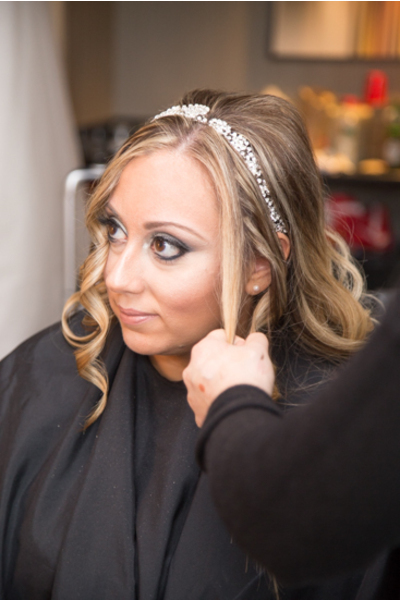 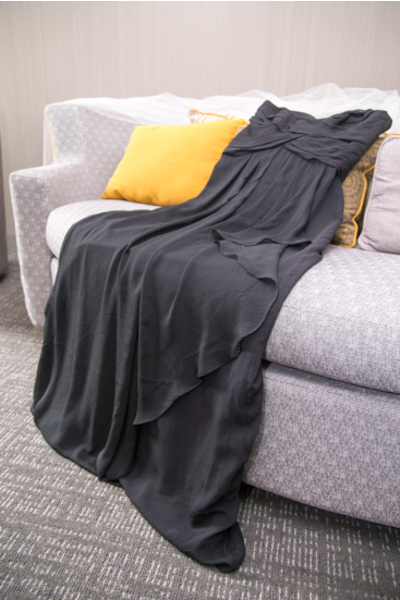 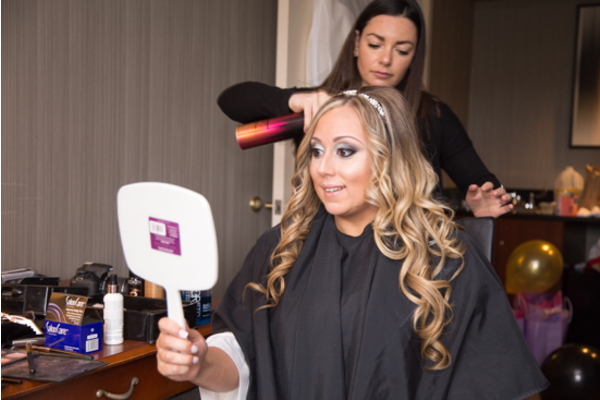 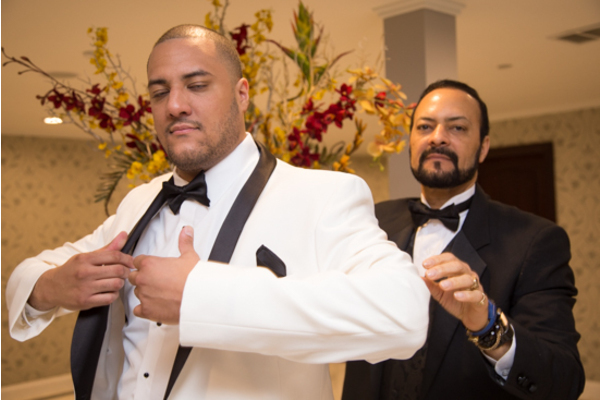 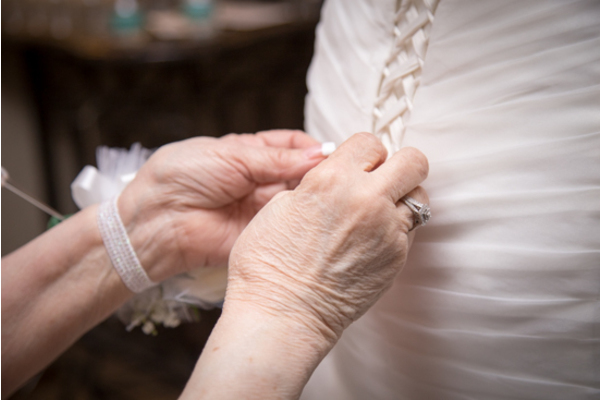 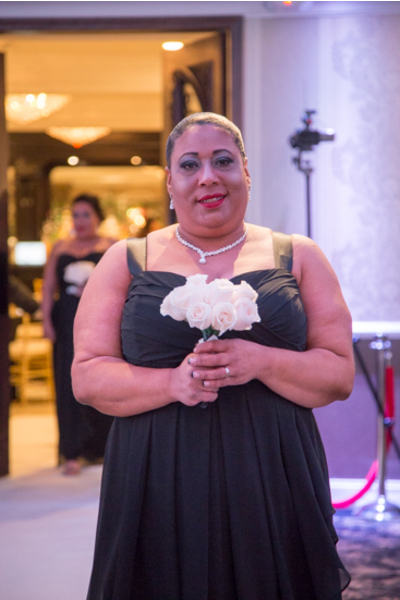 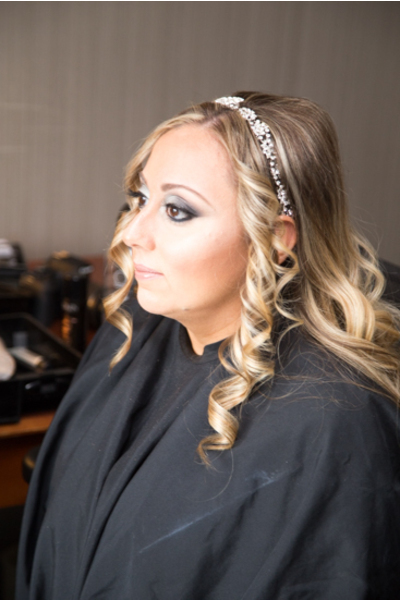 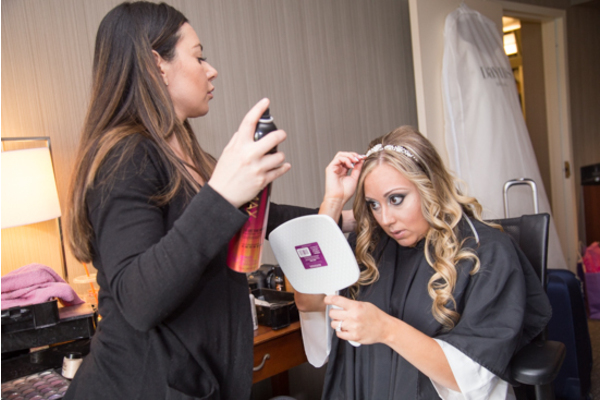 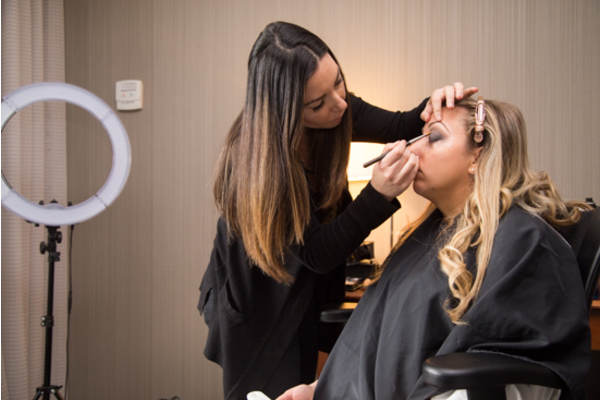 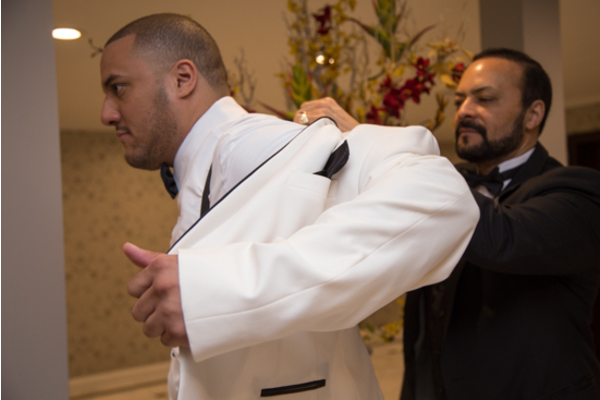 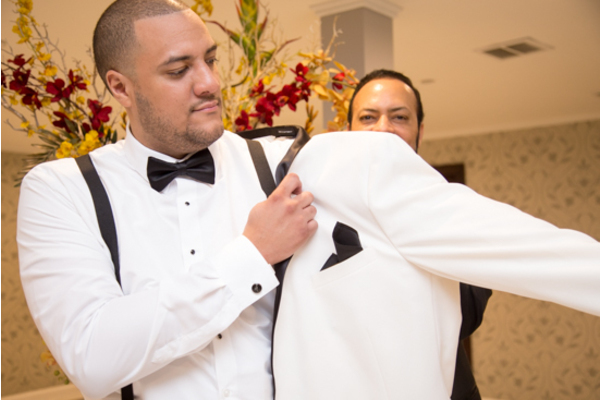 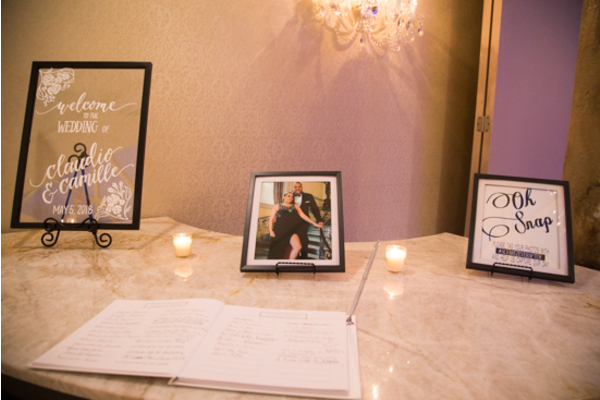 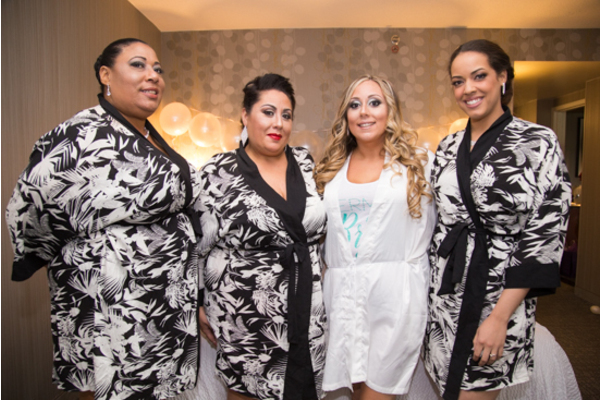 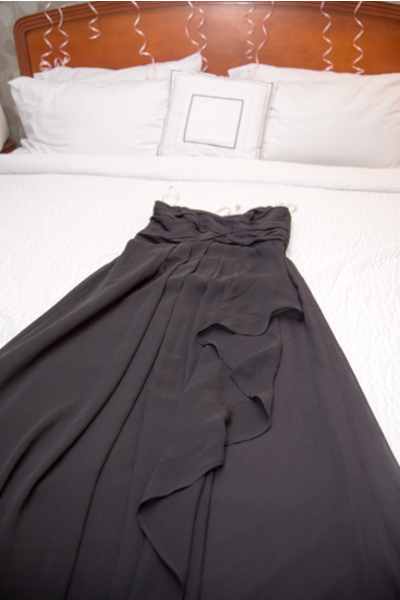 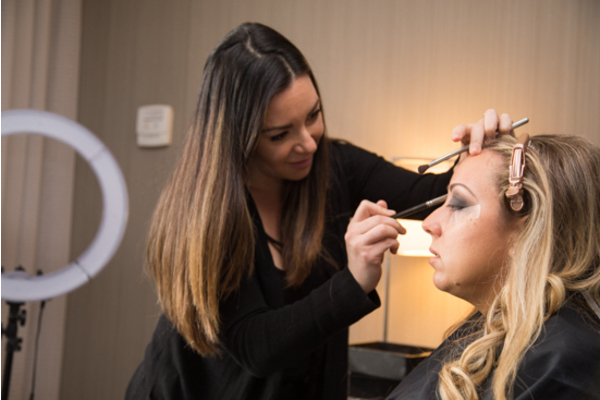 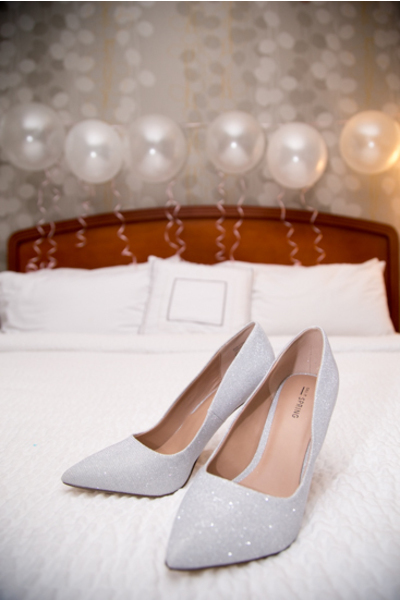 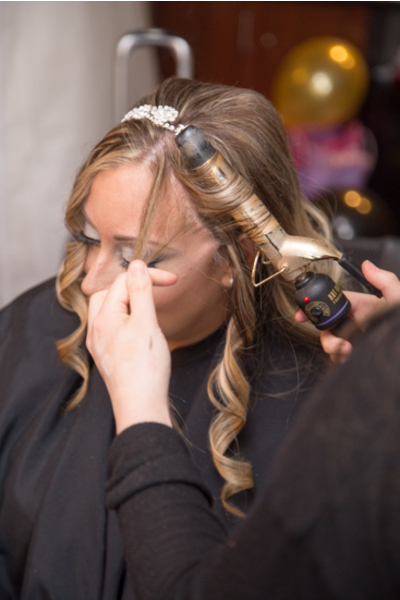 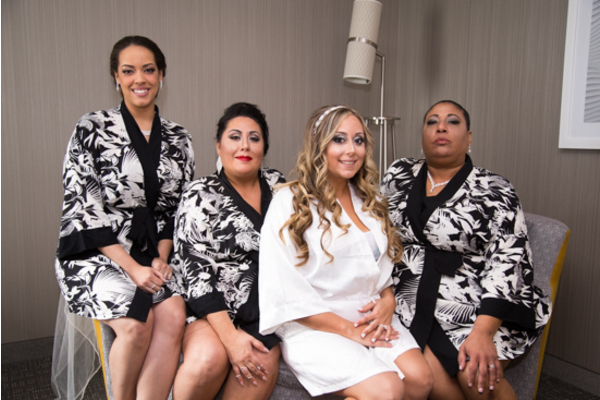 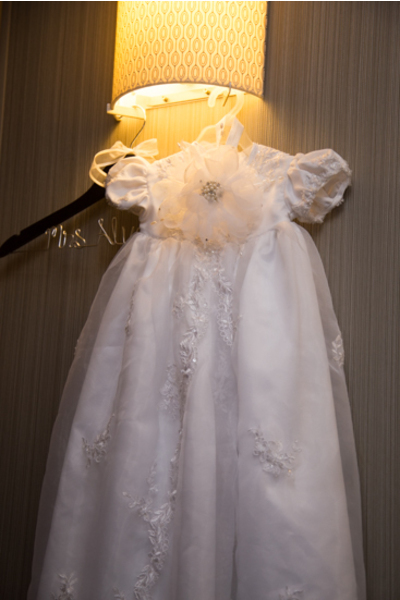 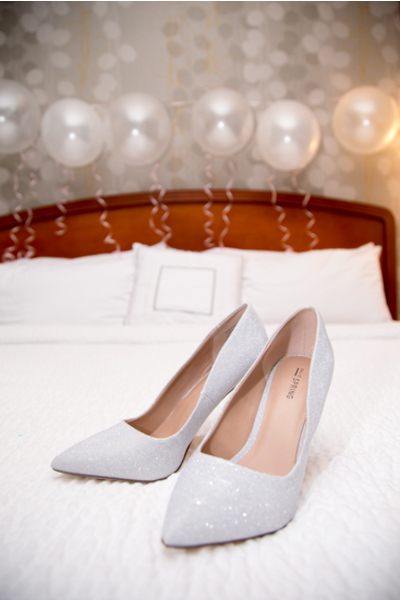 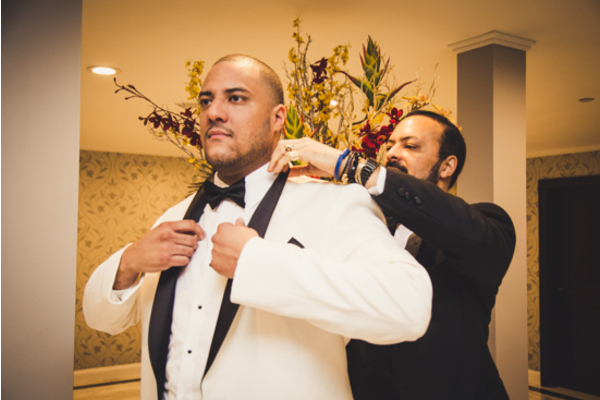 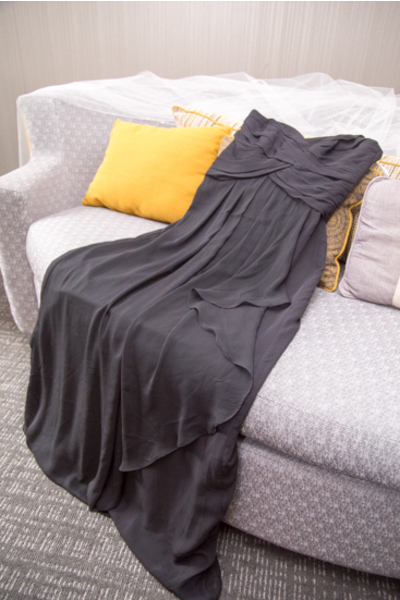 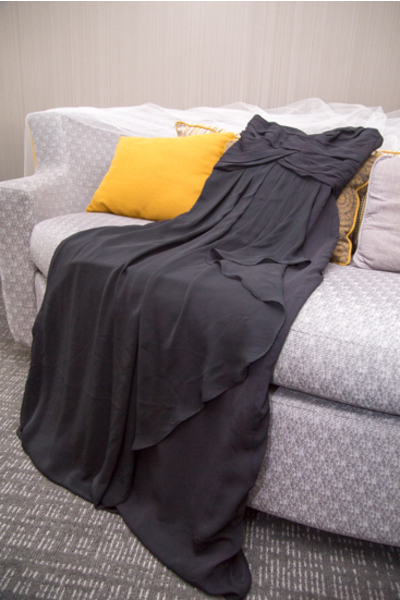 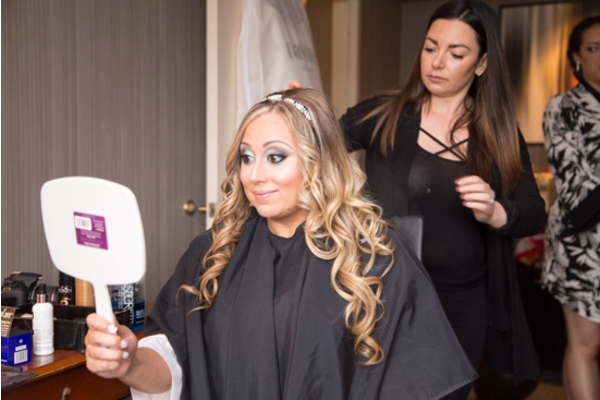 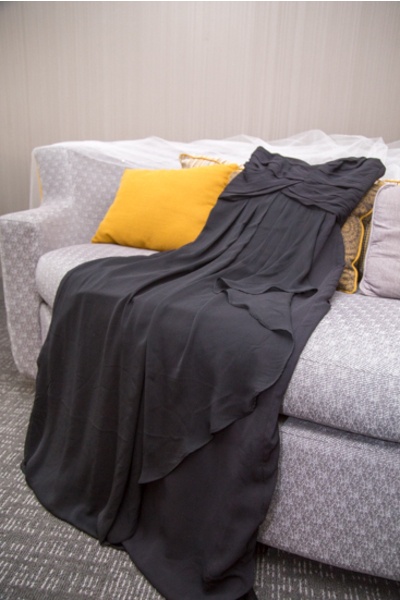 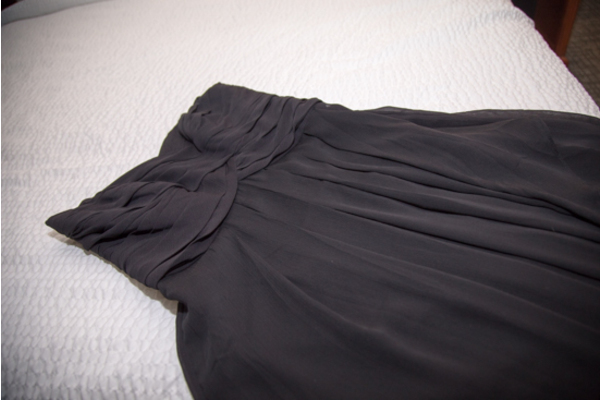 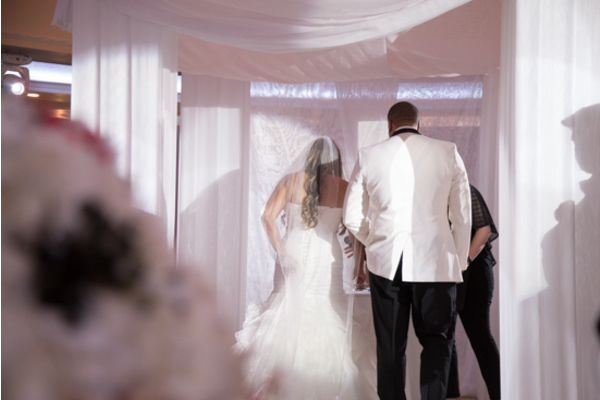 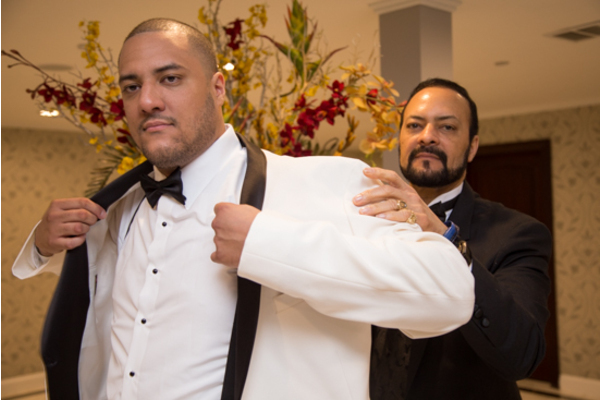 Camille and Claudio’s dressing rooms were full of style as they prepared for their special day! 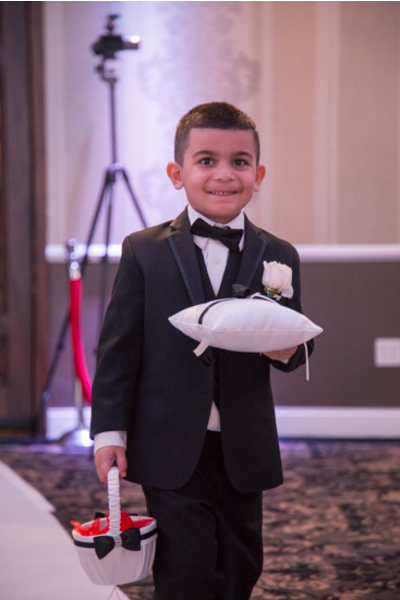 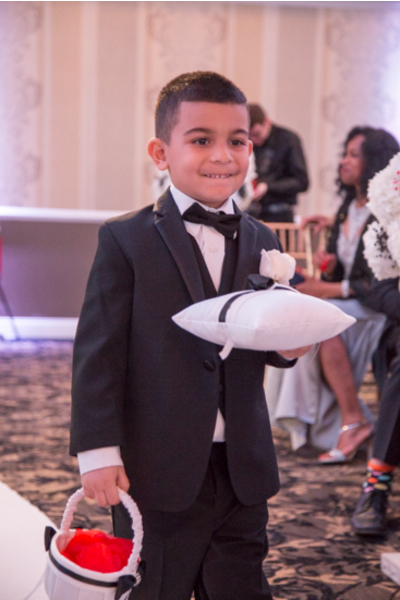 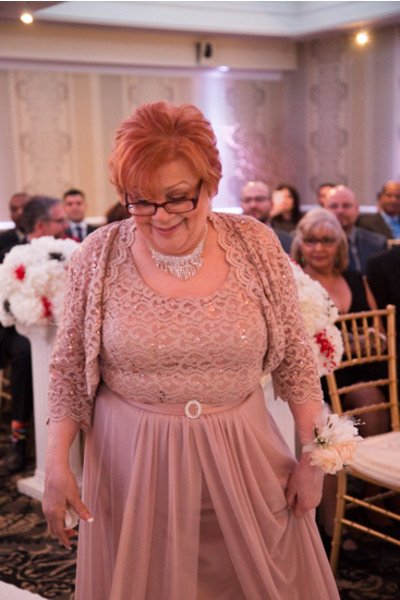 Our NJ Wedding Photographer was there to capture the touching letter to the bride and the custom “so your feet don’t get cold” socks on the groom. 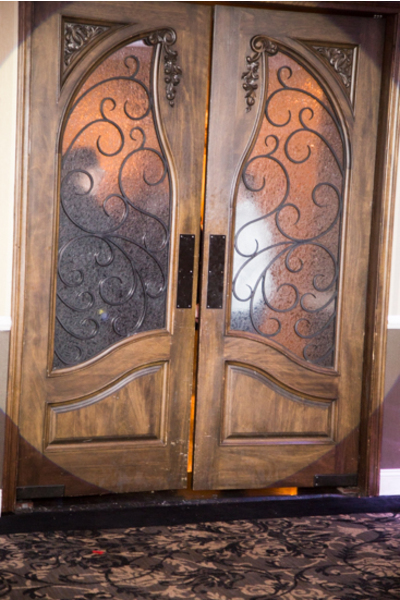 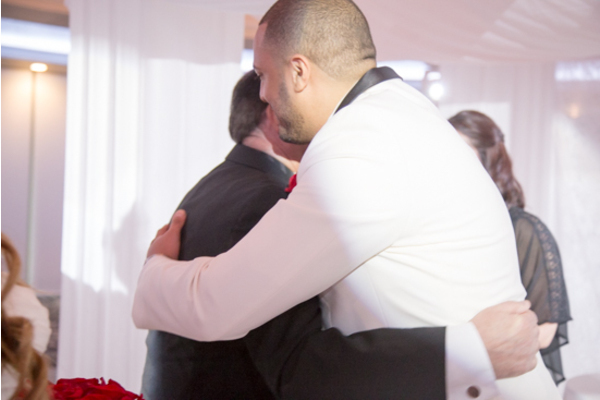 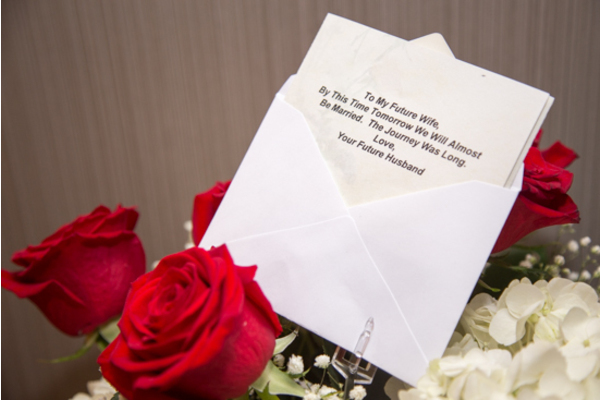 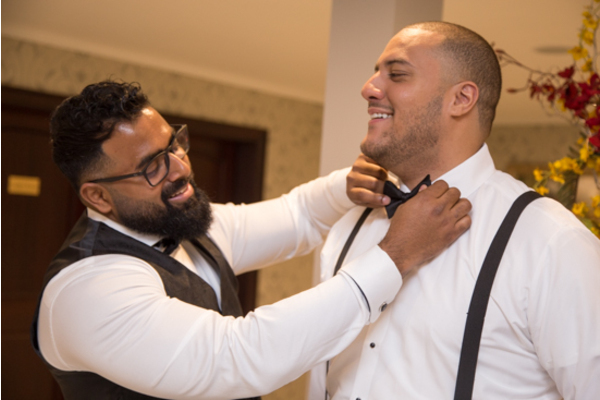 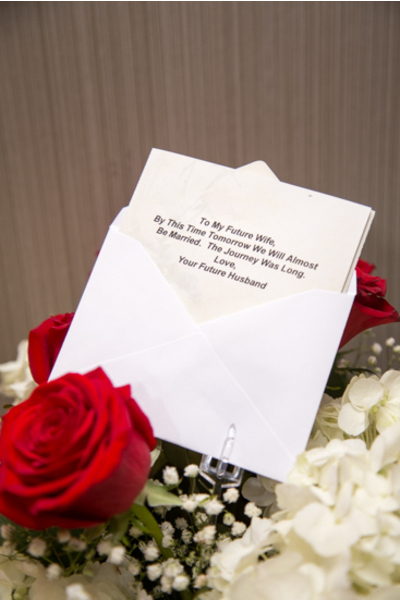 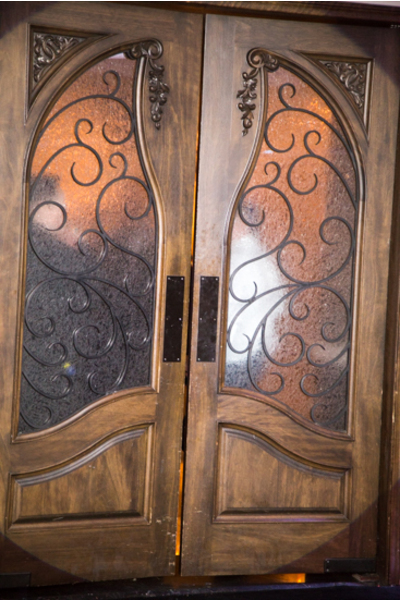 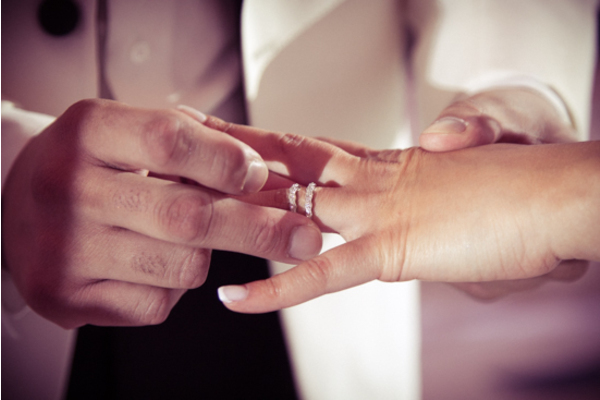 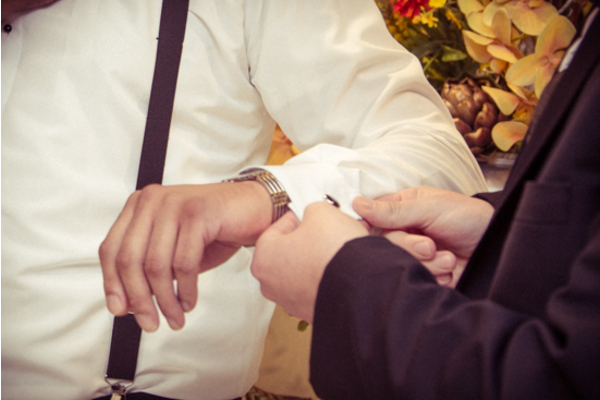 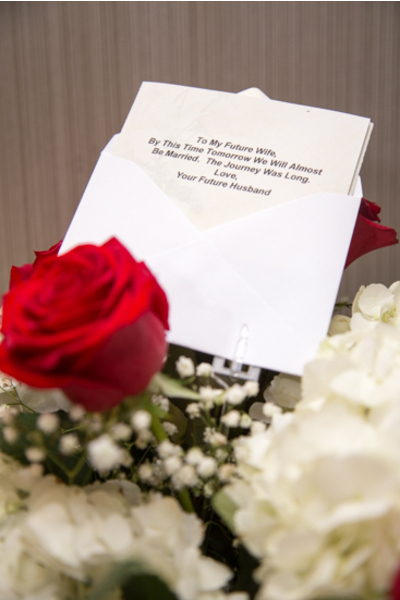 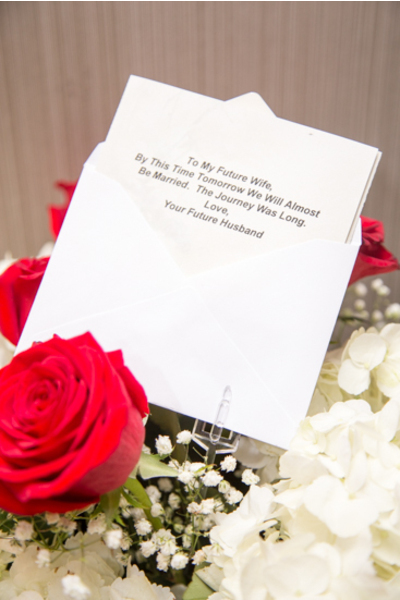 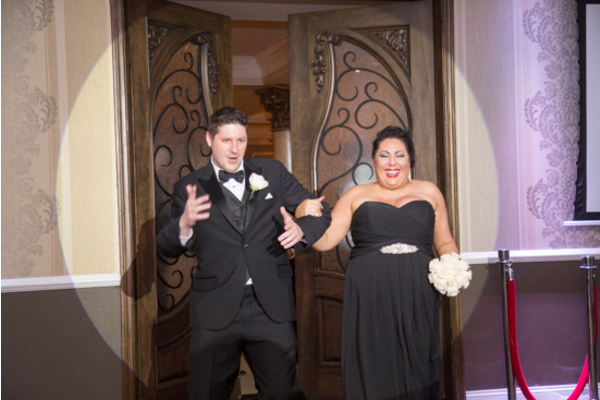 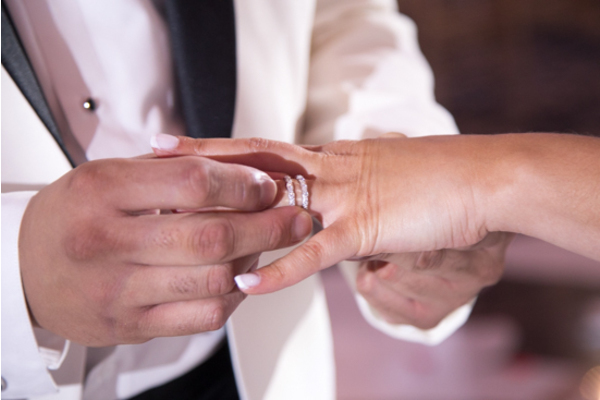 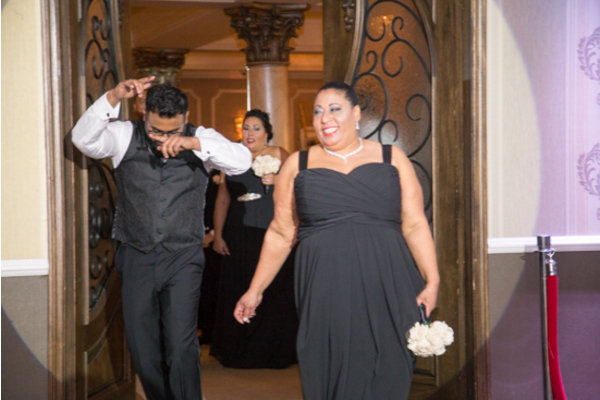 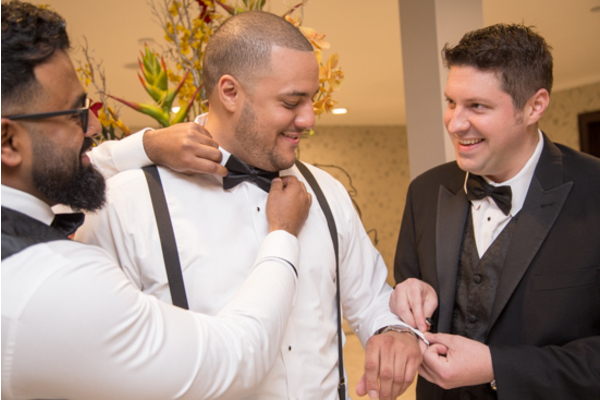 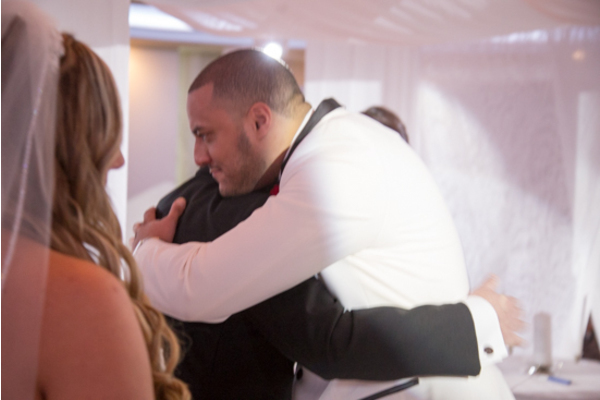 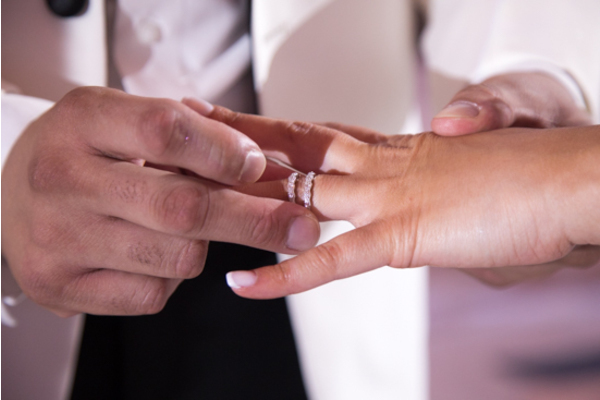 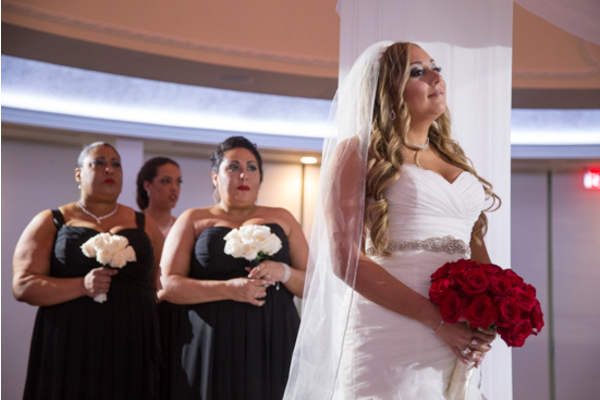 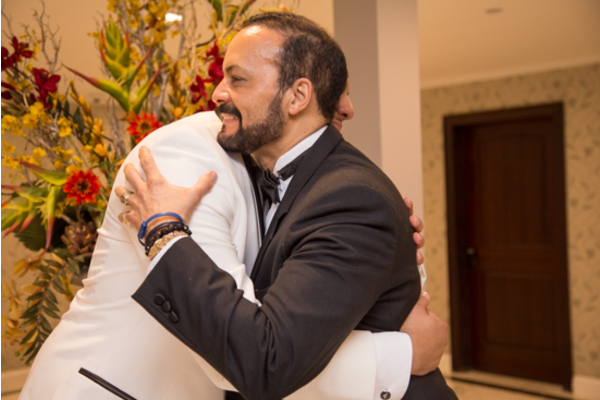 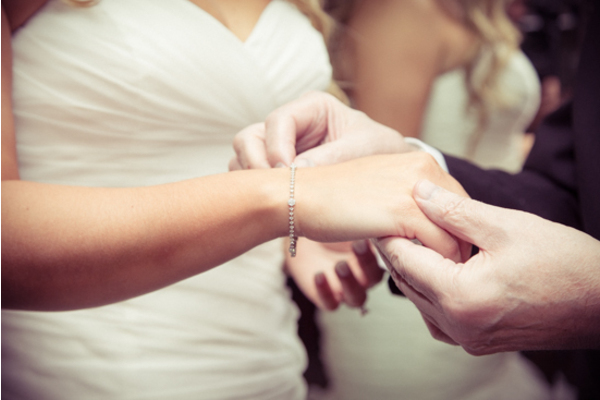 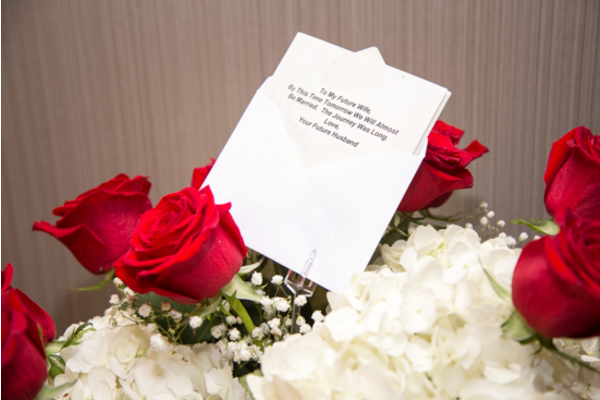 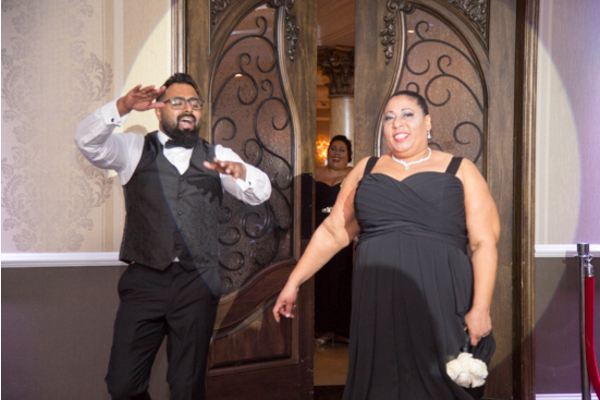 These soulmates, just rooms apart, were more than ready to finally make their way to the alter! 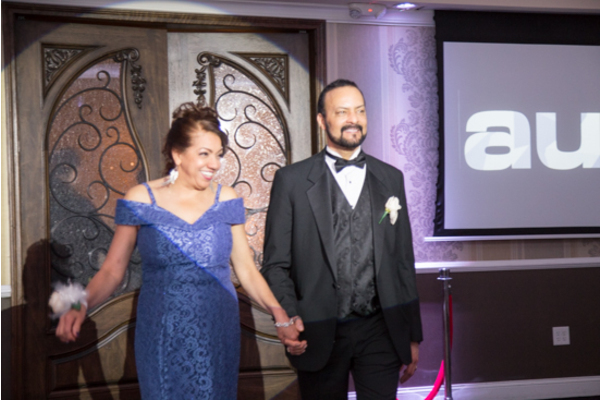 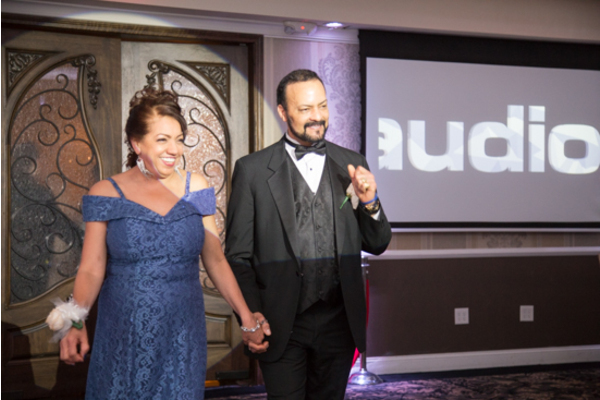 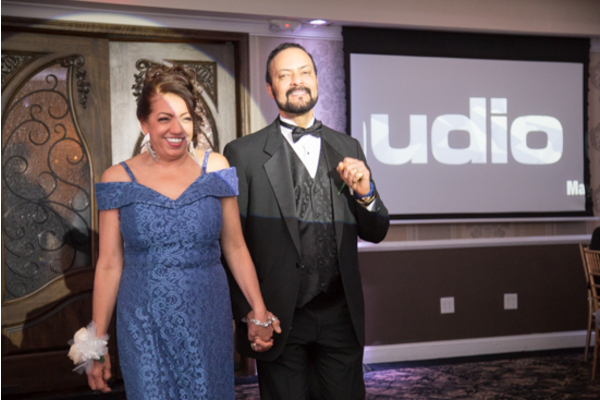 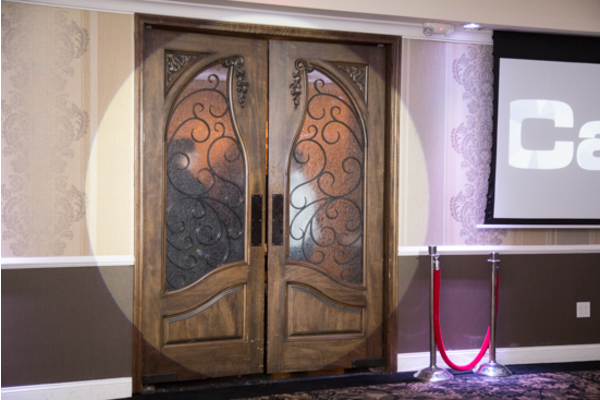 As this lovely couple stood before a room of adoring family and friends, you could feel the excitement in the air. 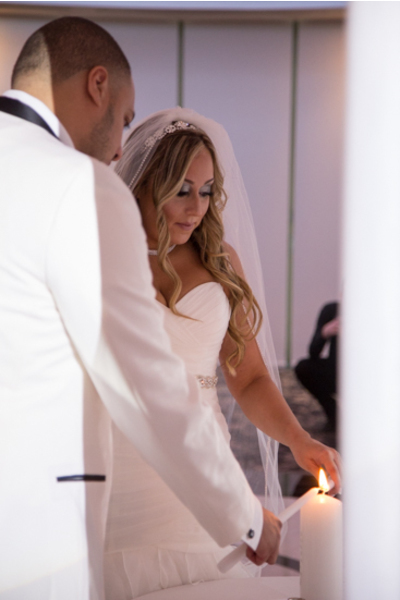 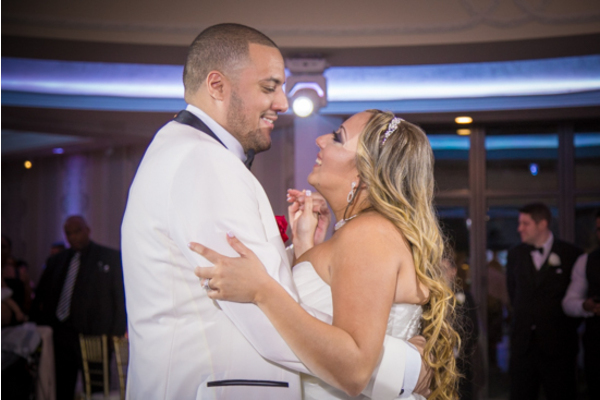 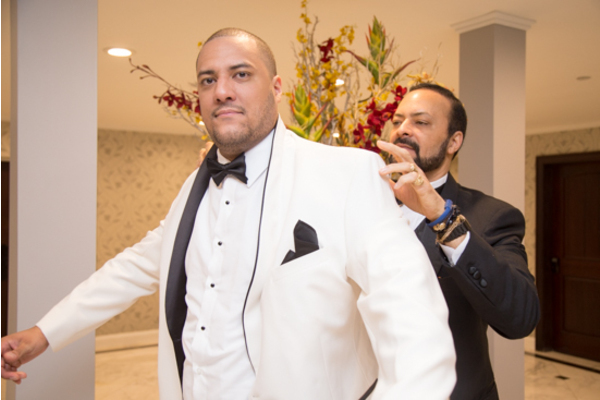 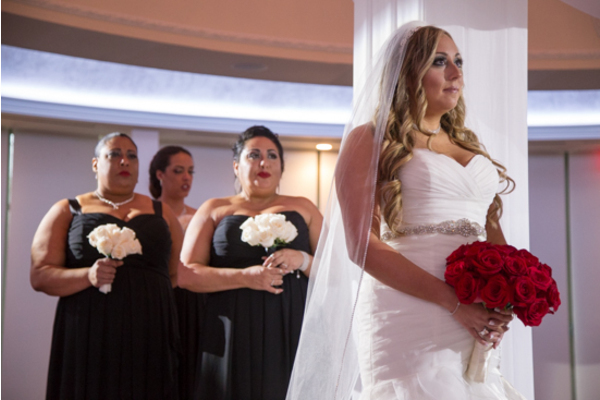 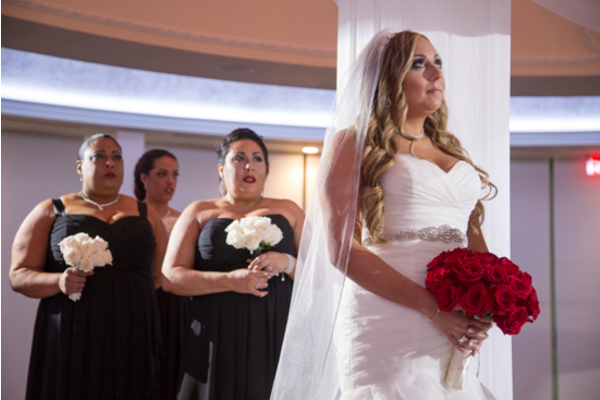 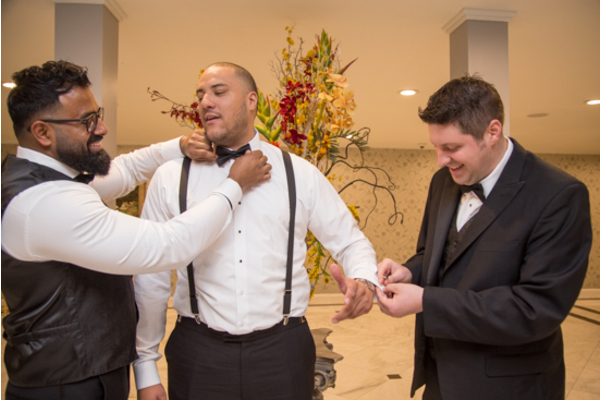 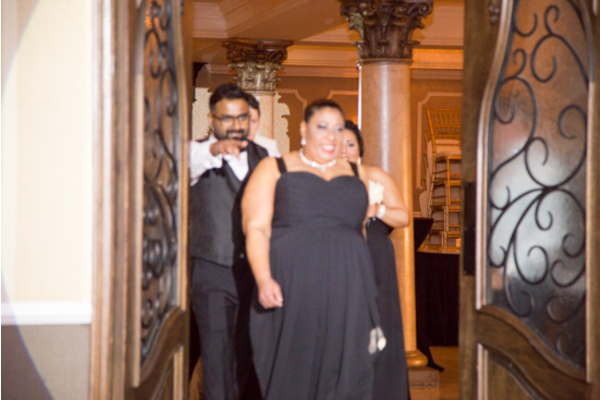 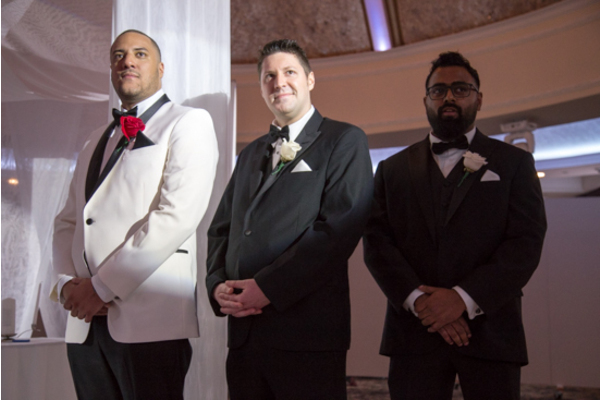 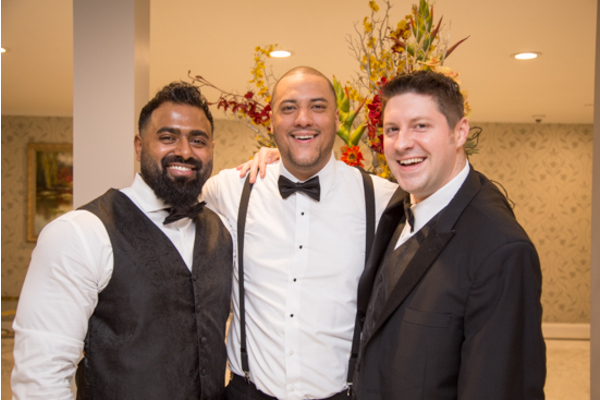 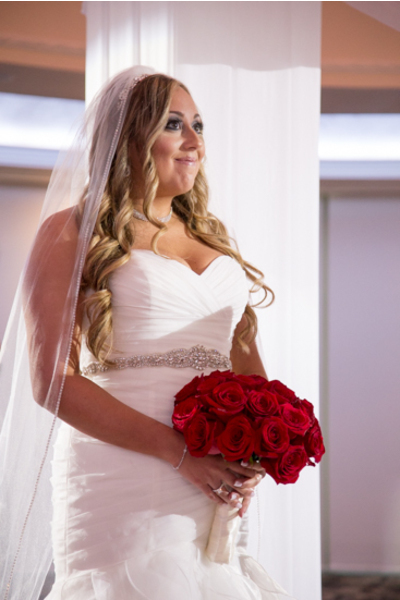 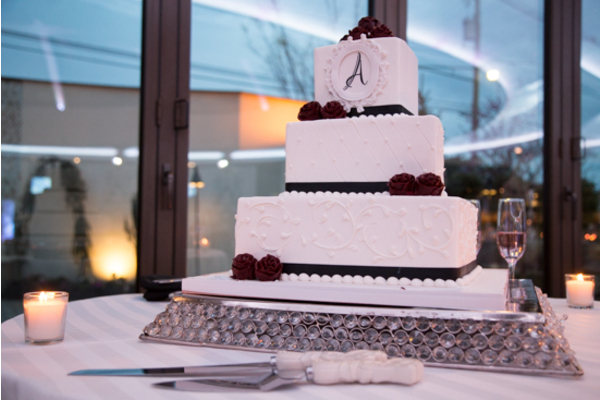 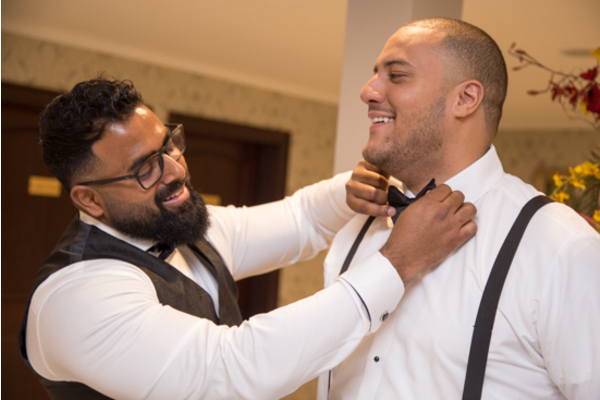 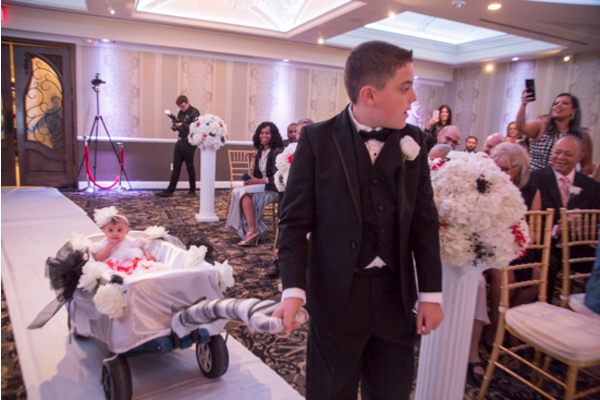 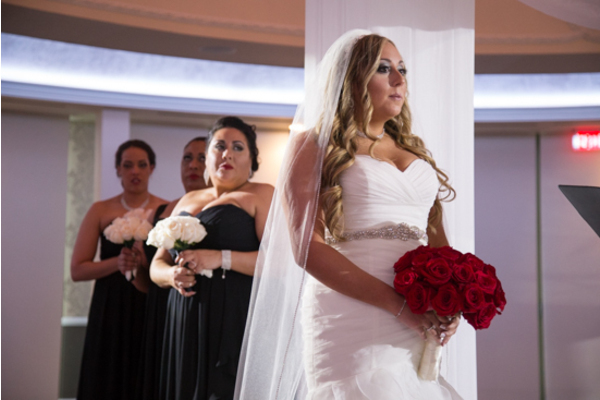 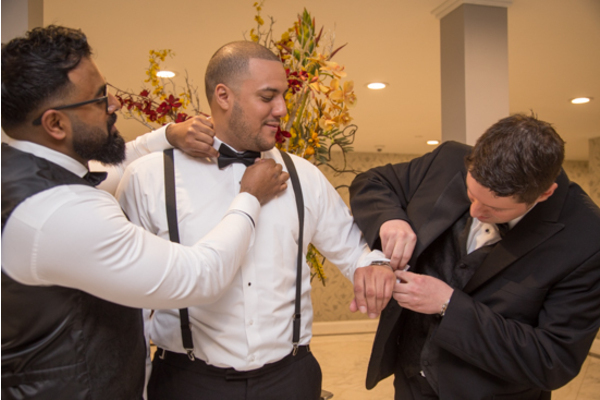 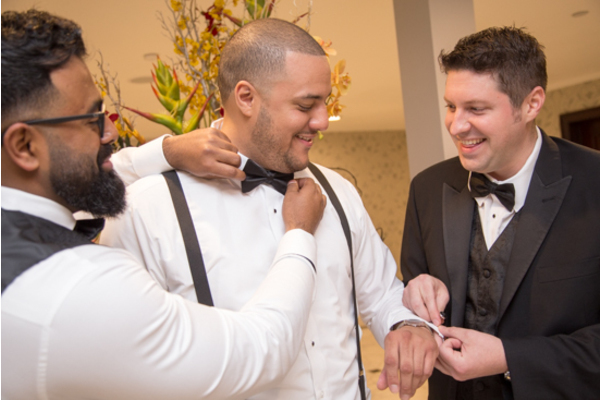 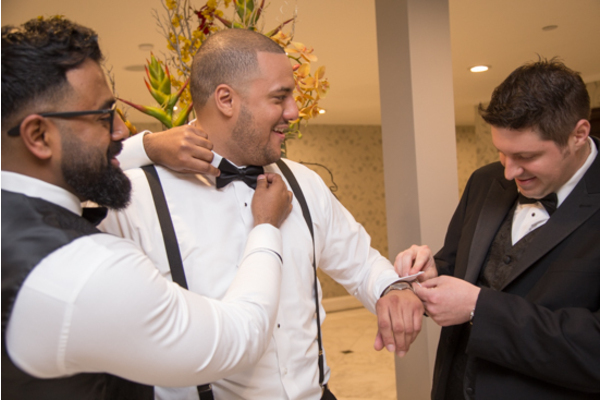 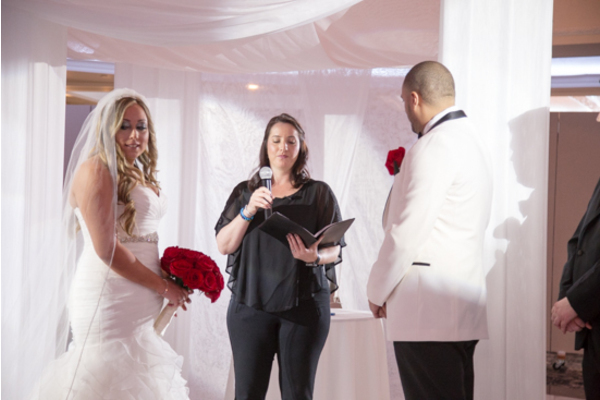 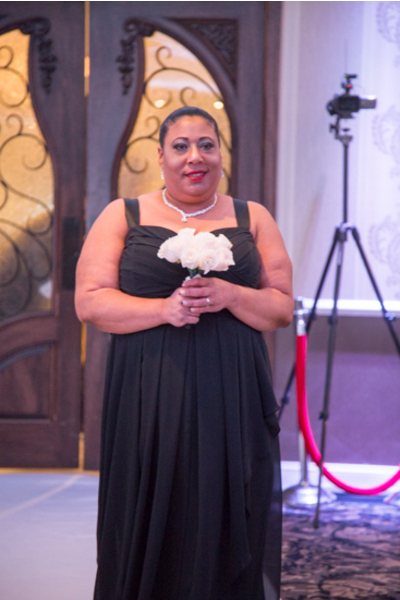 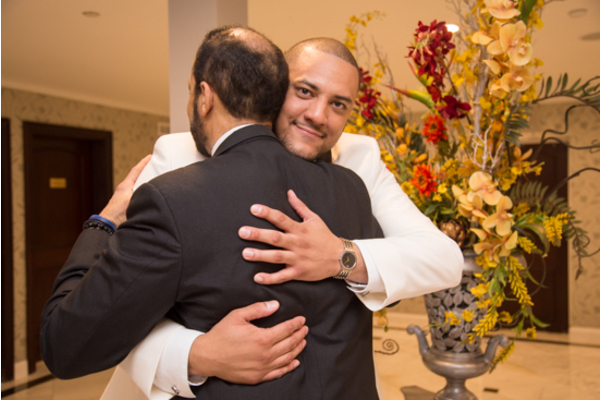 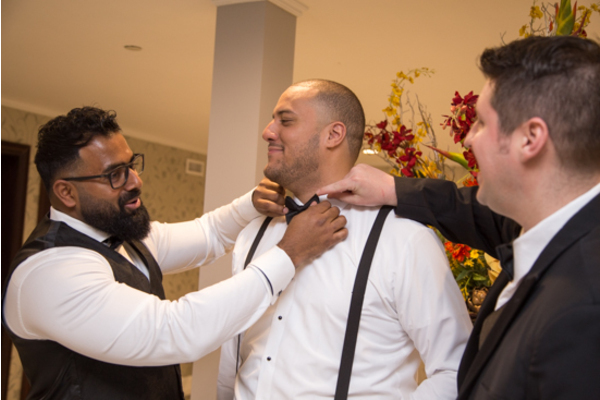 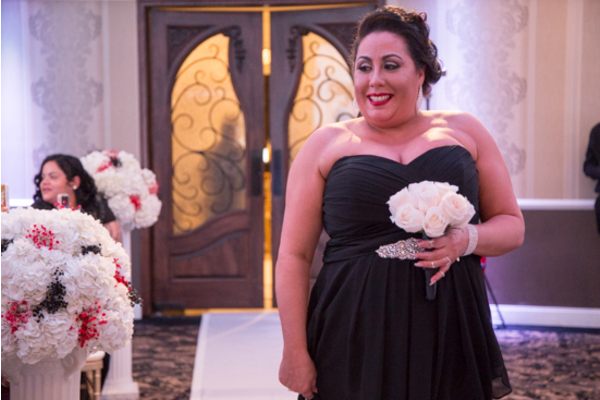 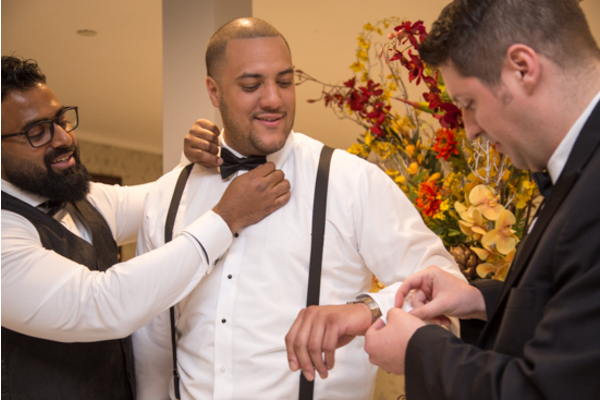 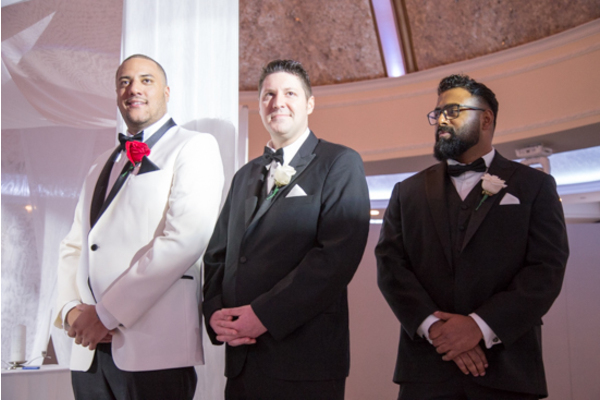 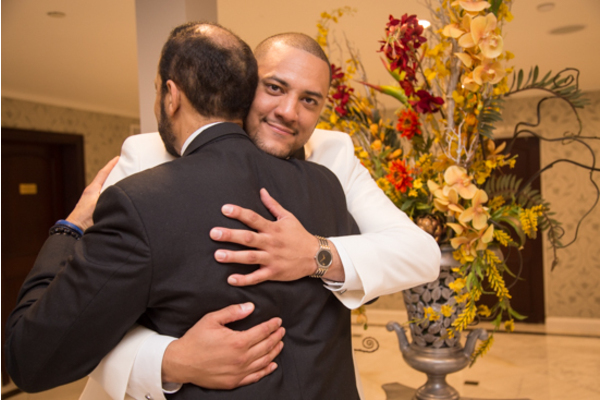 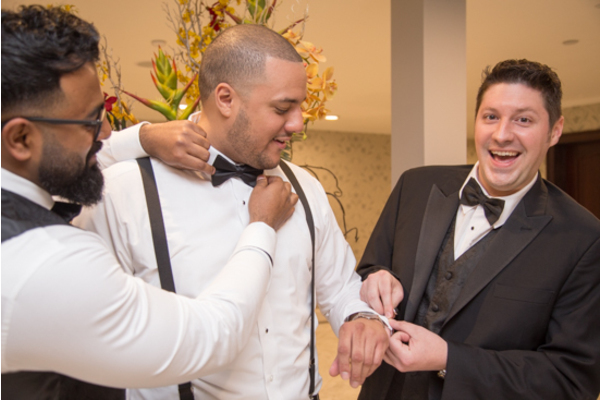 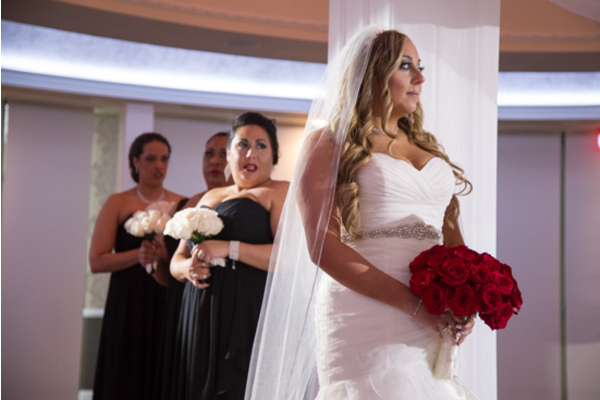 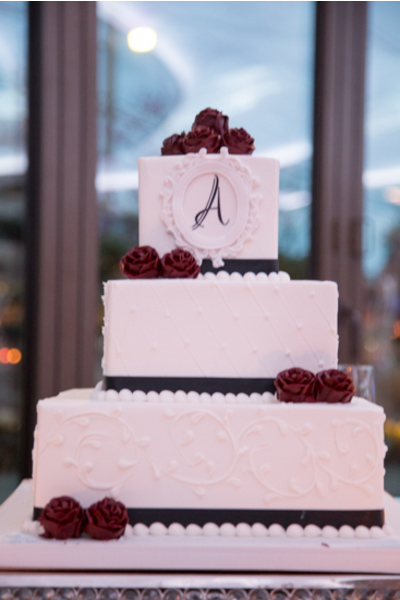 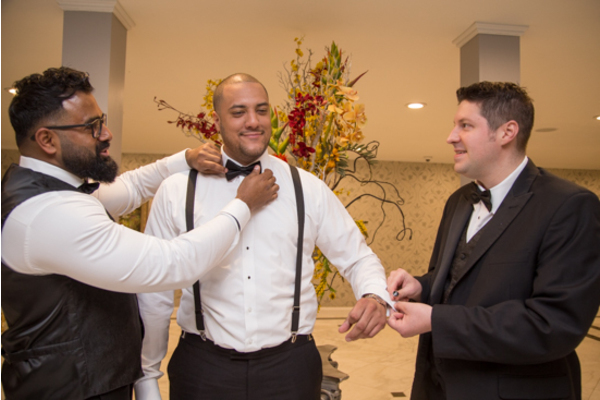 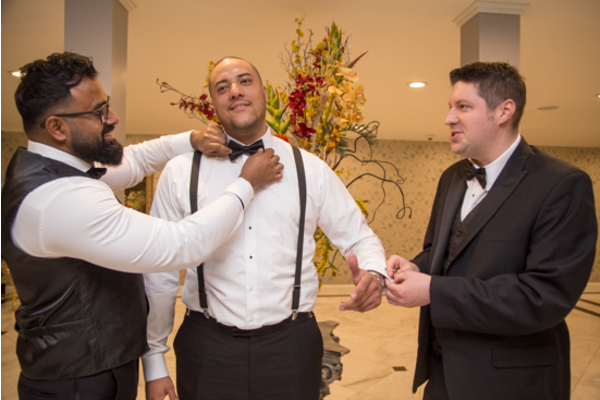 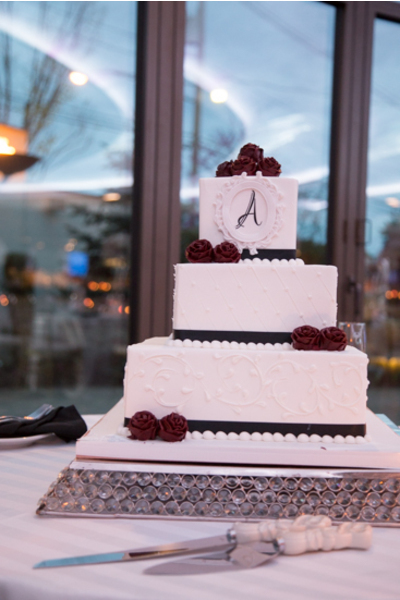 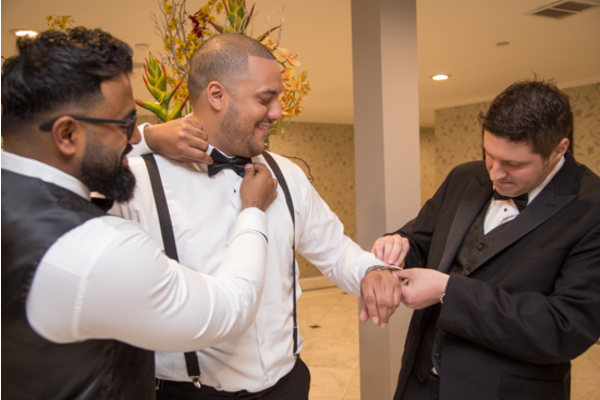 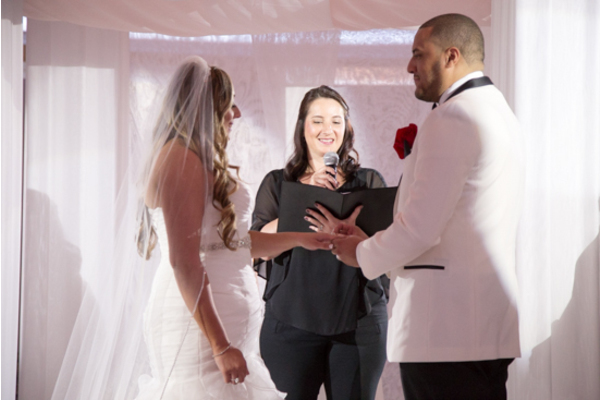 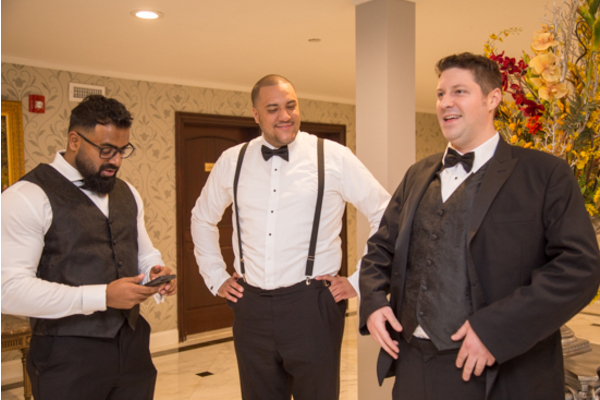 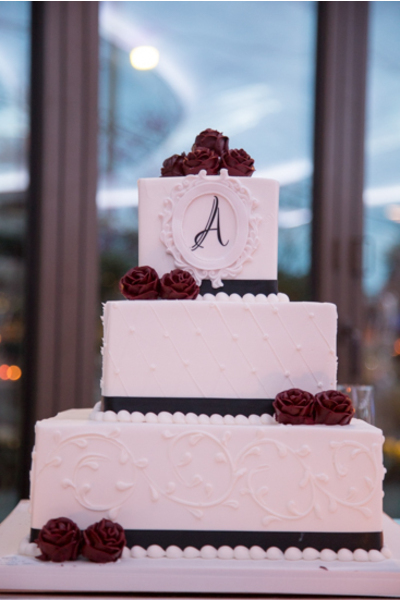 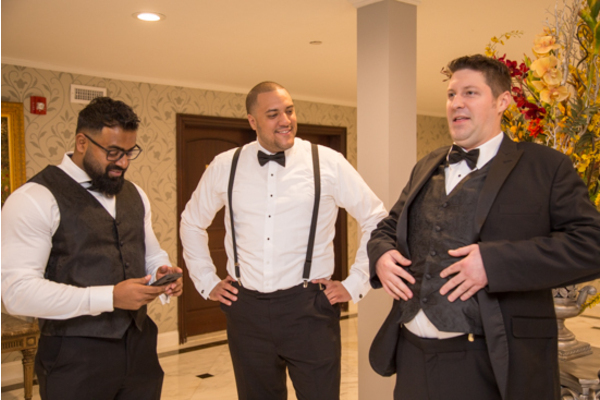 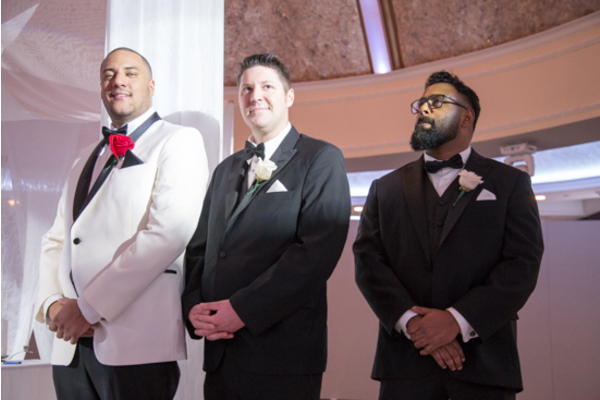 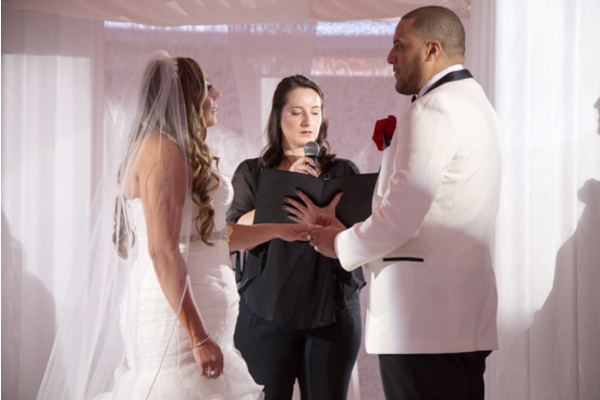 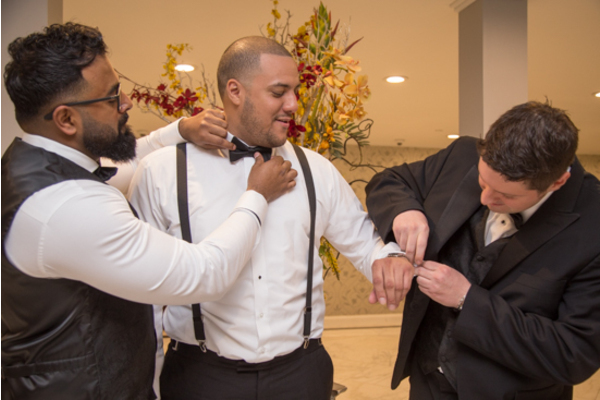 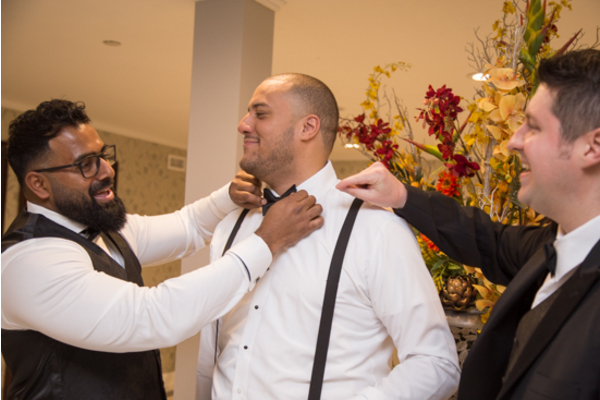 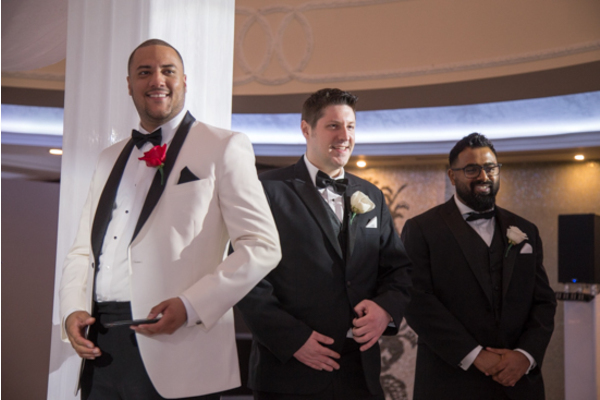 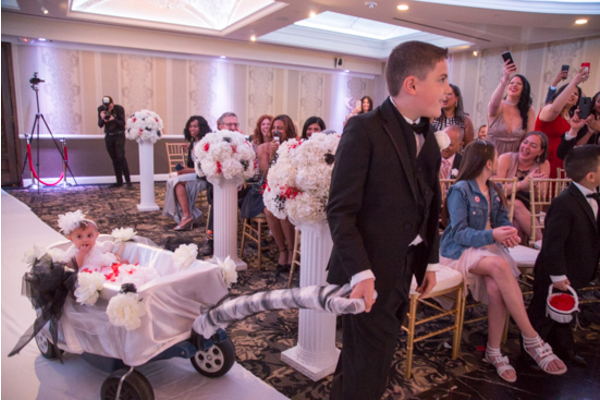 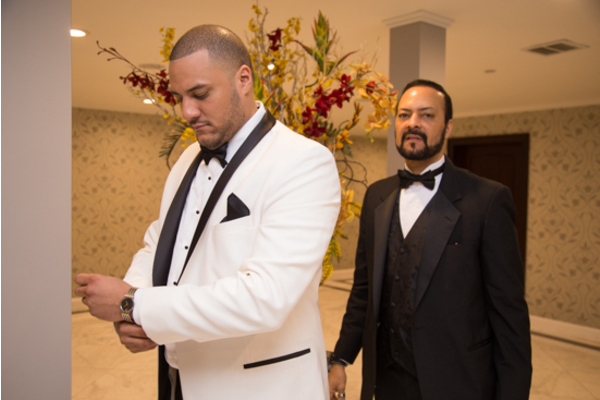 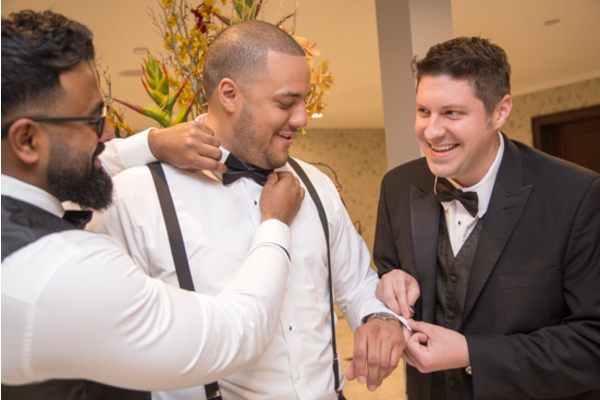 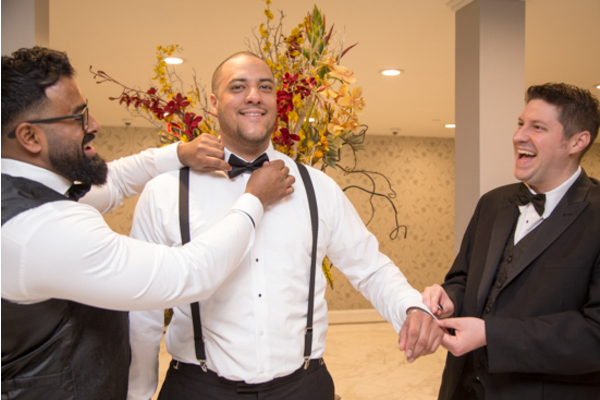 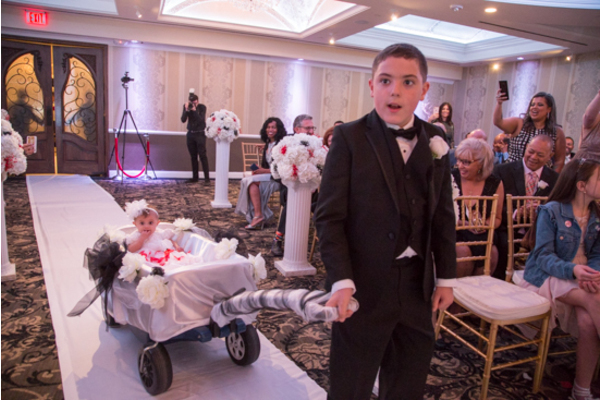 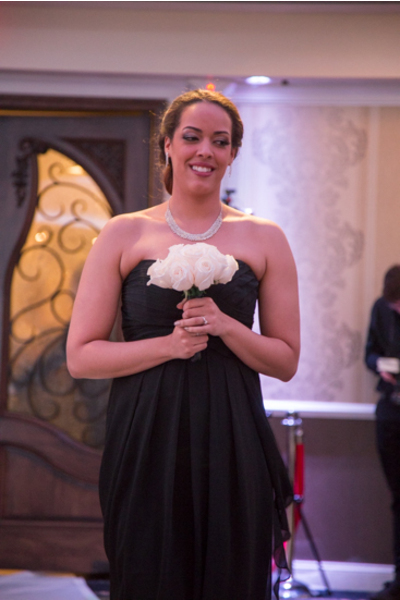 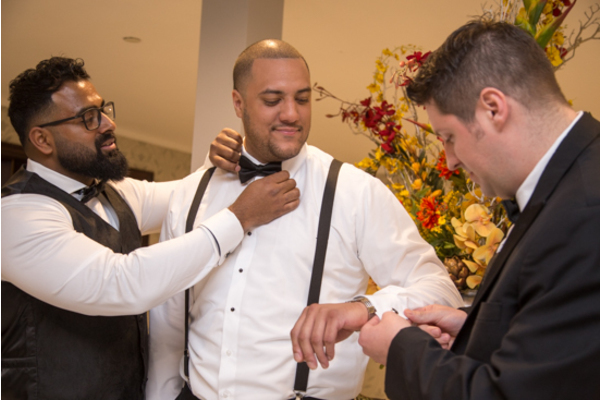 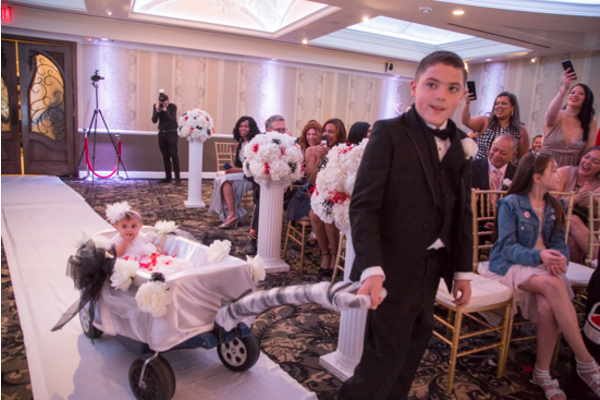 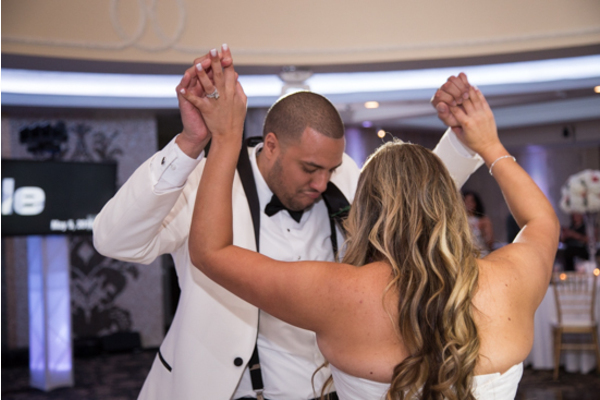 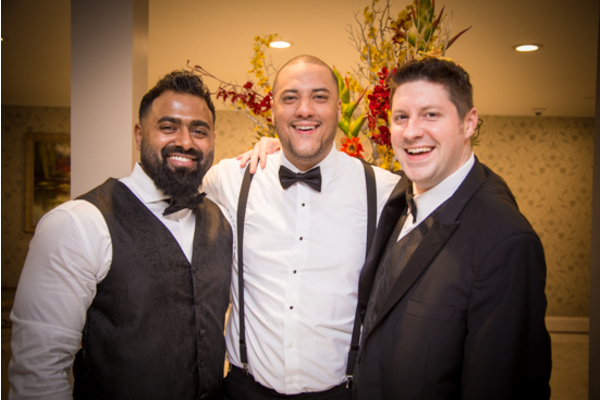 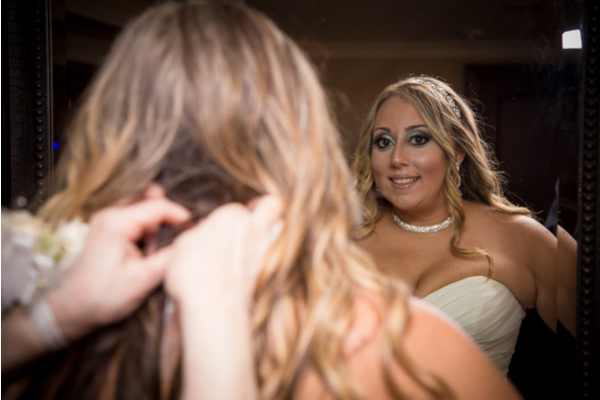 Our NJ Wedding Videographer was there to document the moments up until these two said “I do”! 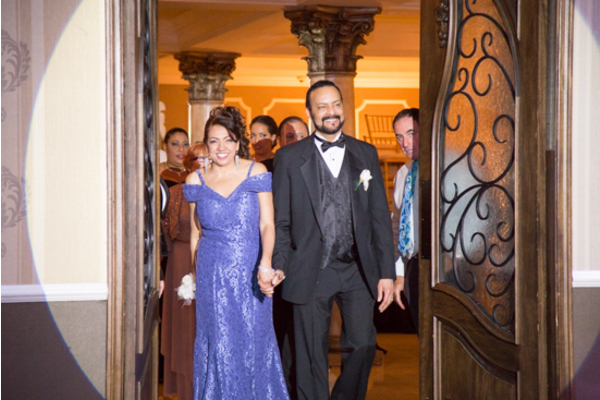 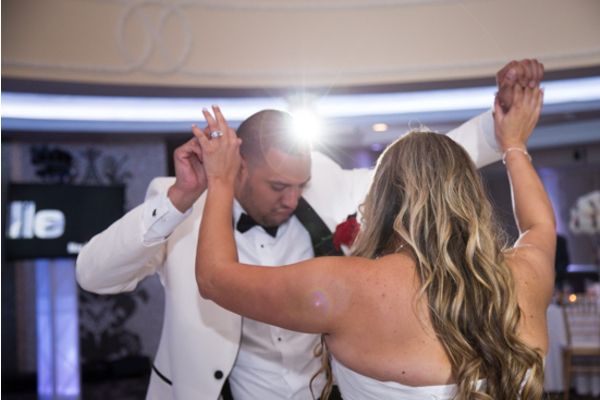 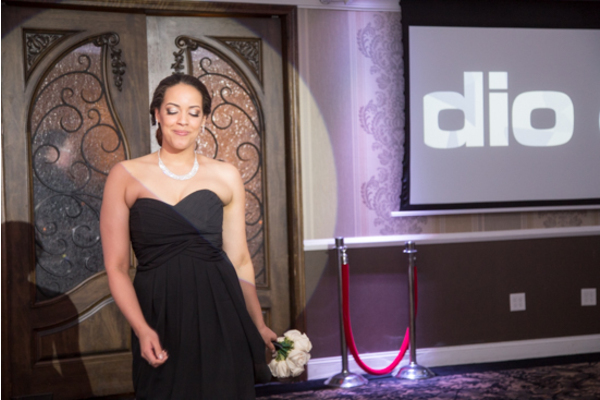 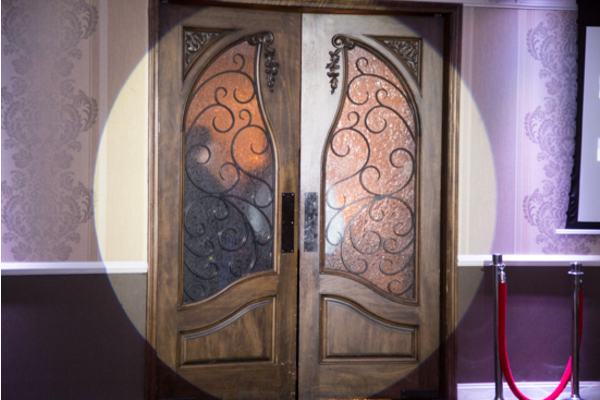 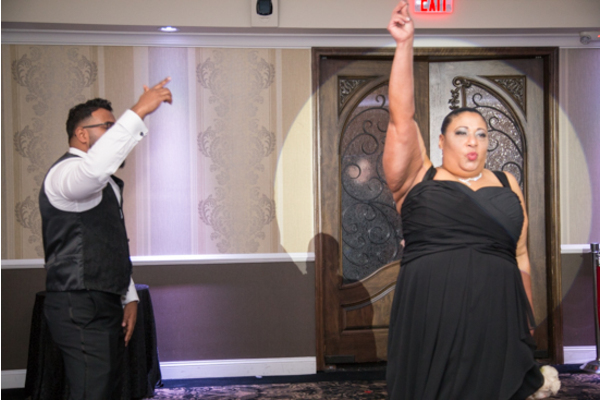 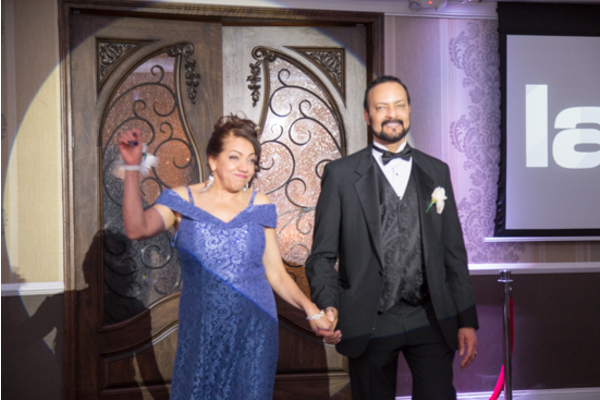 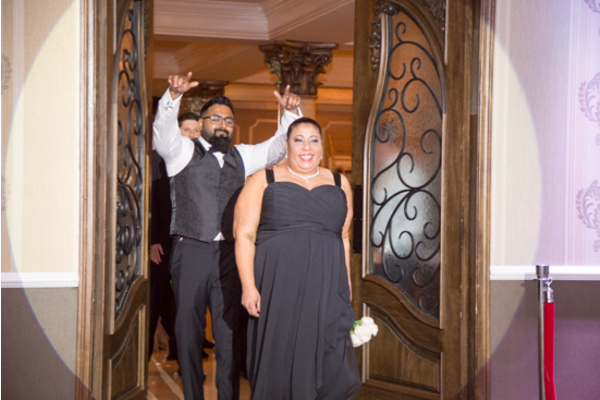 With a spotlight entrance onto the dance floor, this these lovebirds couldn’t be missed as they glowed with joy! 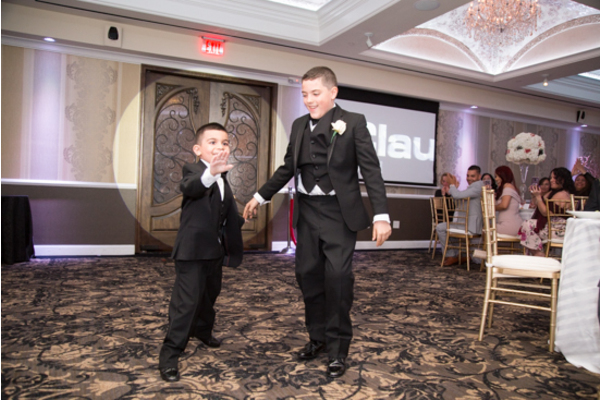 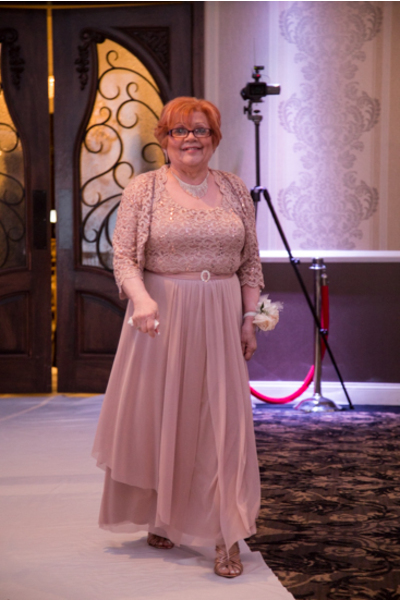 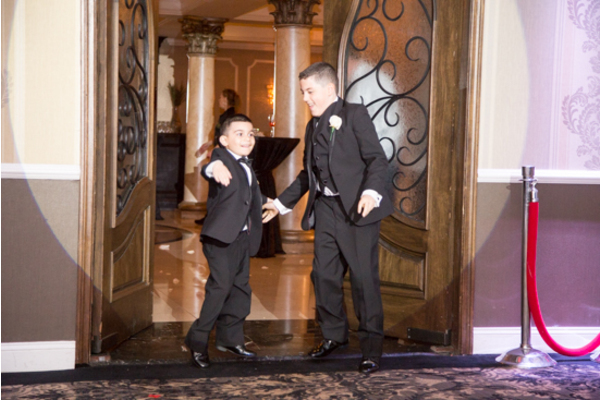 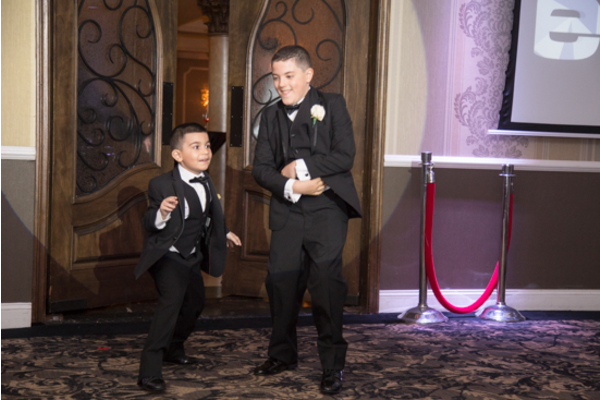 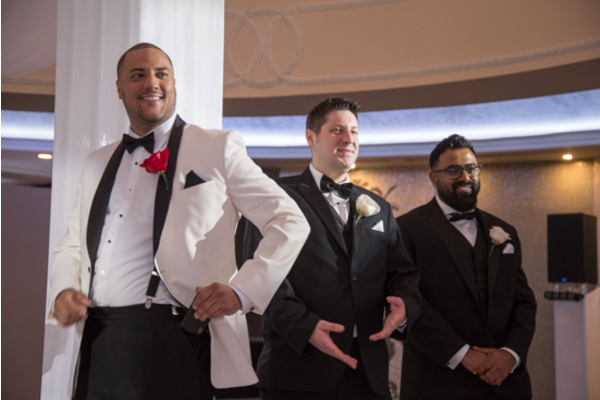 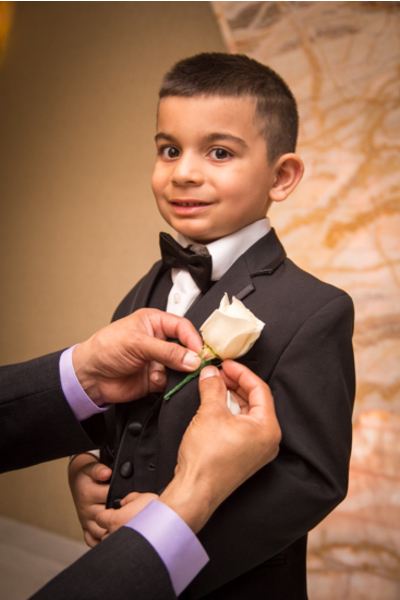 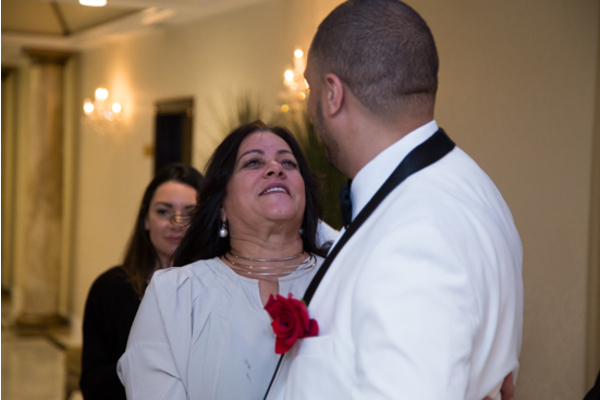 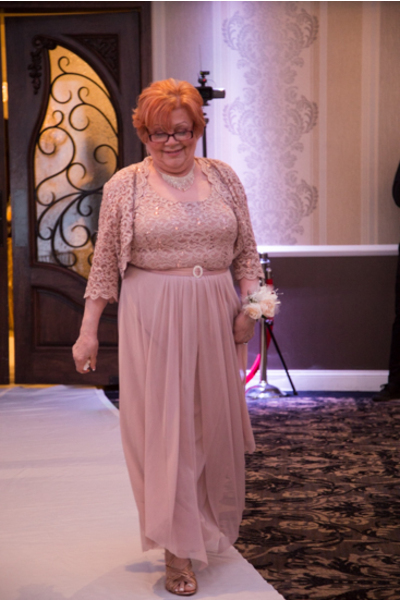 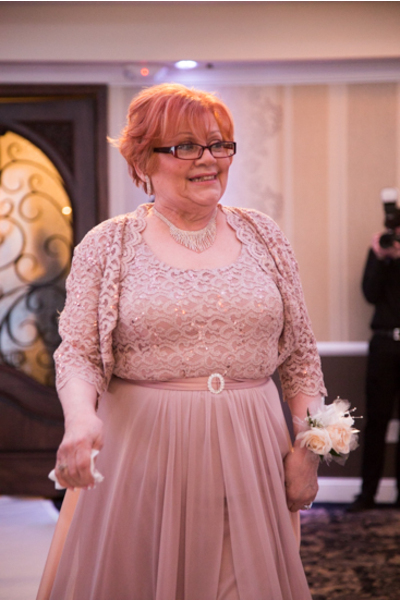 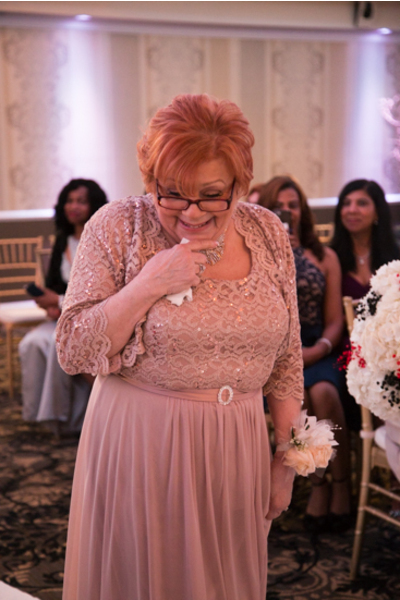 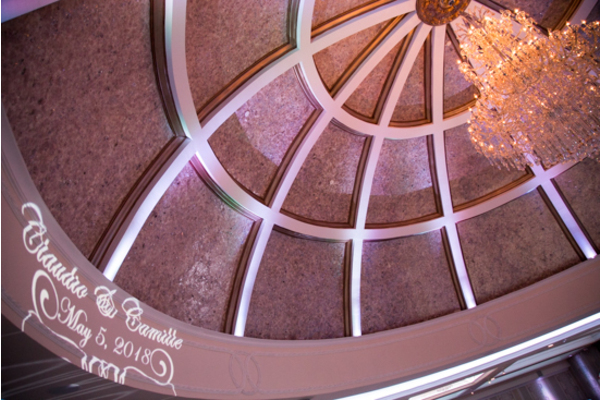 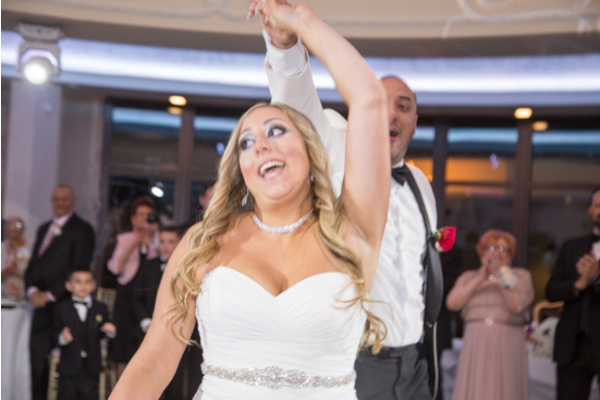 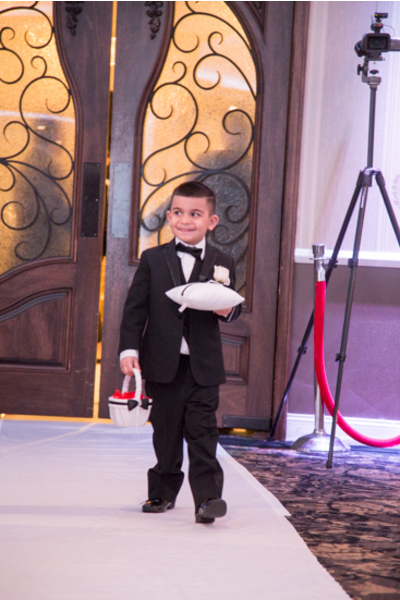 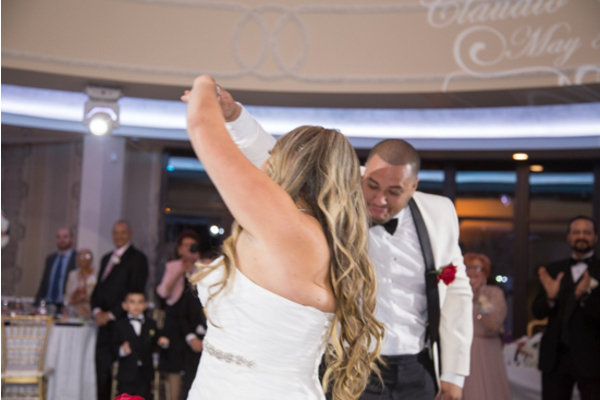 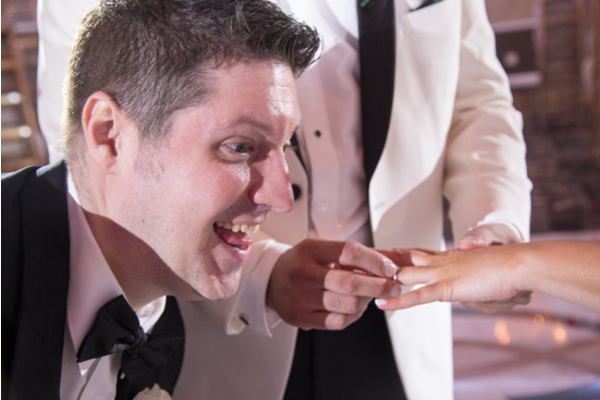 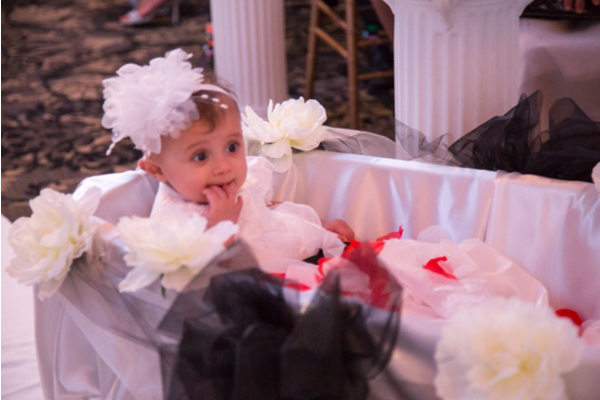 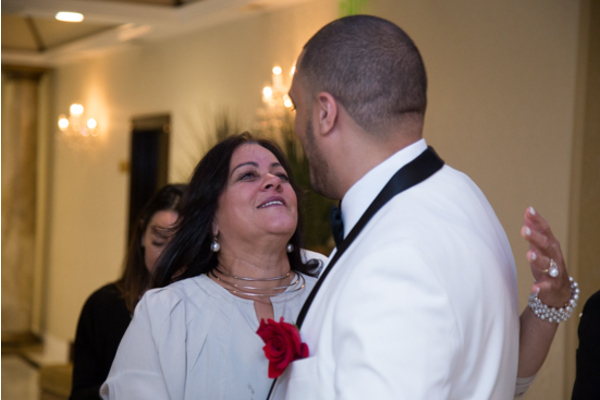 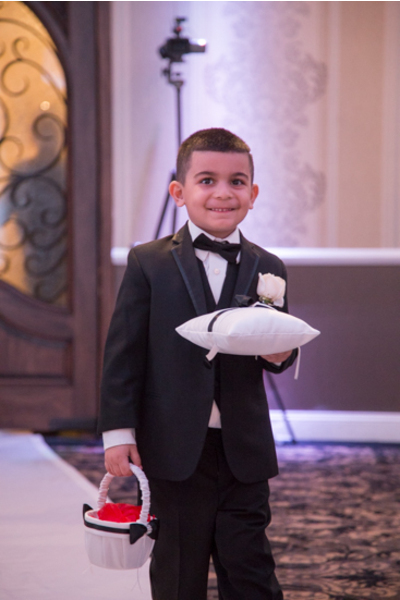 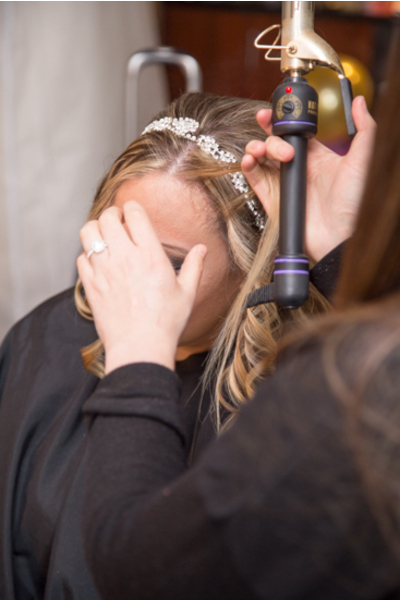 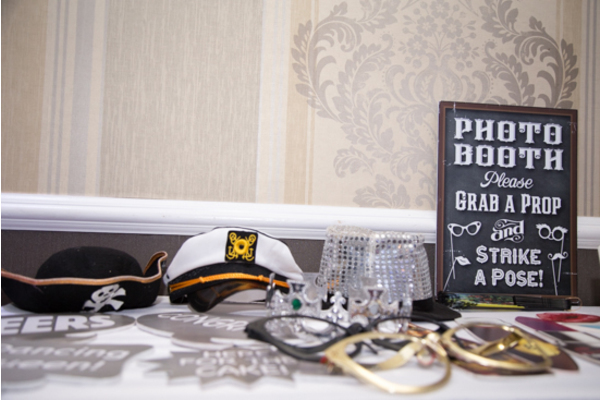 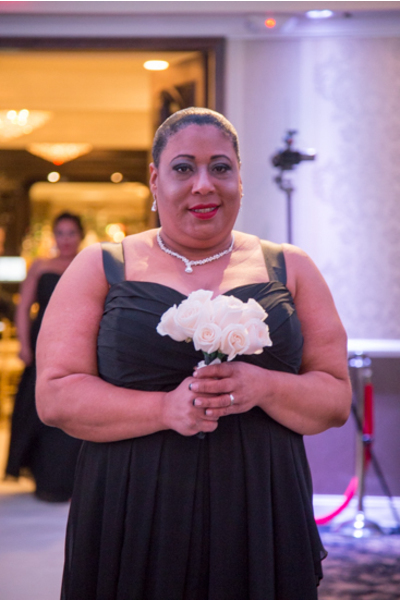 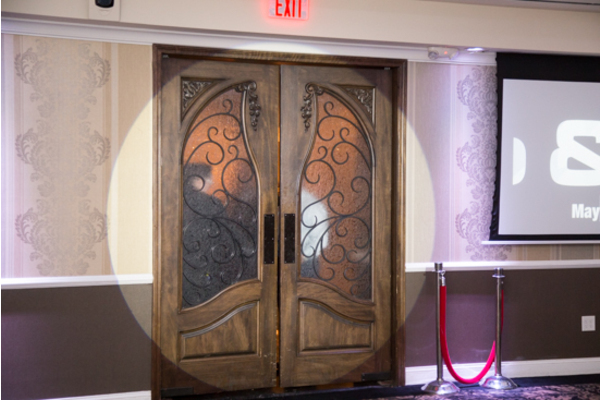 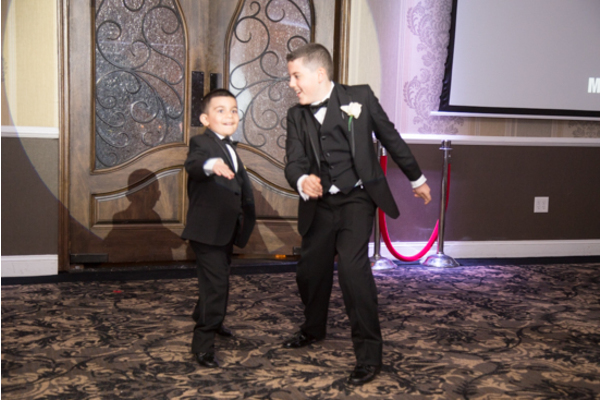 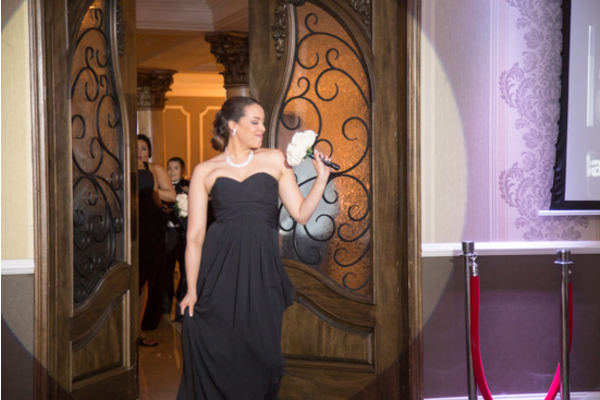 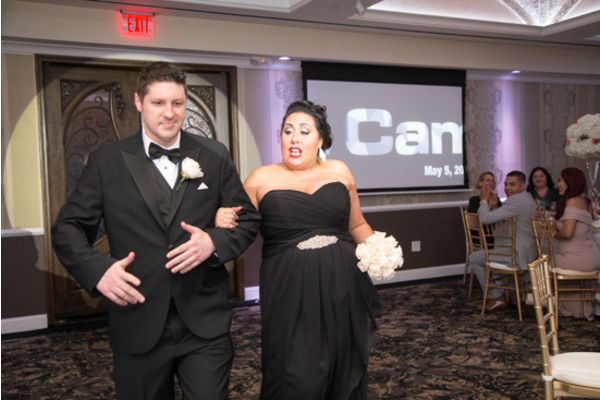 Our NJ Wedding Photographer was there for every toast, dance move, and laugh all night- and there were a lot! 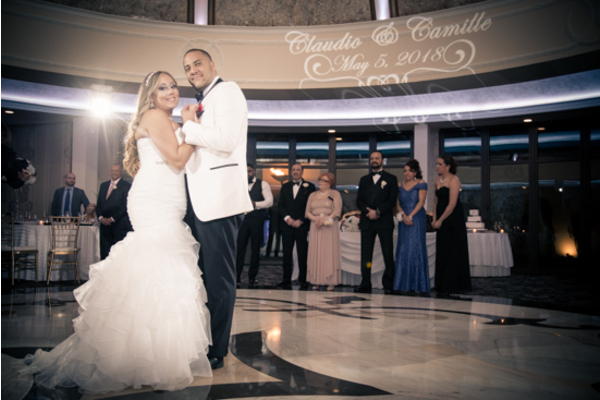 Congratulations, again, to newlyweds Camille and Claudio. 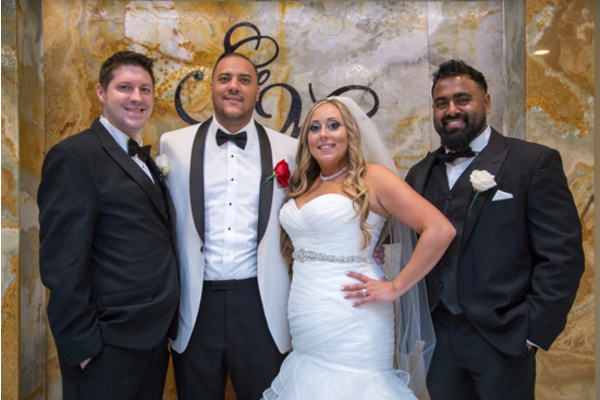 We are so blessed to have been a part of this special day and we wish you all the love and happiness as you begin this journey together!